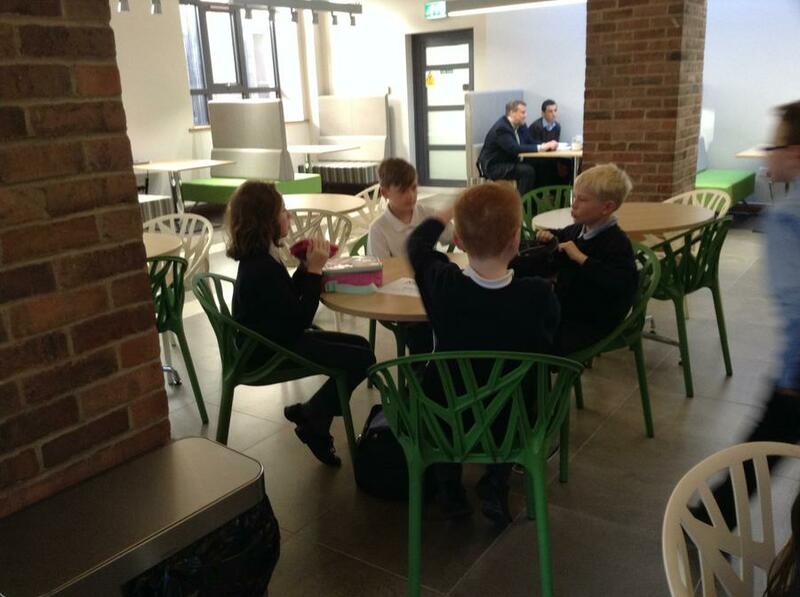 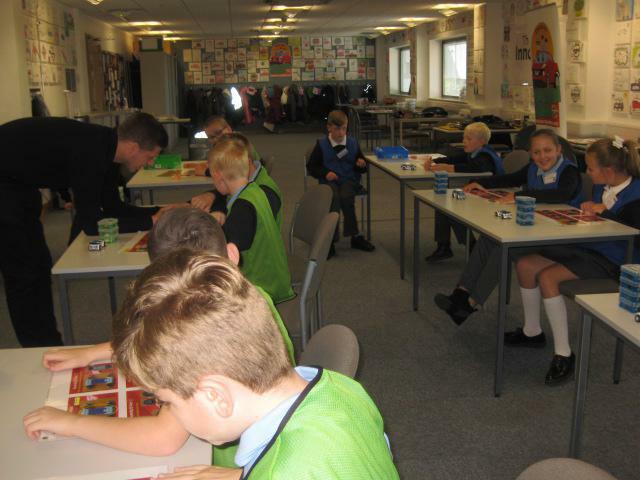 The children have settled in to Year 6 well and are excited to face the challenges the final year of primary school has in store for them! 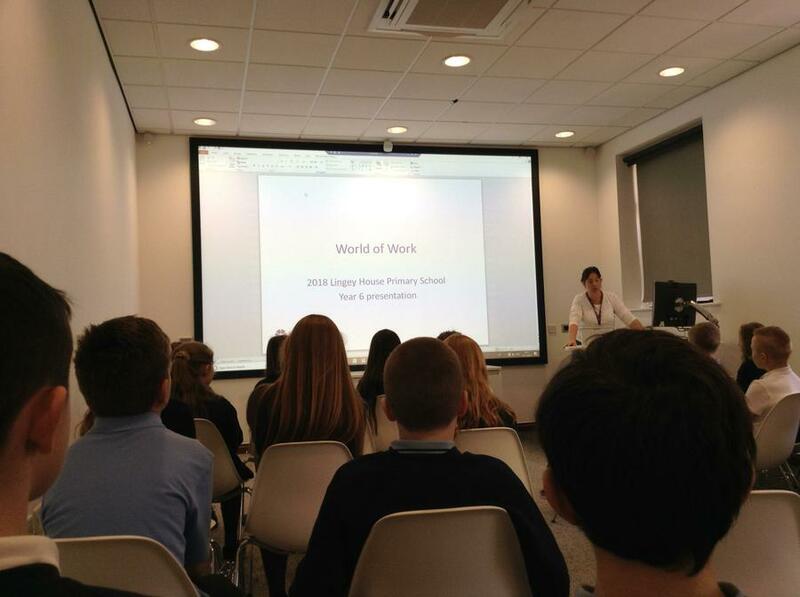 This term, we have lots to look forward to, especially our World of Work experiences. 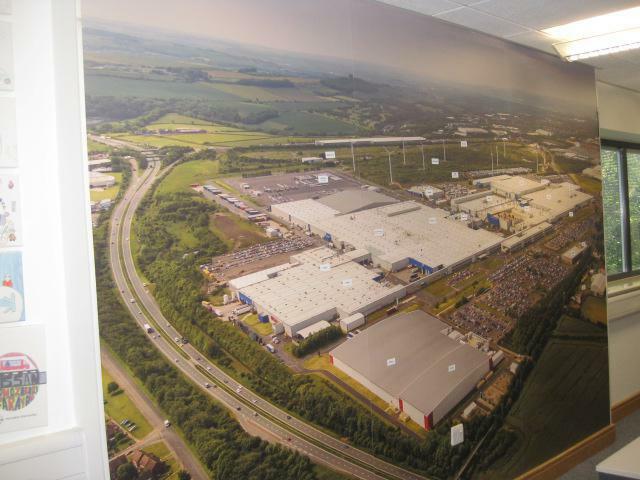 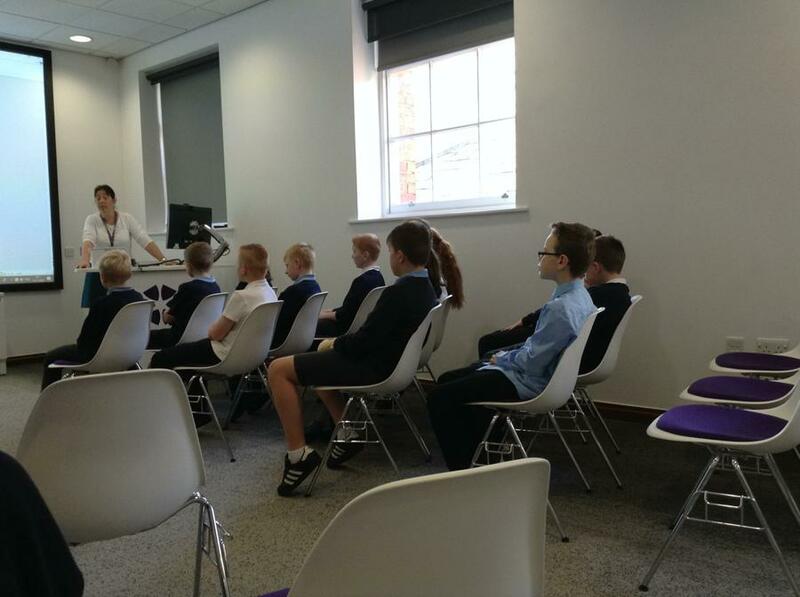 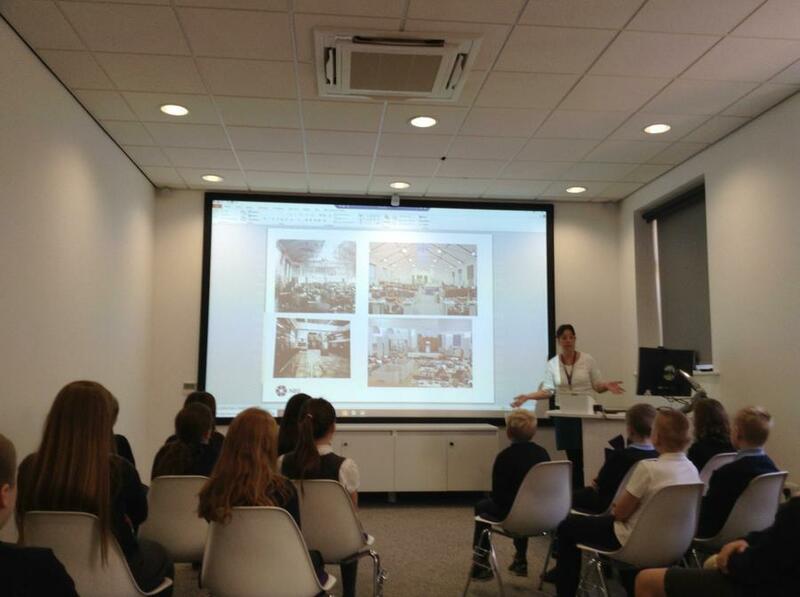 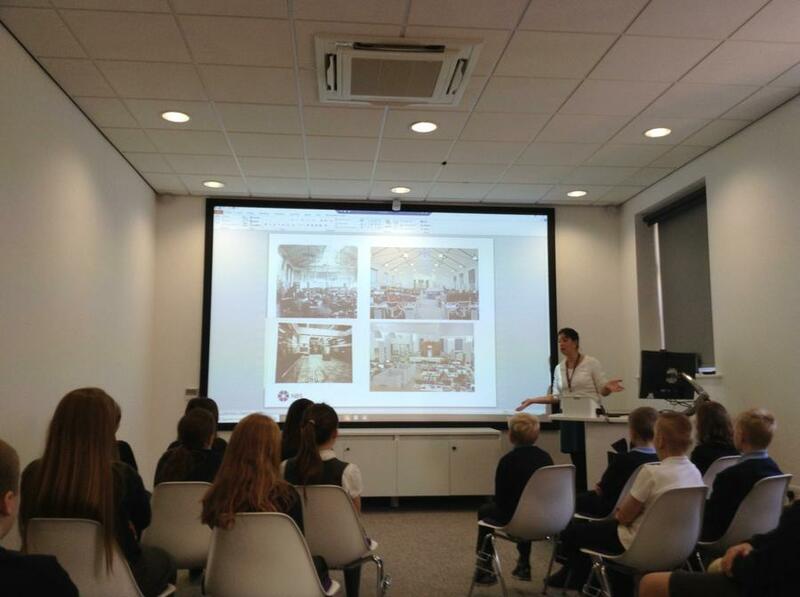 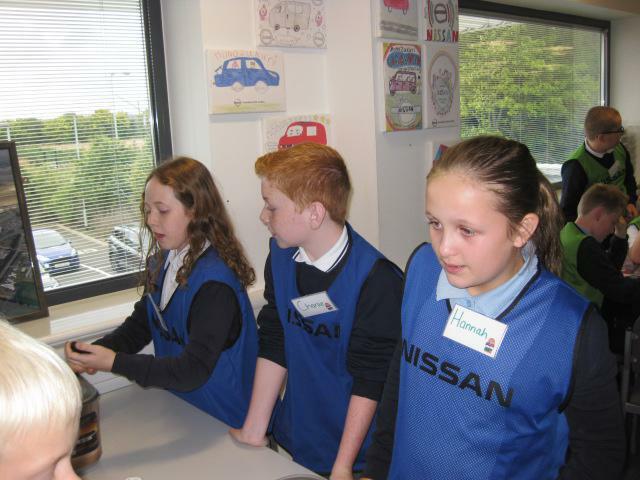 We are visiting Nissan and travelling to RBS in Newcastle, to attend an exciting workshop all about the different careers within the company! 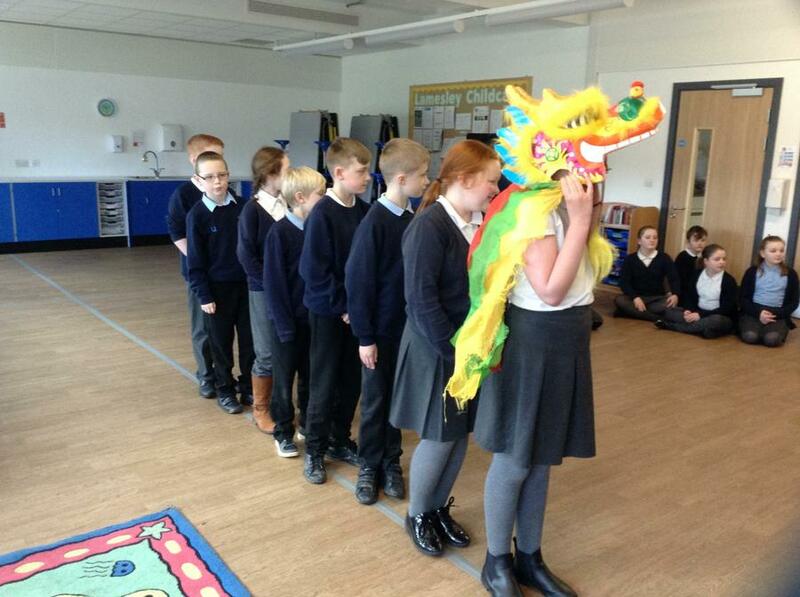 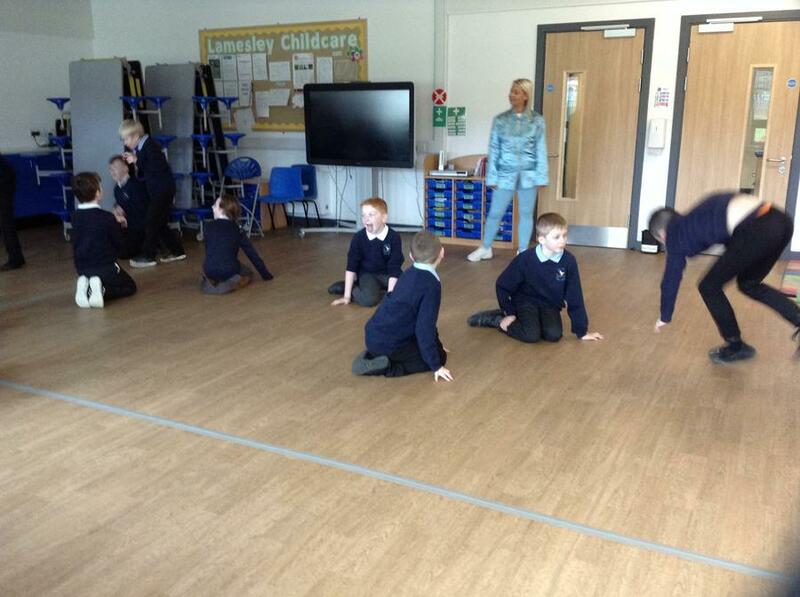 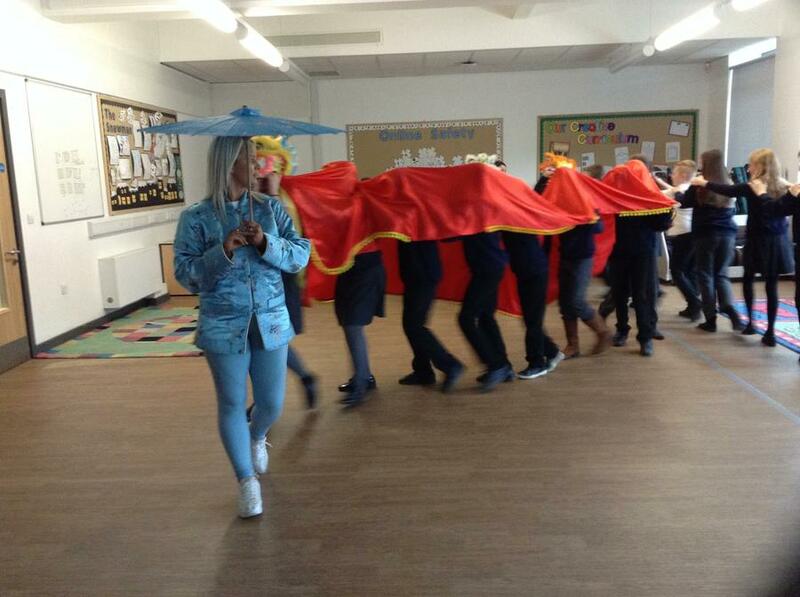 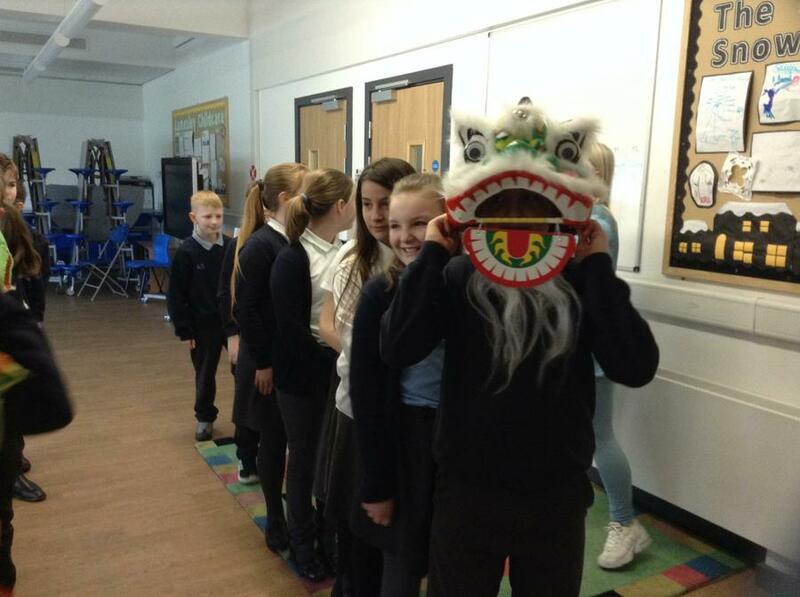 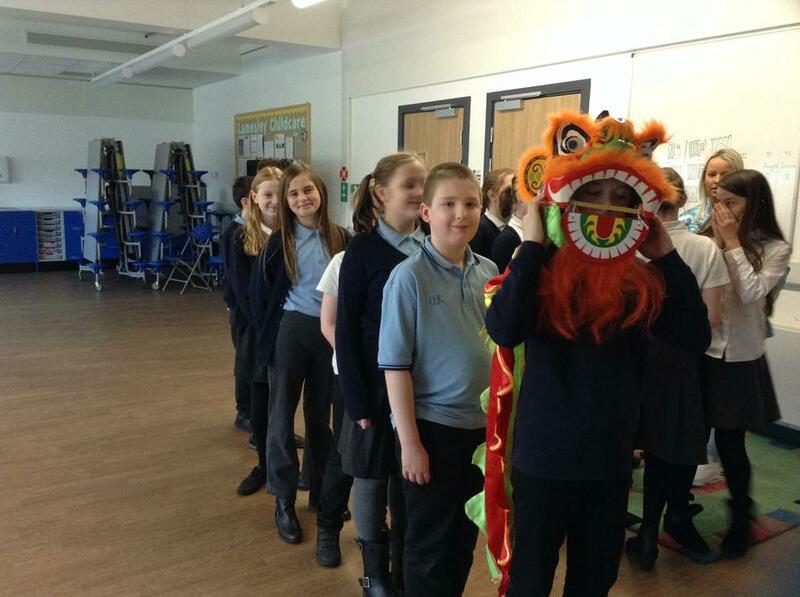 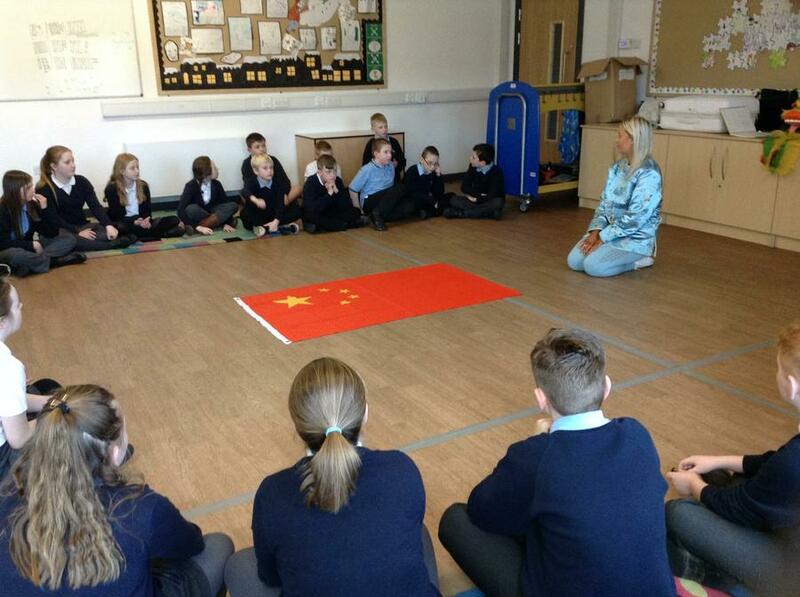 2019 is the year of the pig and Year 6 have enjoyed learning about Chinese traditions. 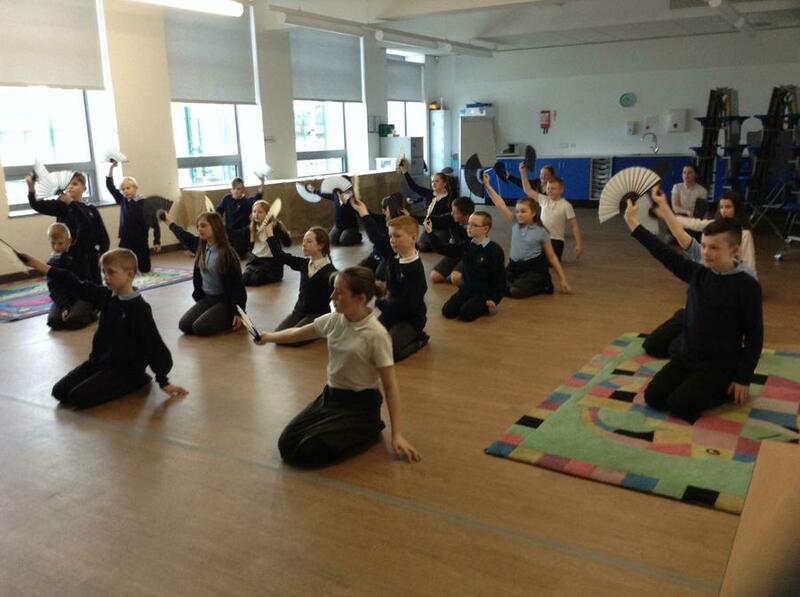 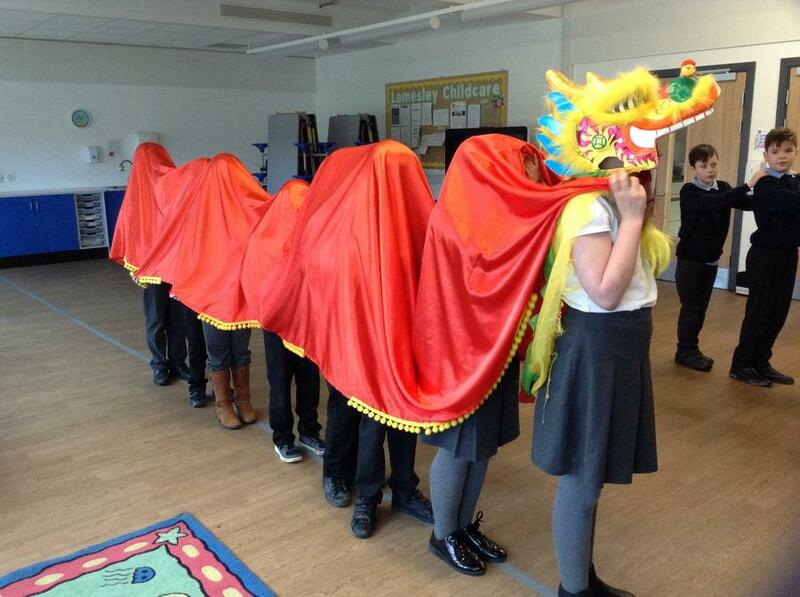 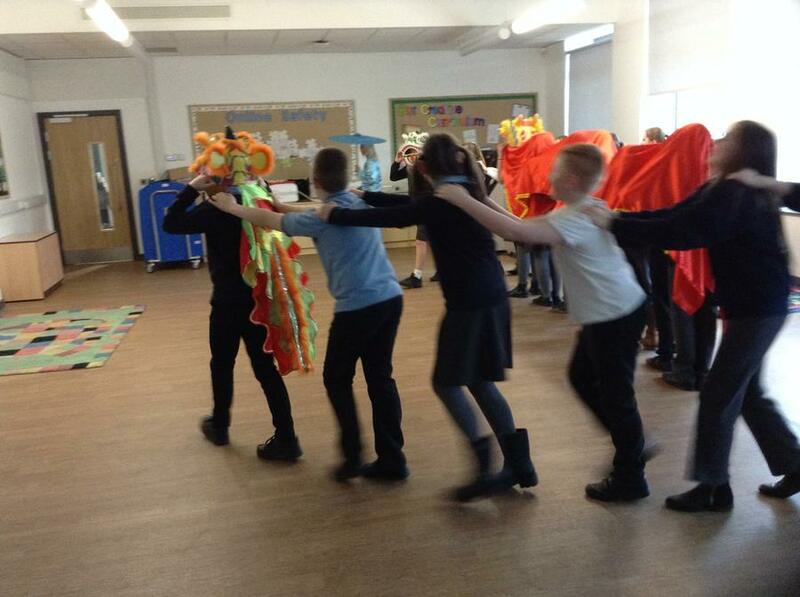 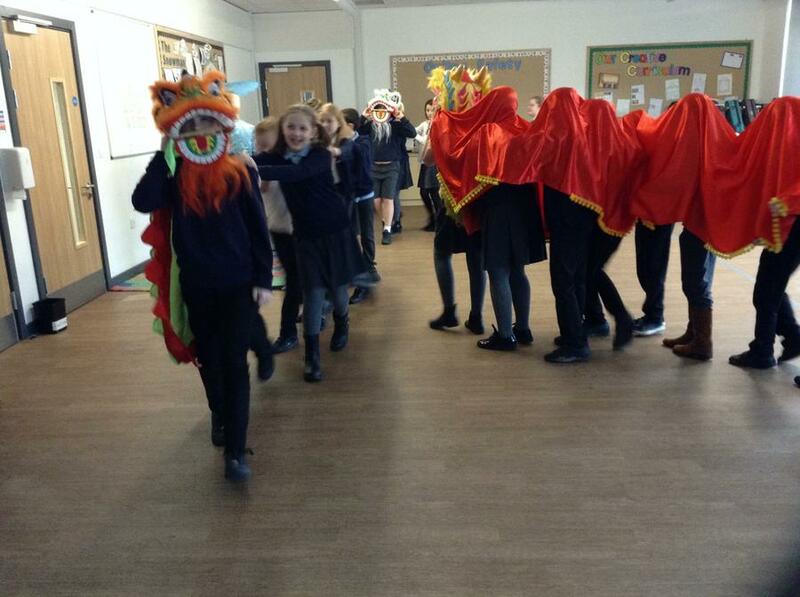 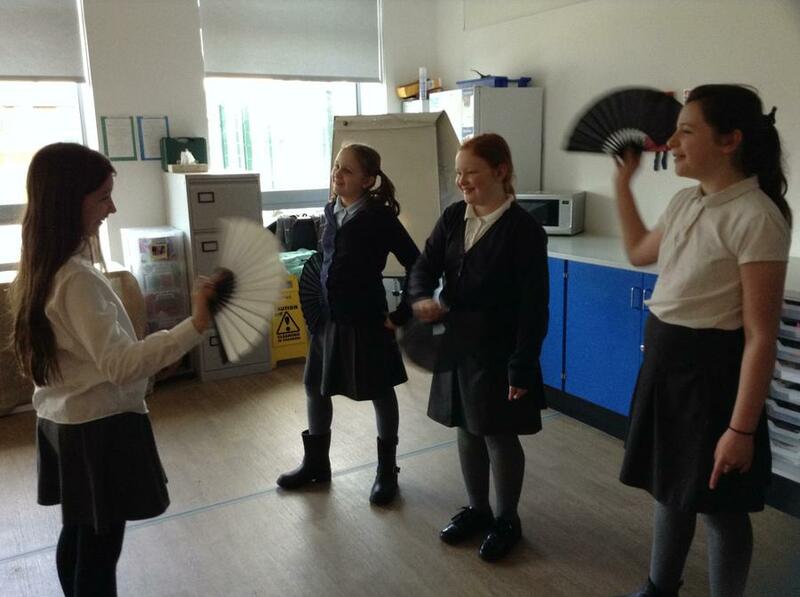 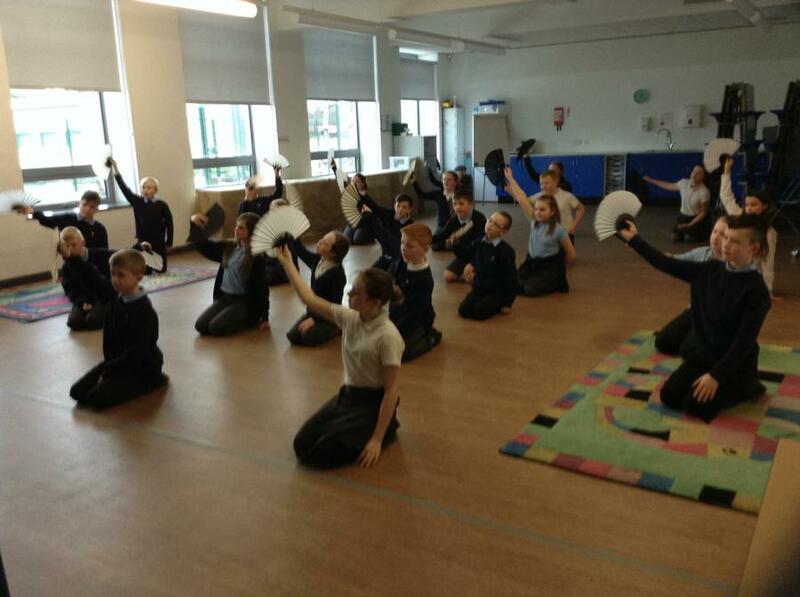 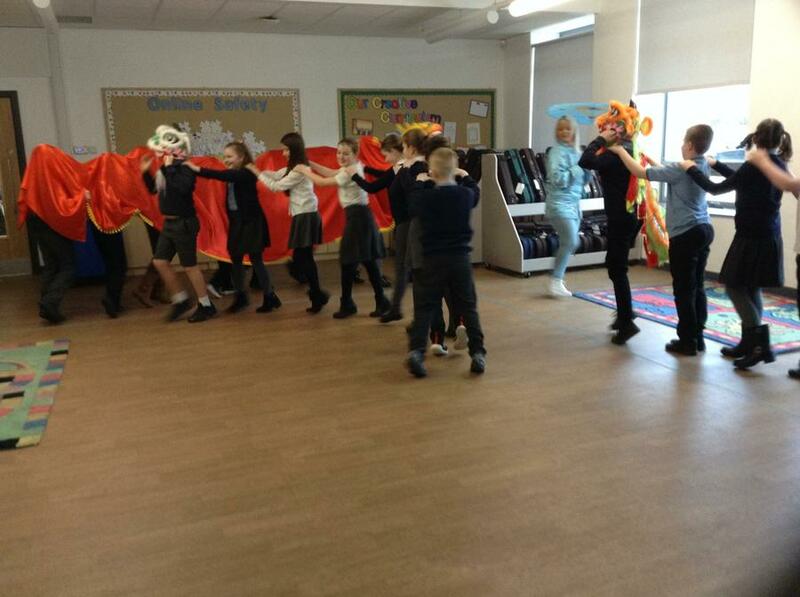 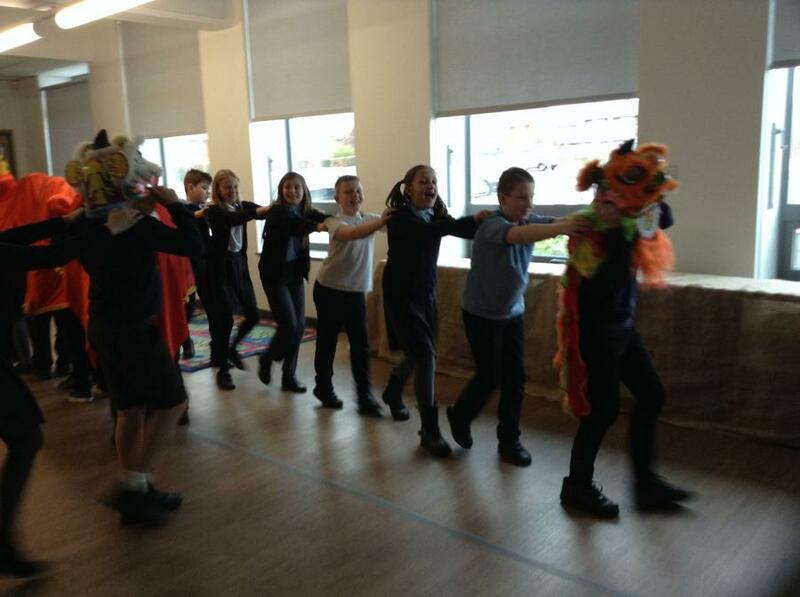 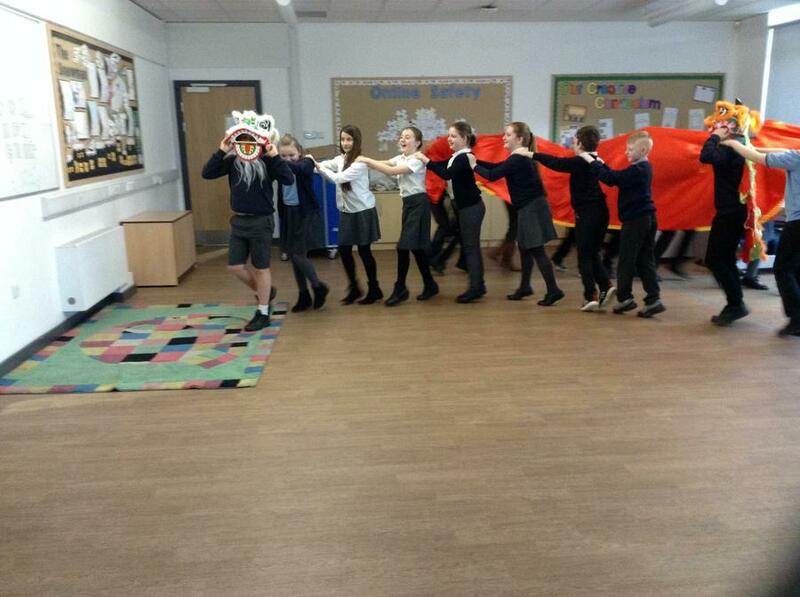 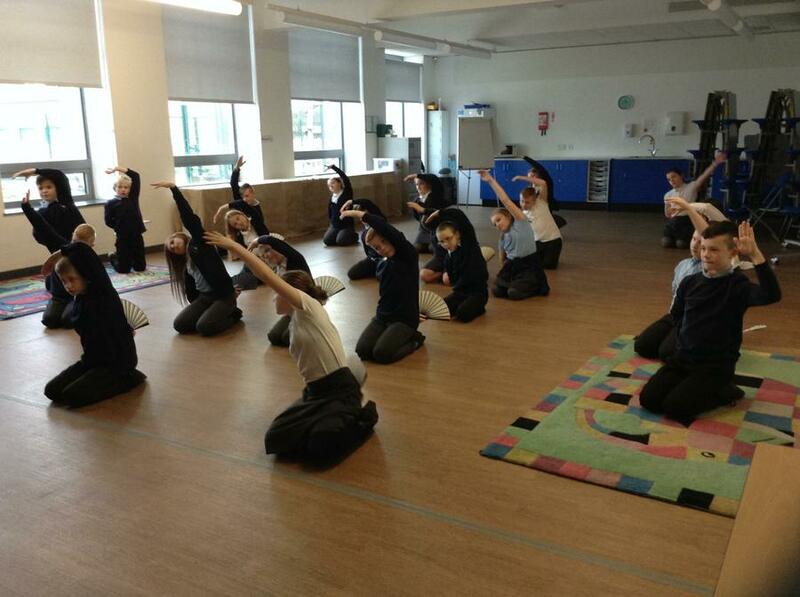 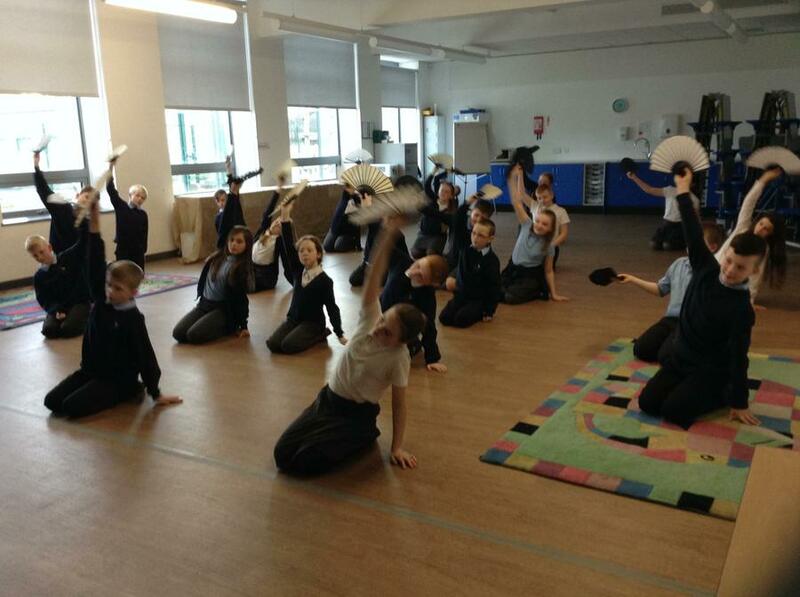 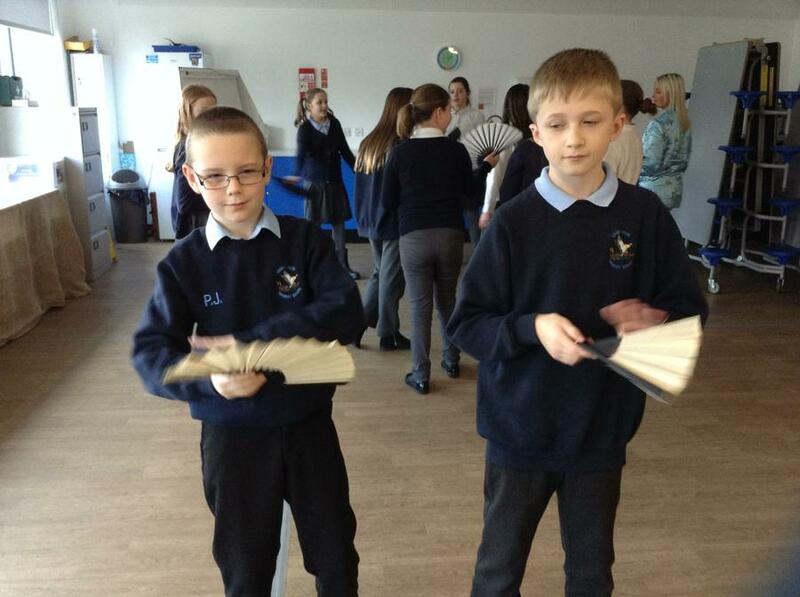 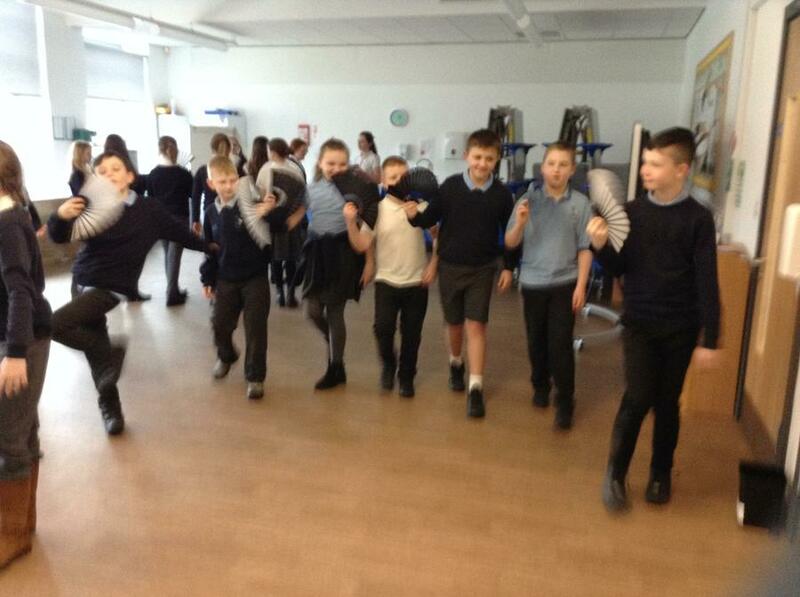 They really enjoyed sampling new foods at our Chinese banquet and had great fun in their dance session. 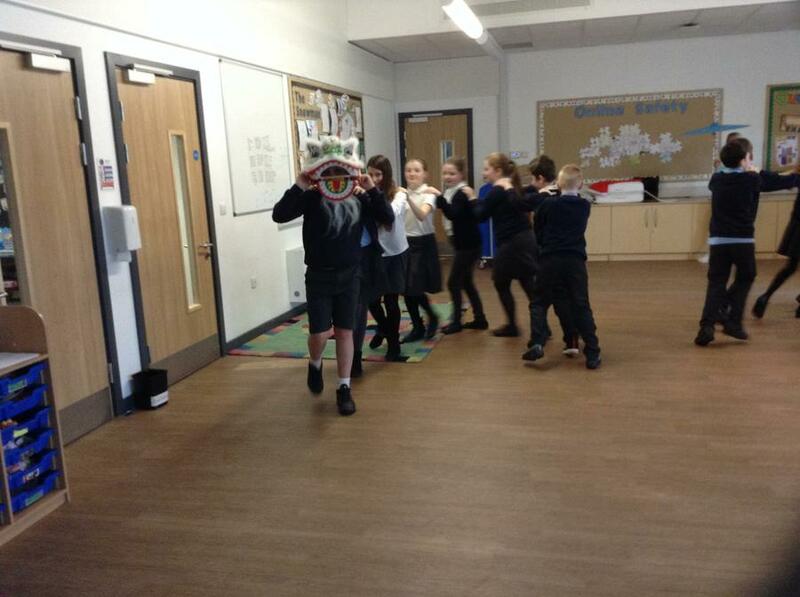 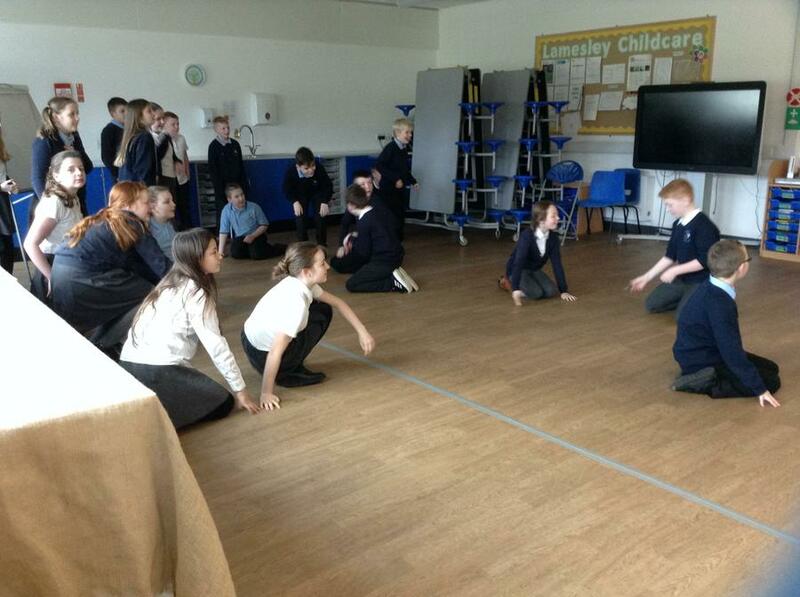 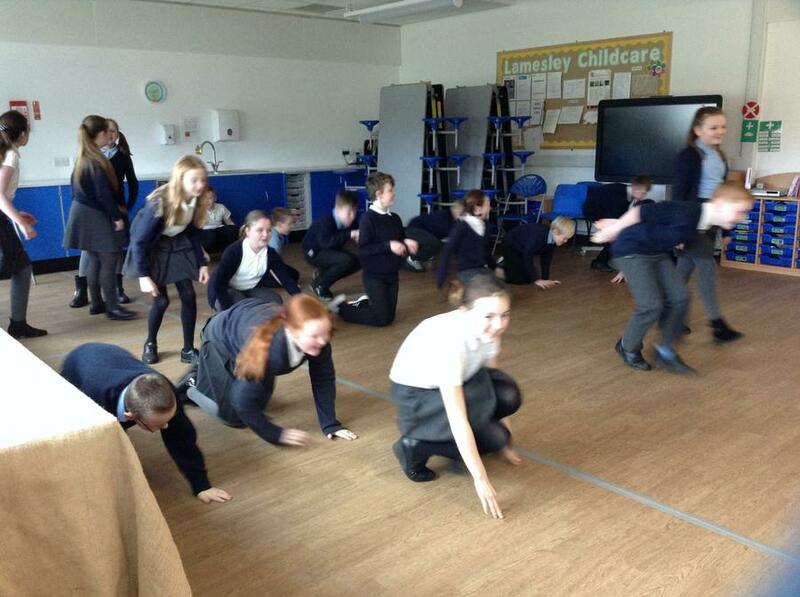 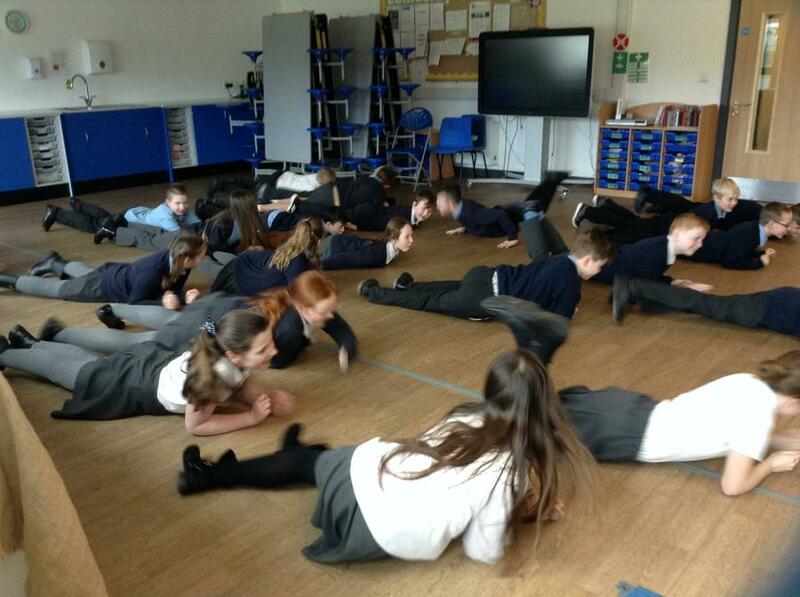 They came up with some very creative moves! 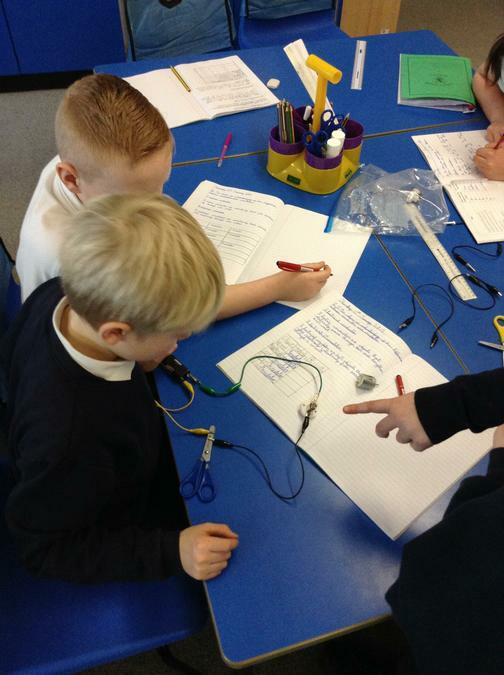 In science we have been investigating which materials conduct or insulate electricity. 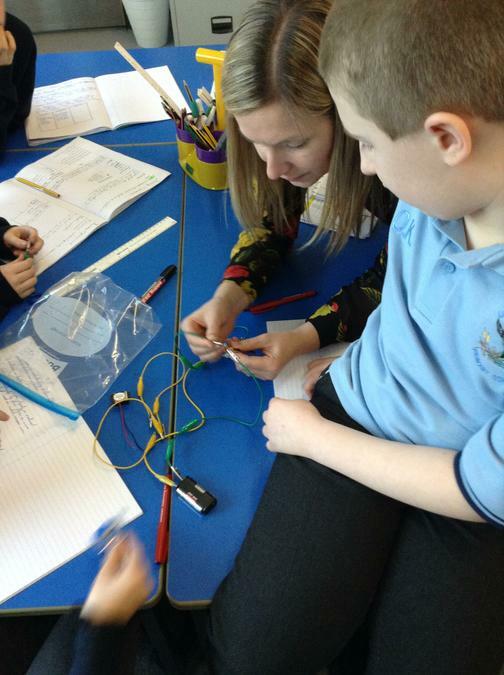 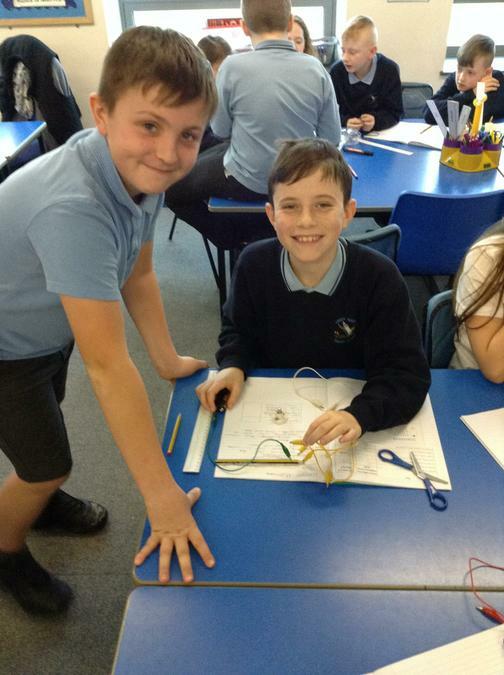 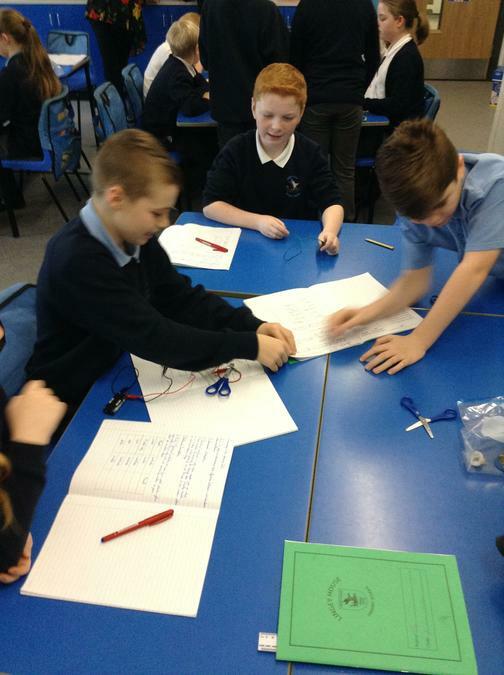 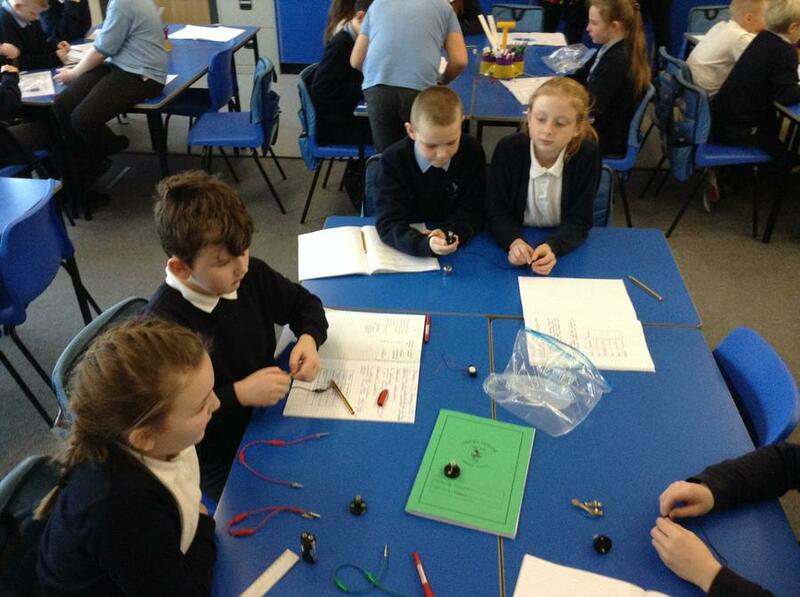 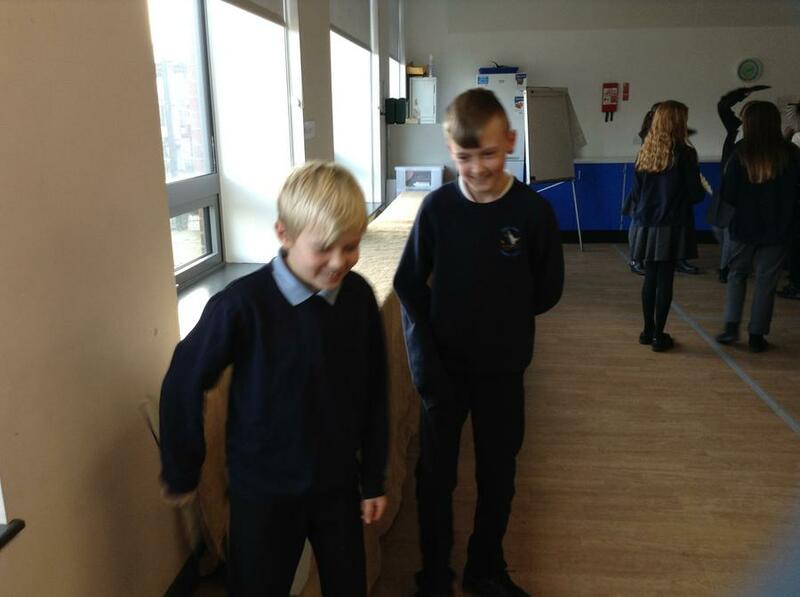 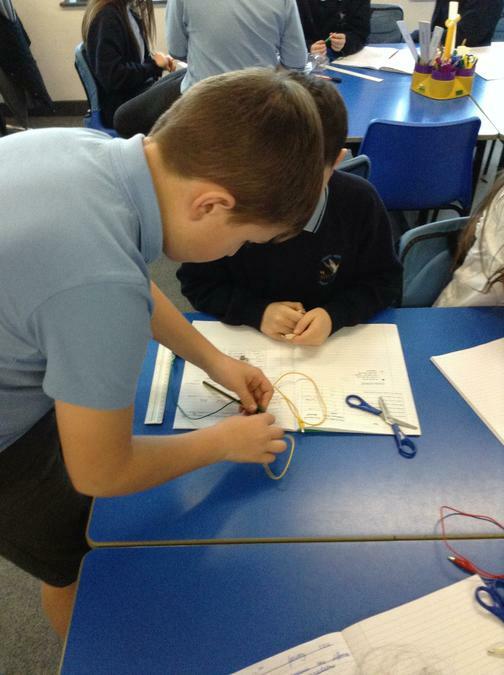 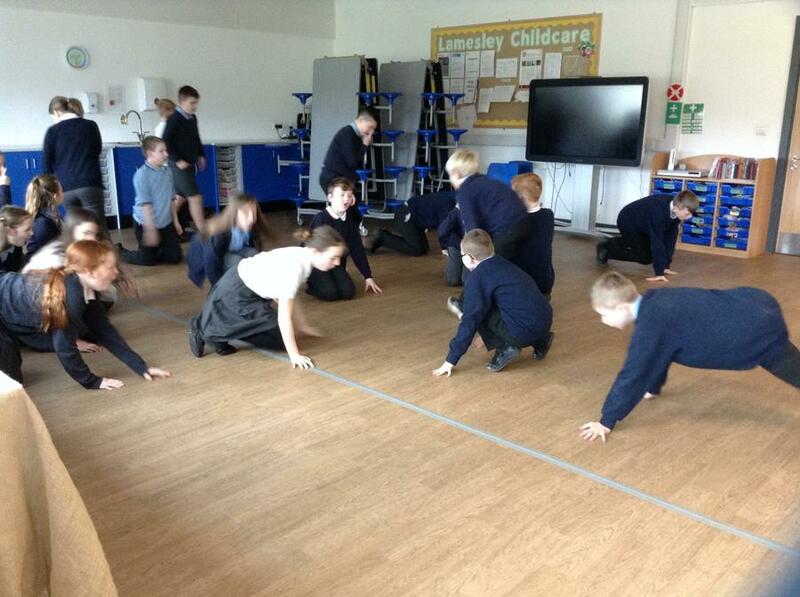 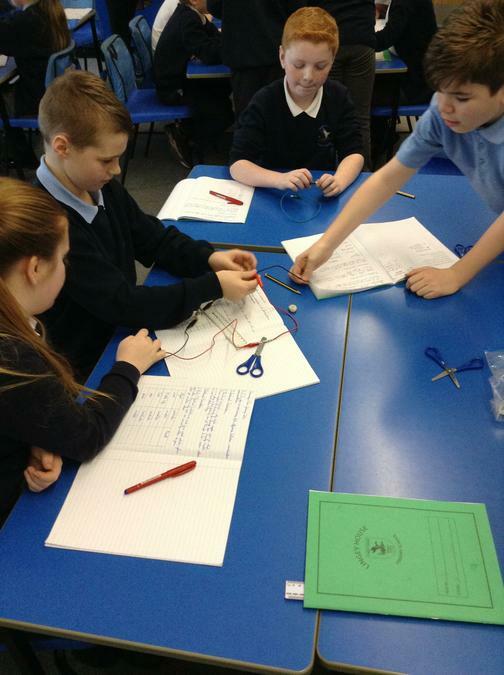 The children found out that to be an electrical conductor the material must allow electricity to pass through it. 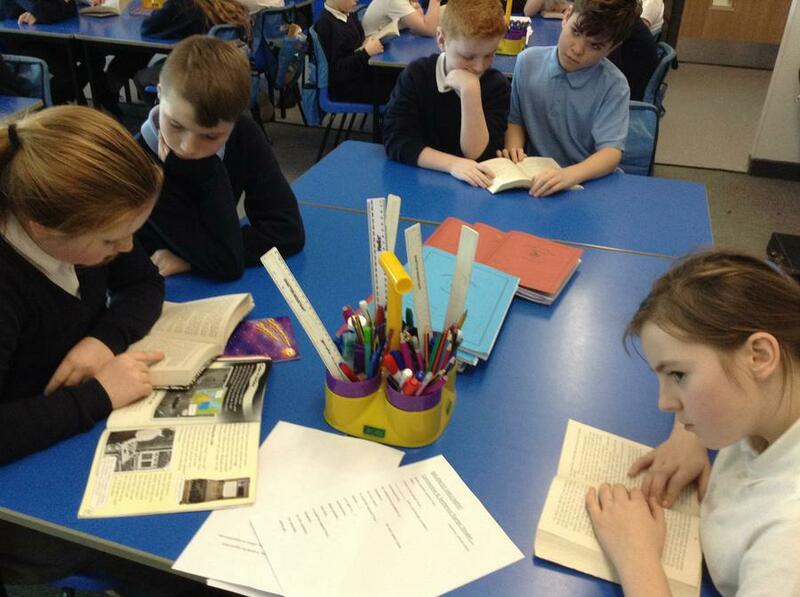 The book we are focussing on in English this term (Spring 1) is called Journey to the River Sea as it links well with our Creative curriculum topic Rivers and Coasts. 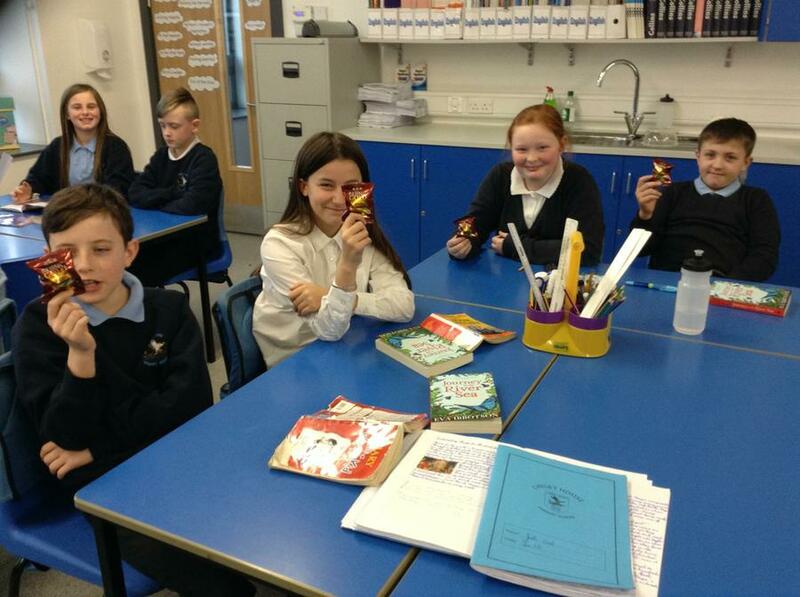 Year 6 have been enjoying getting to know the characters in the book and are starting to enjoy the adventure Maia has begun. 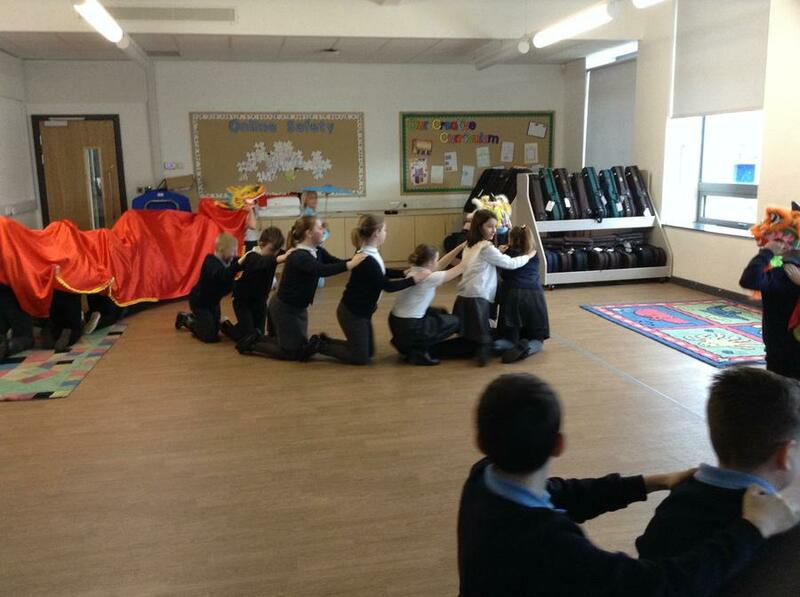 The story is about an orphan girl called Maia, who travels to the Amazon to be with her long lost relatives. 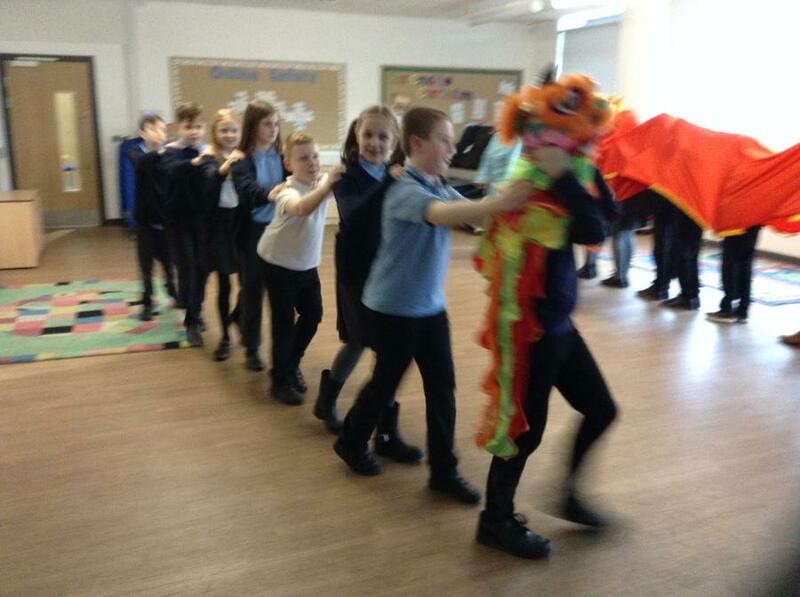 She is excited to see the wonders the Amazon holds and hopes to be welcomed in to a loving family. 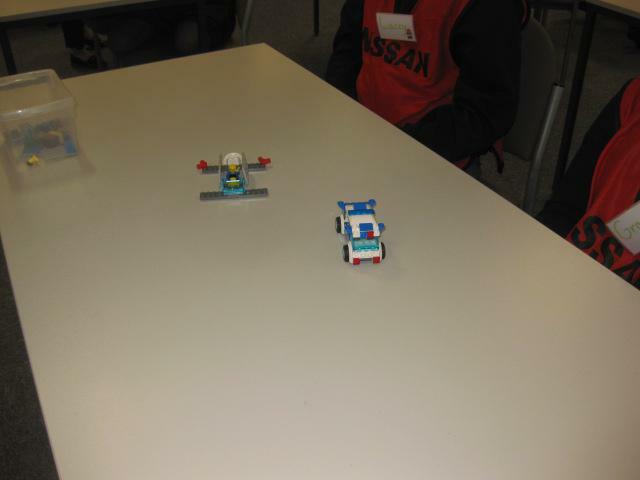 However, she is greeted by two spiteful cousins and an aunt and uncle who only agreed to have her because they were paid. 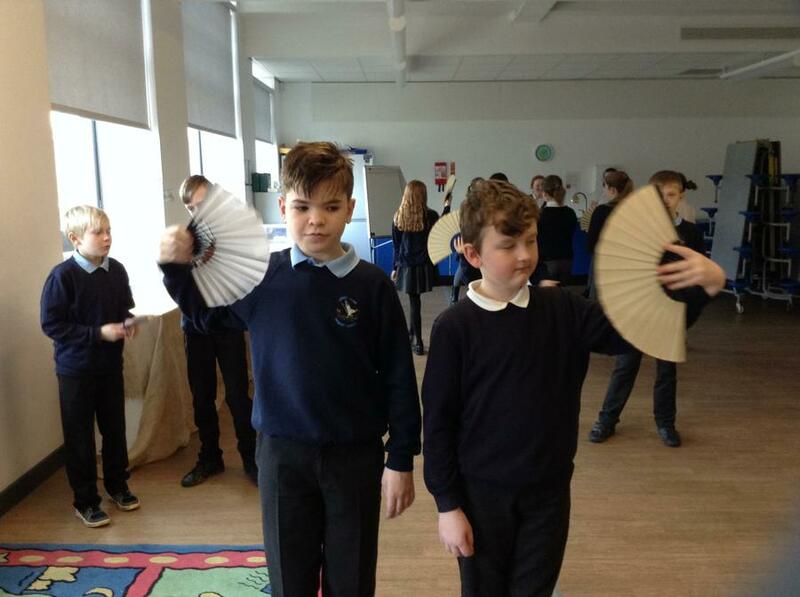 But the beautiful rain forest more than makes up for the hideous Carters and when Maia meets a mysterious boy who lives on the wild river shores, she begins a spectacular adventure that she will never forget! 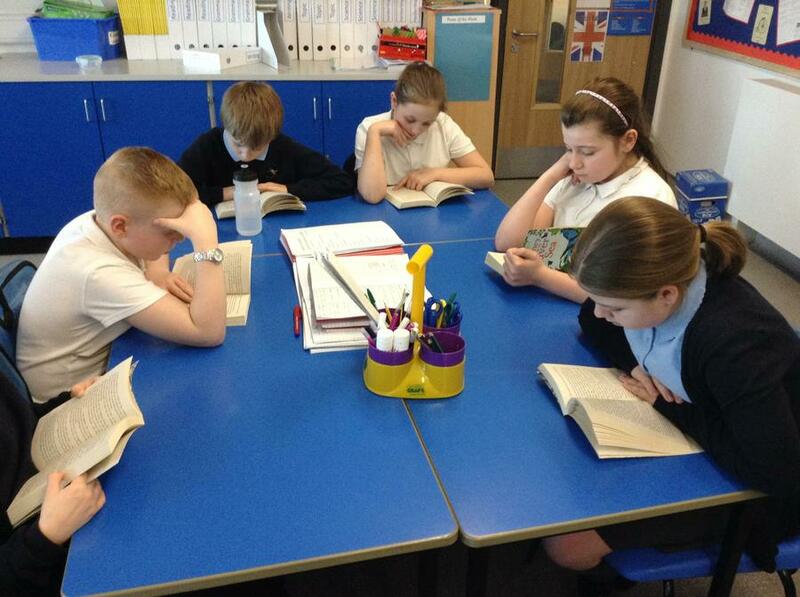 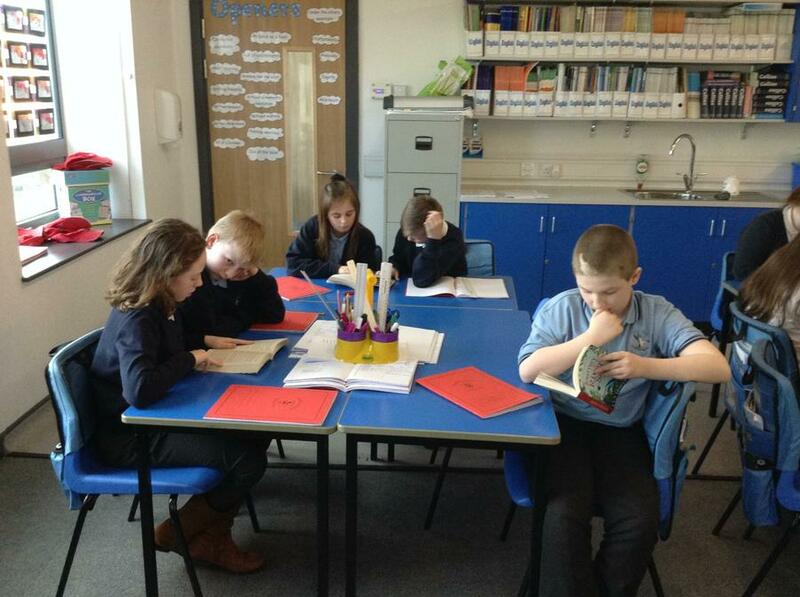 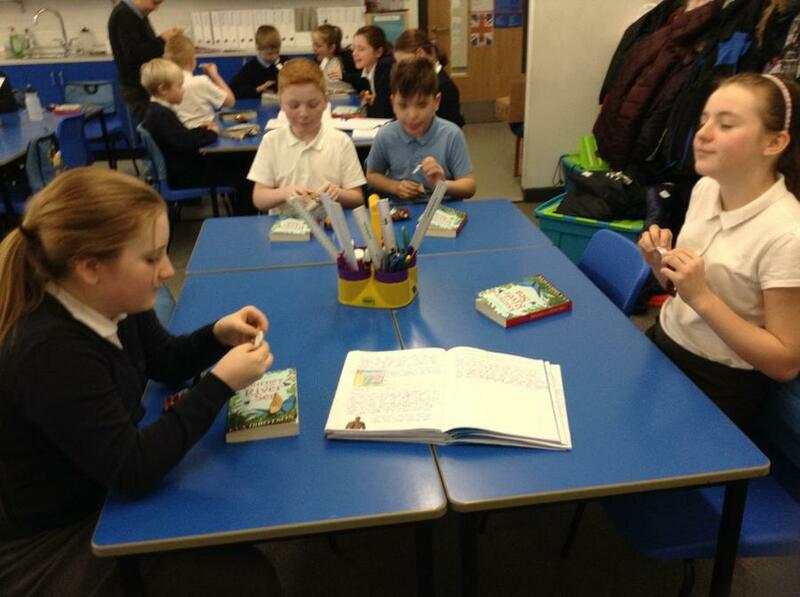 Below the children are enjoying our class text during guided reading! 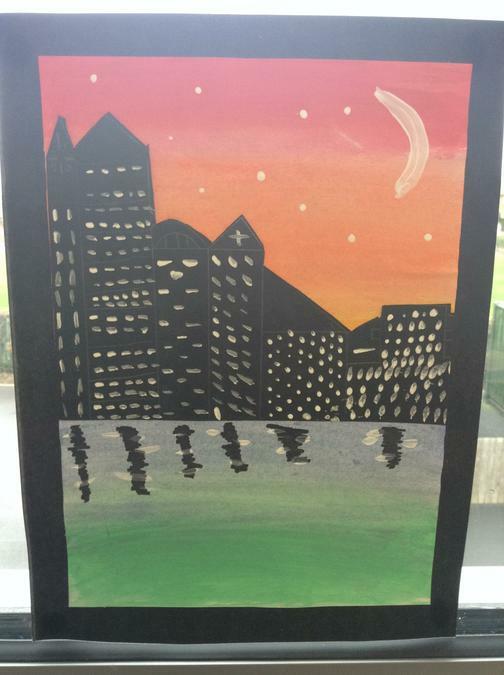 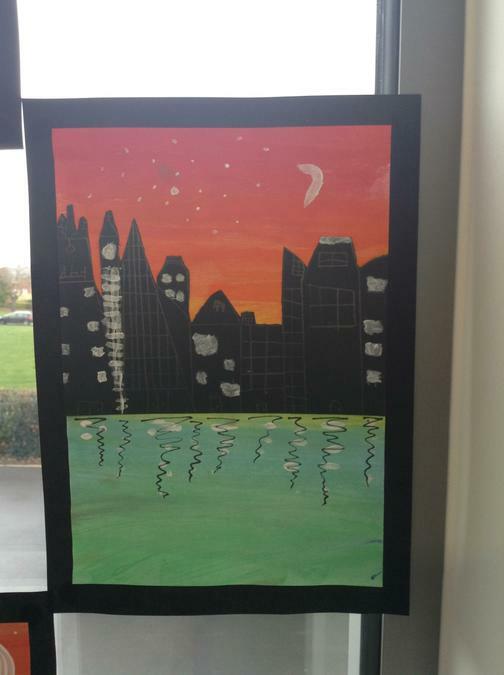 The Children created line and silhouette art based on this painting of Grainger Street and Grey's Monument at night, by victorian artist Louis Grimshaw in 1902. 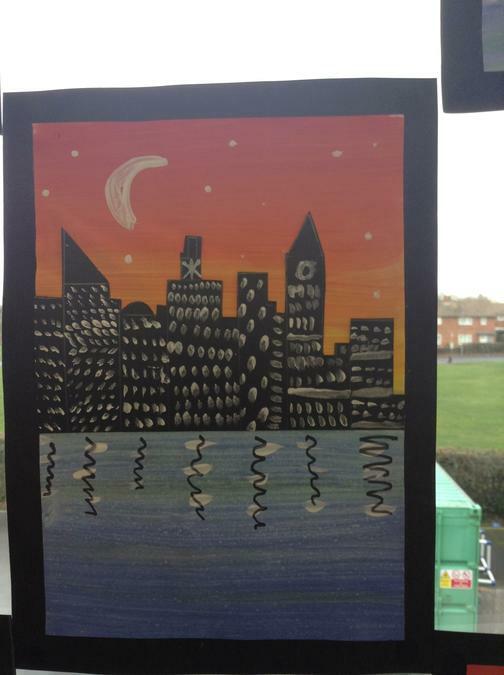 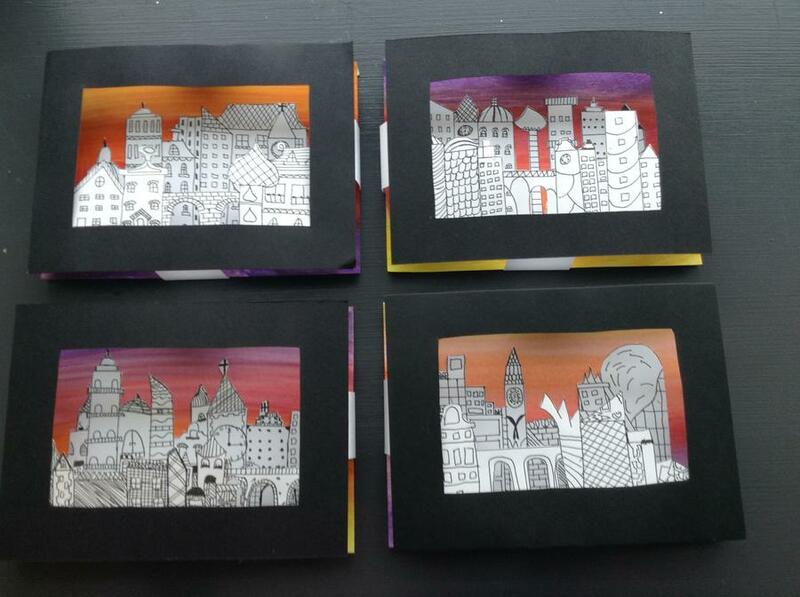 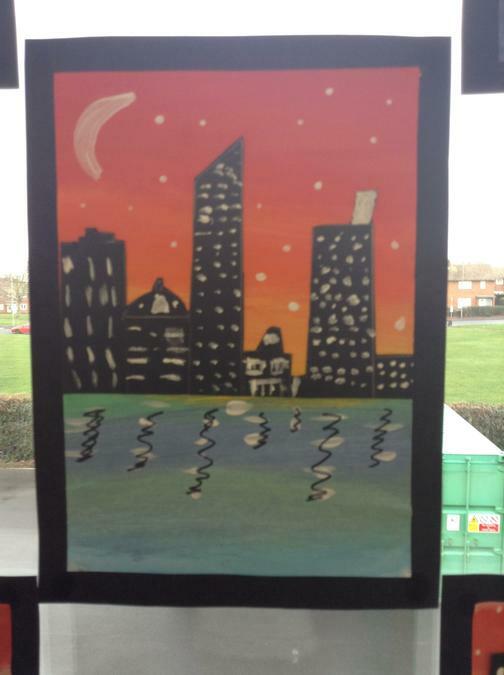 The children explored blending colours to create they backgrounds then used sketching, line drawings and painting to create different building effects. 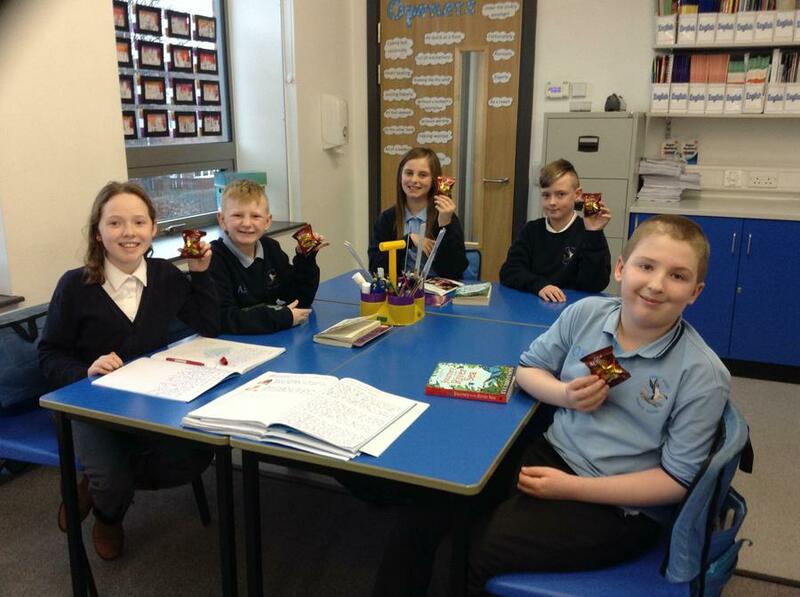 Their finished products were fantastic. 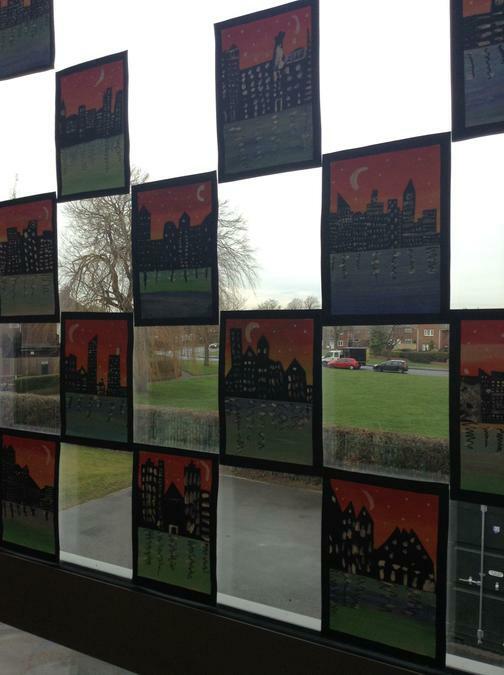 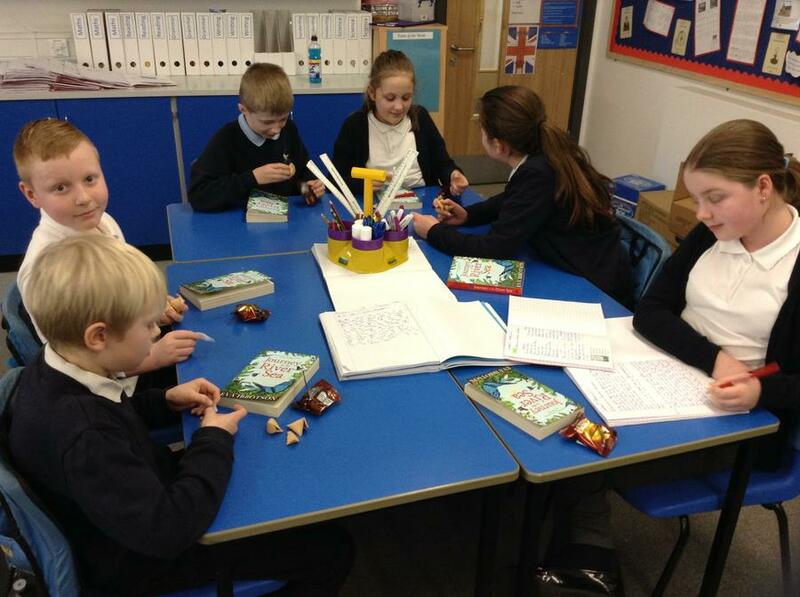 The children have been working very hard in class producing lots of work to go on our Victorians display. 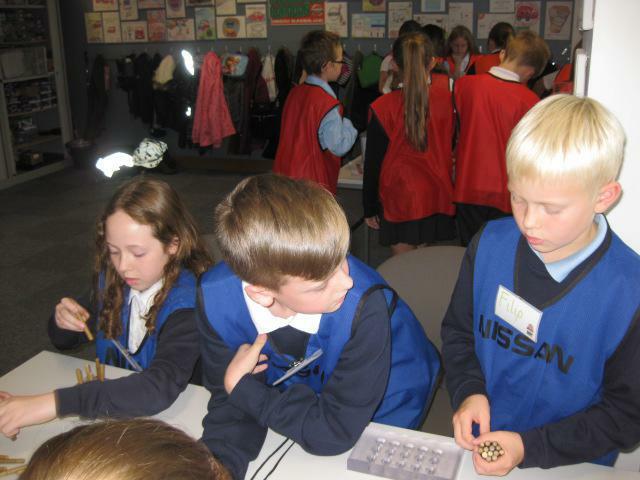 The have investigated the lives of rich and poor Victorians, the jobs they did, life in the workhouse and the industrial revolution. 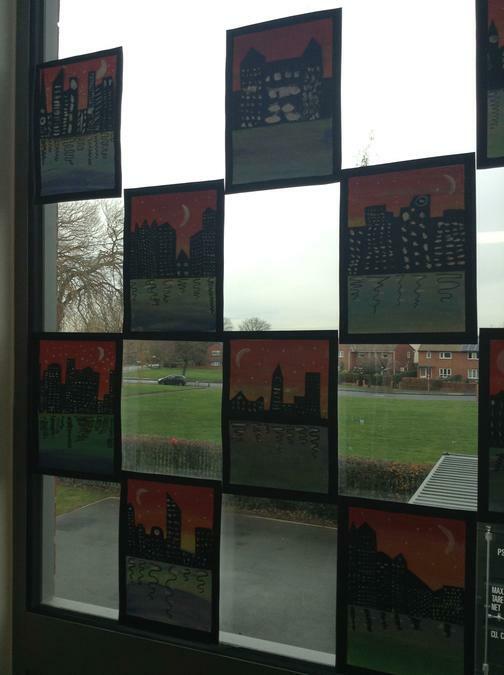 Autumn is a beautiful time of year and an Year 6 have used it as inspiration for some of their class work. 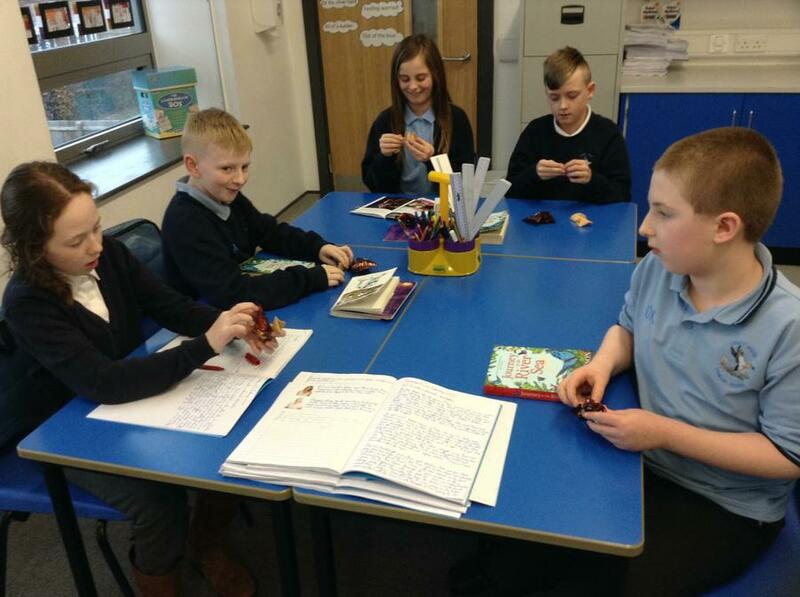 The children thought carefully about the sounds, sights and smells that Autumn brings and used these ideas to create descriptive writing, shape poems and rhyming couplets. 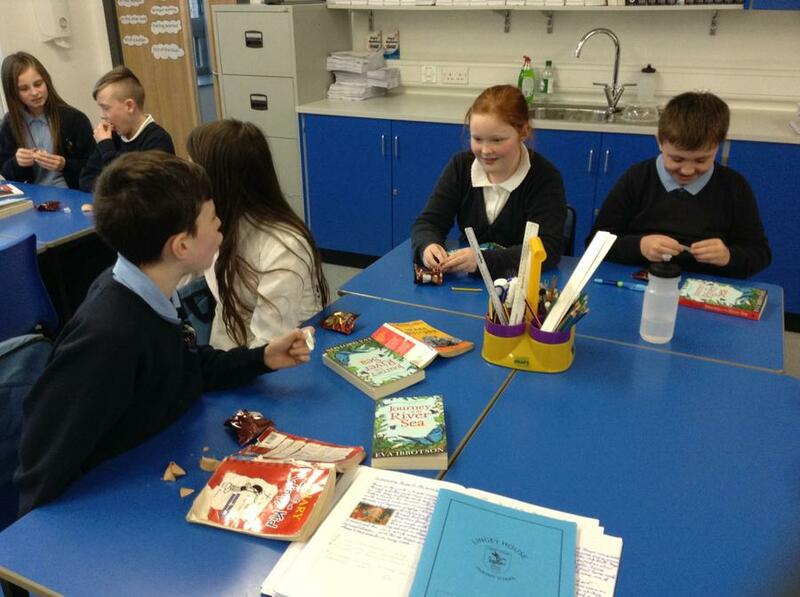 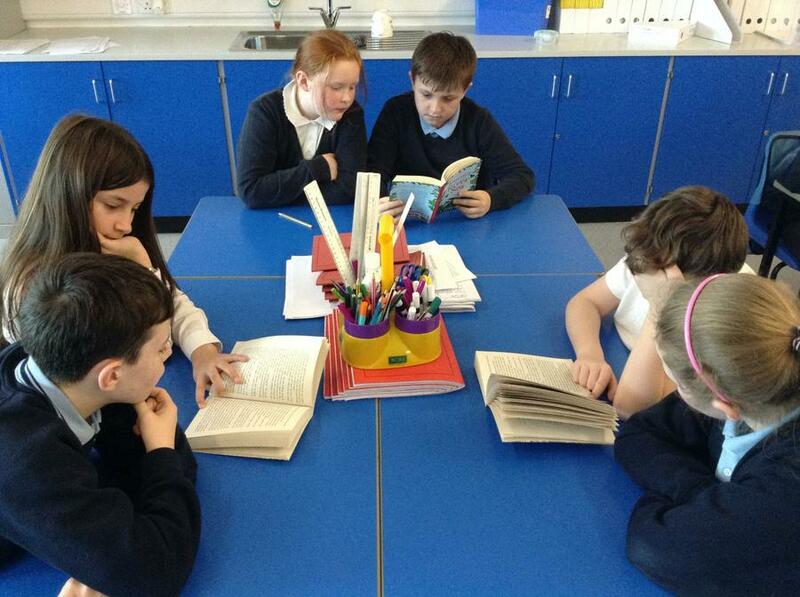 Our class novel for the Autumn term is called Street Child. 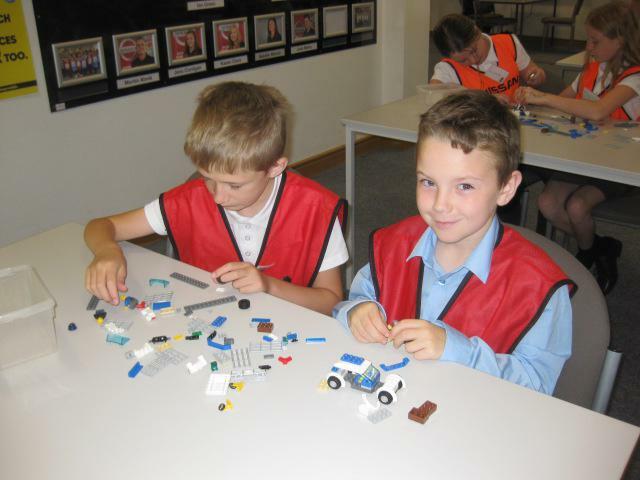 It is about a young boy named Jim Jarvis. 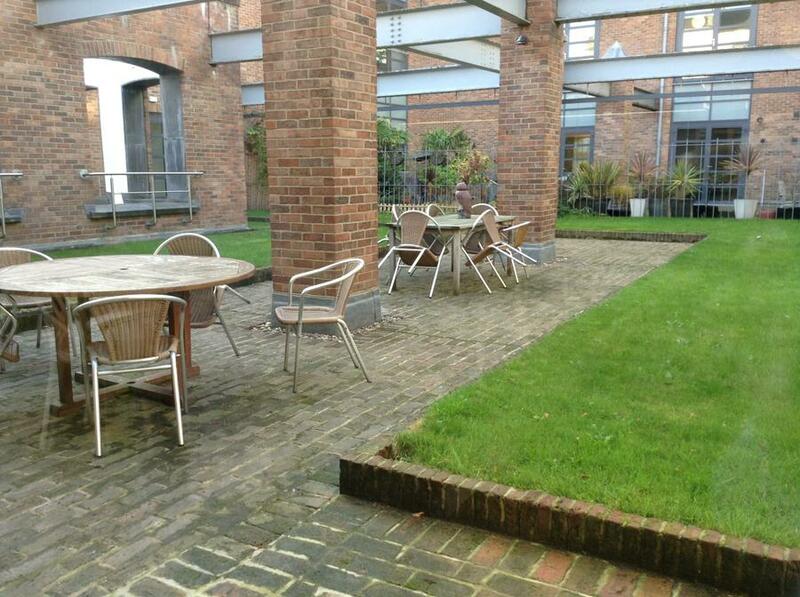 When his mother dies, Jim is all alone in the work house and desperate to escape. 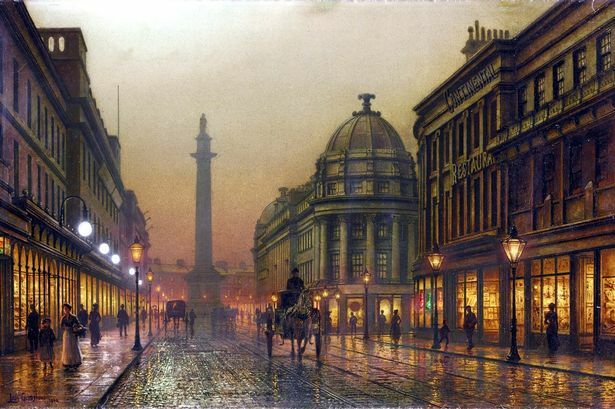 But London during Victorian times is not a safe place, he must over come many challenges before he can finally find happiness. 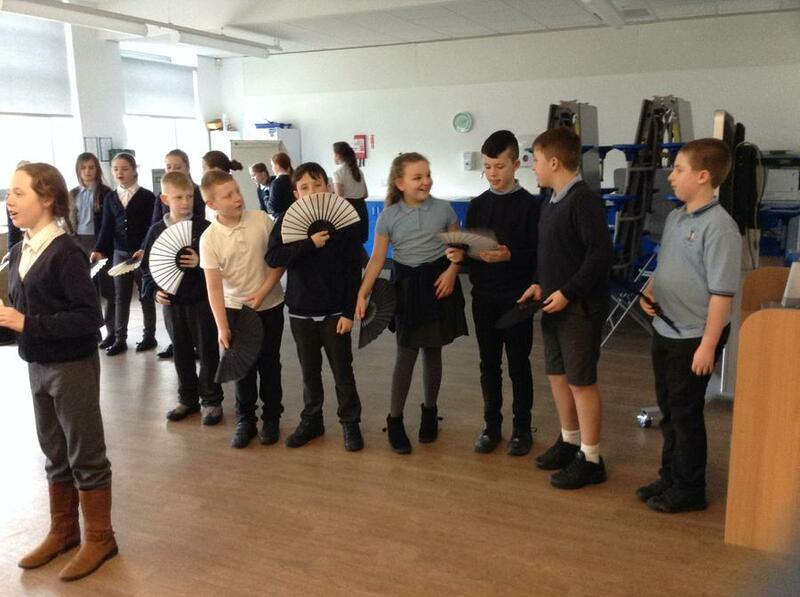 Jim's gripping adventure is based on the story of an orphan whose plight inspired Doctor Barnardo to set up his famous children's refuge and it also links perfectly to our Victorians topic. 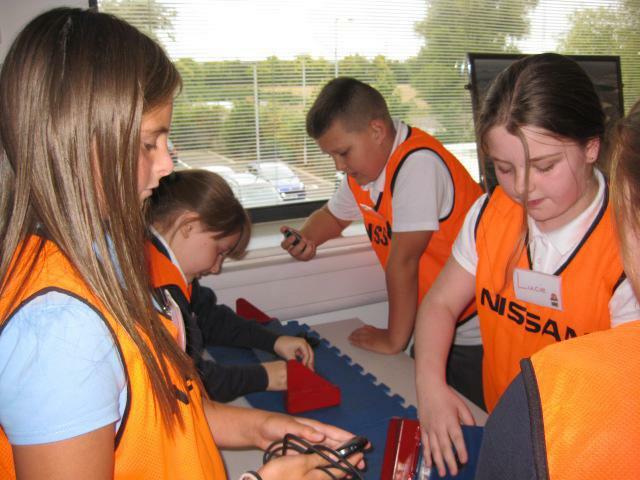 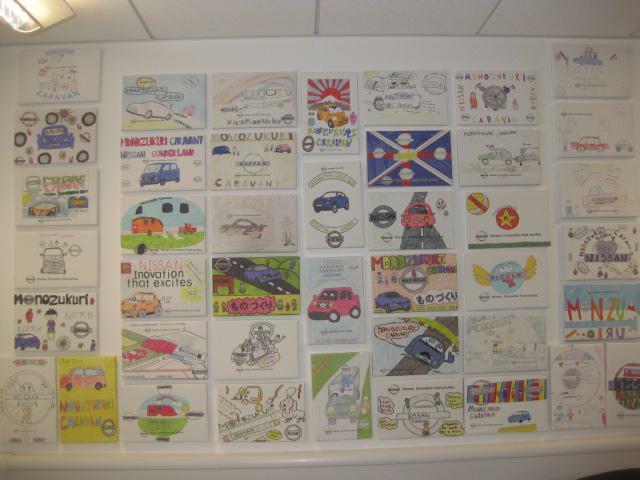 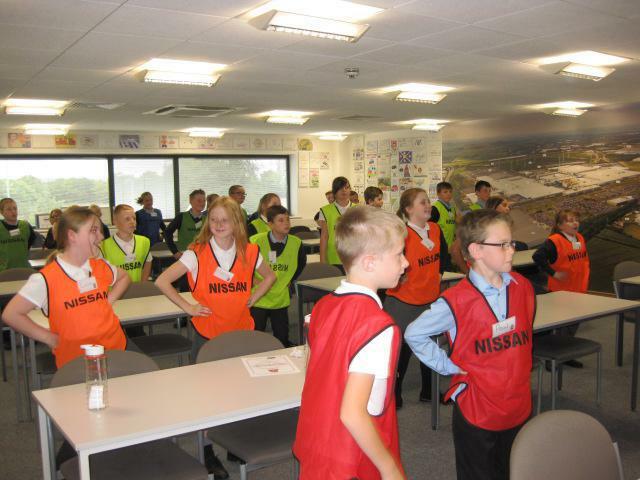 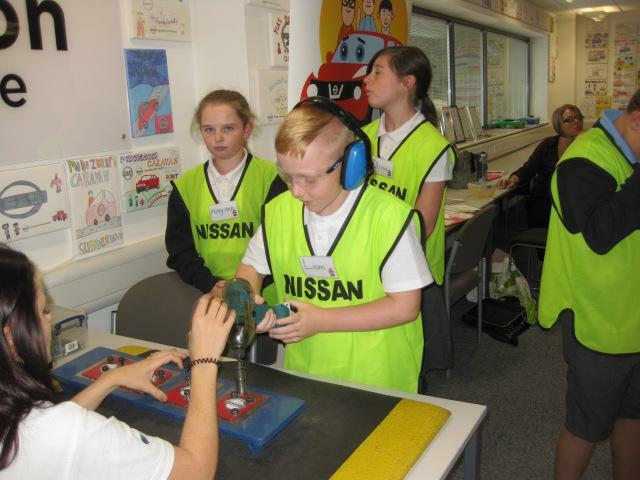 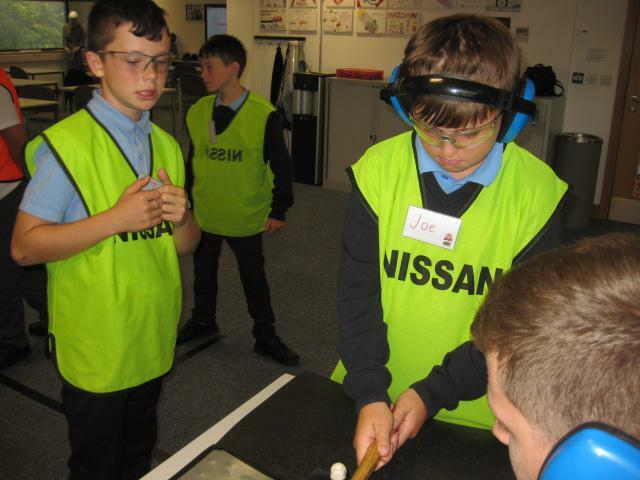 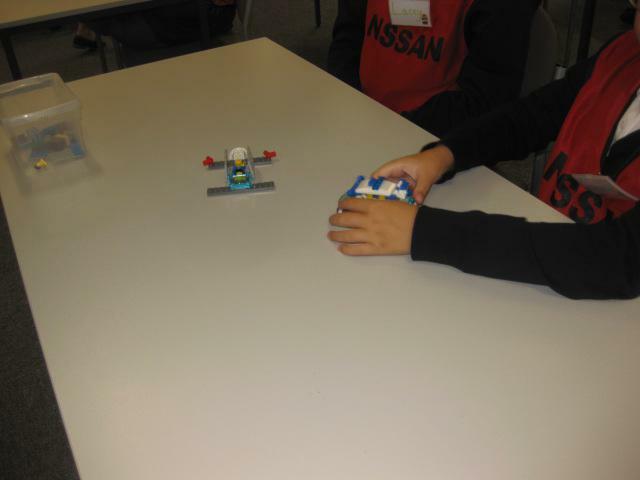 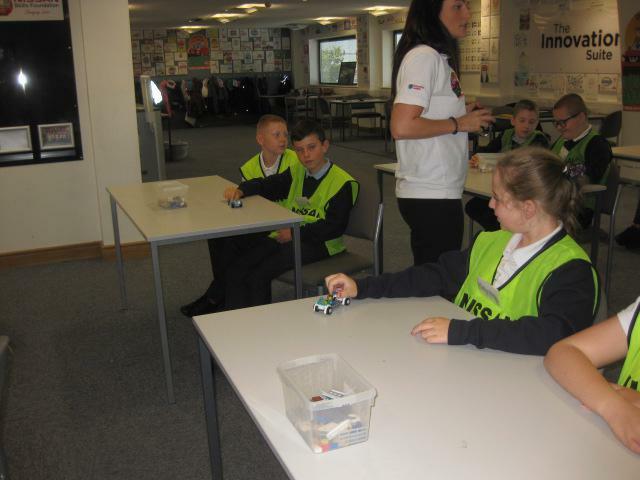 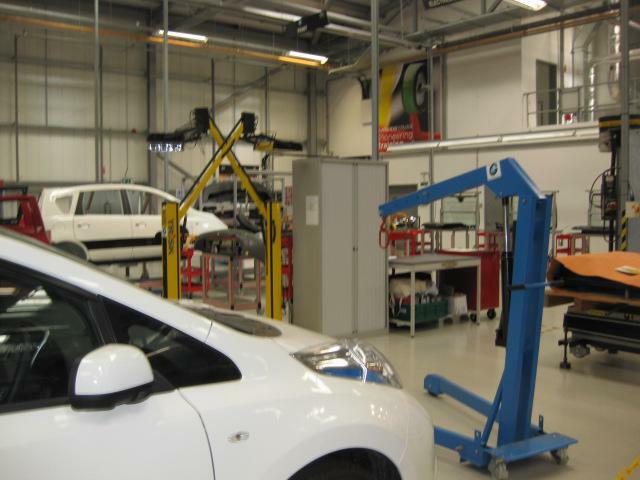 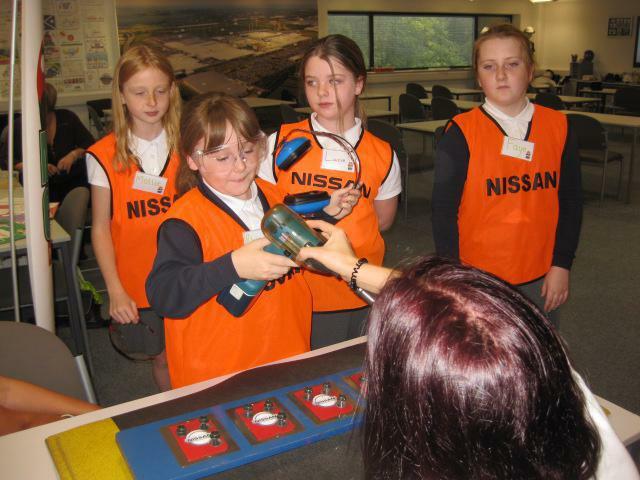 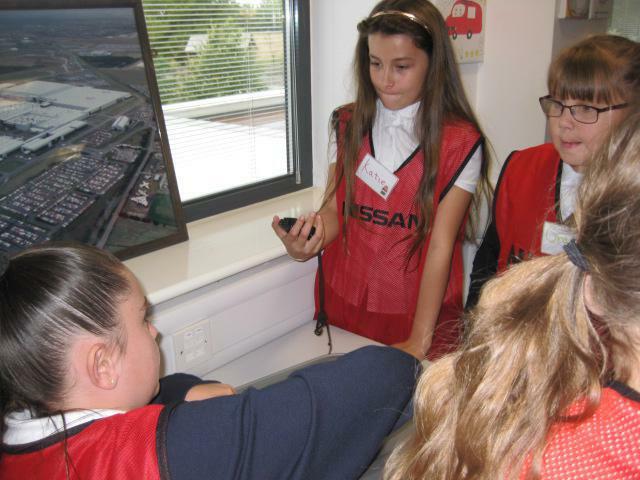 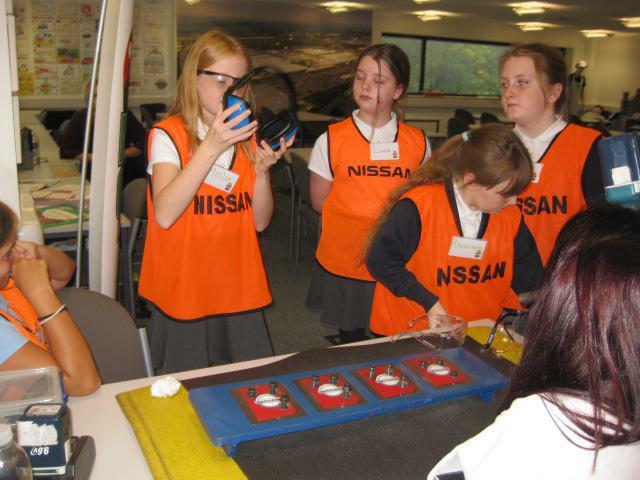 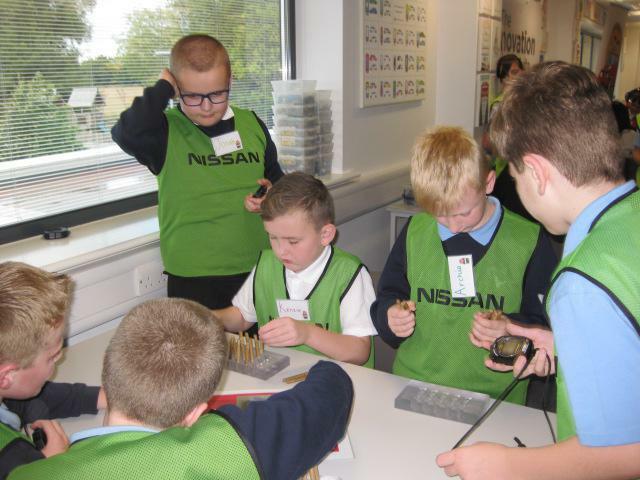 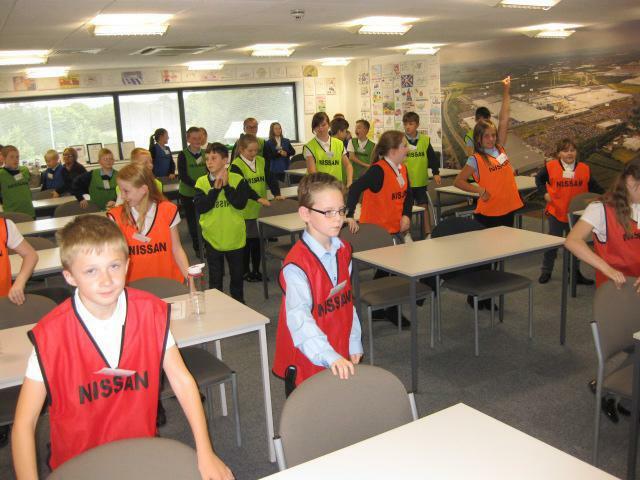 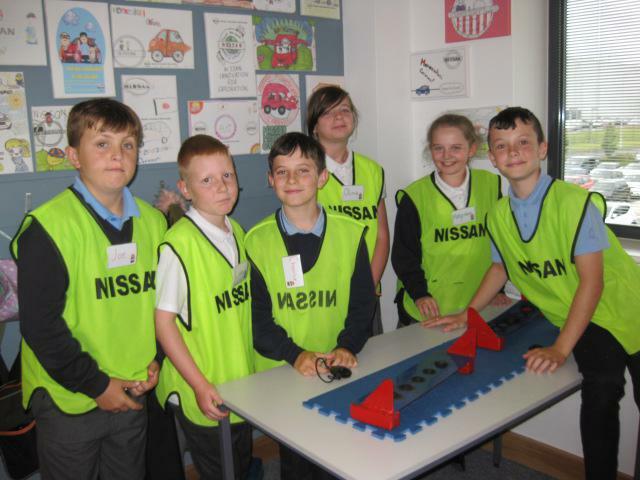 On Thursday 13th September we visited Nissan. 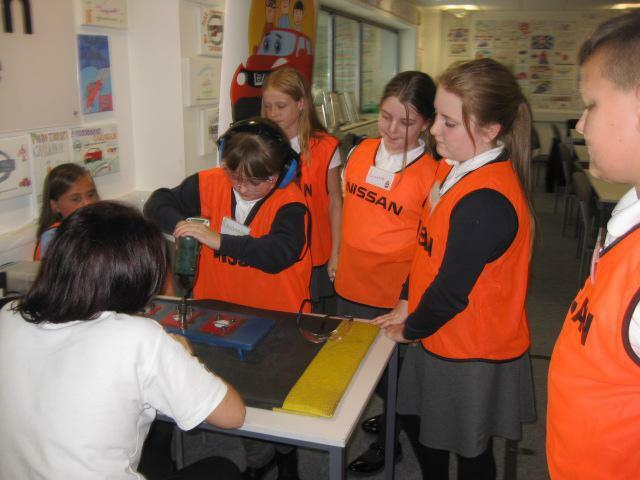 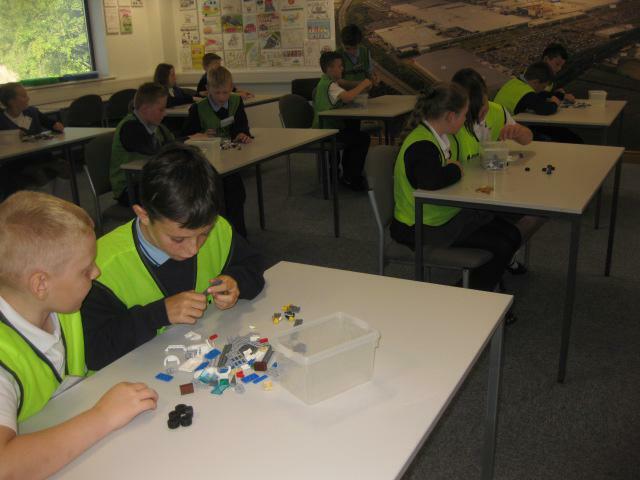 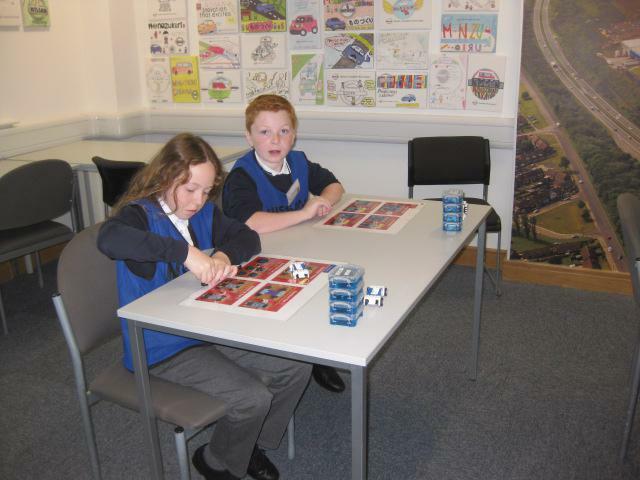 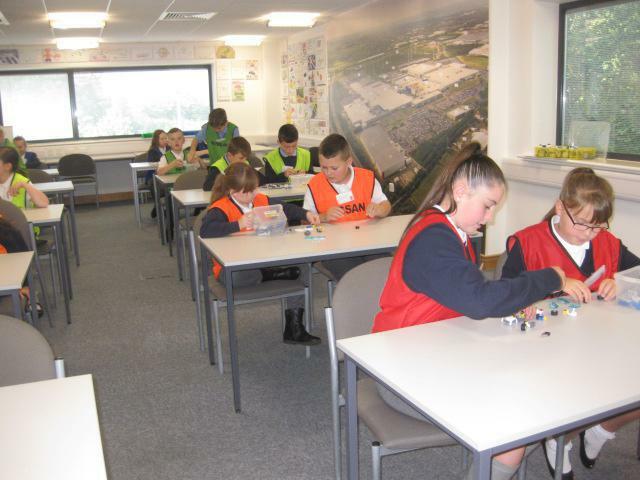 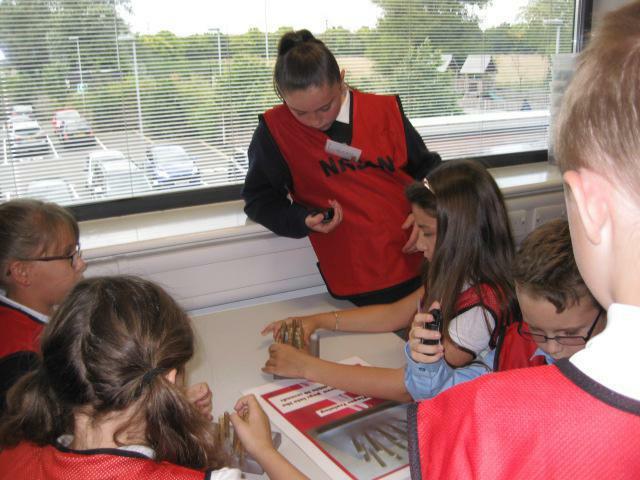 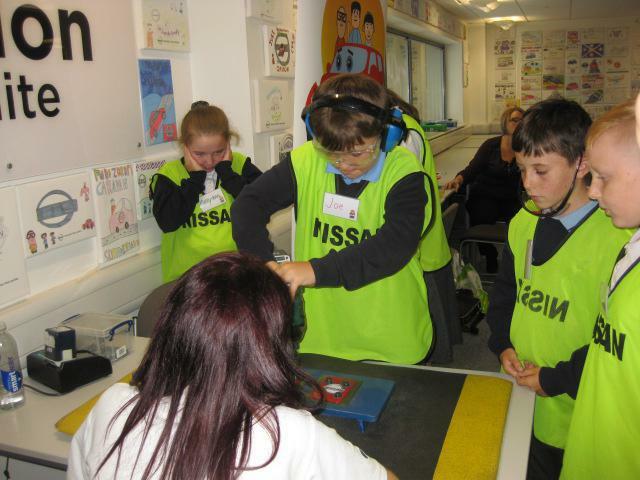 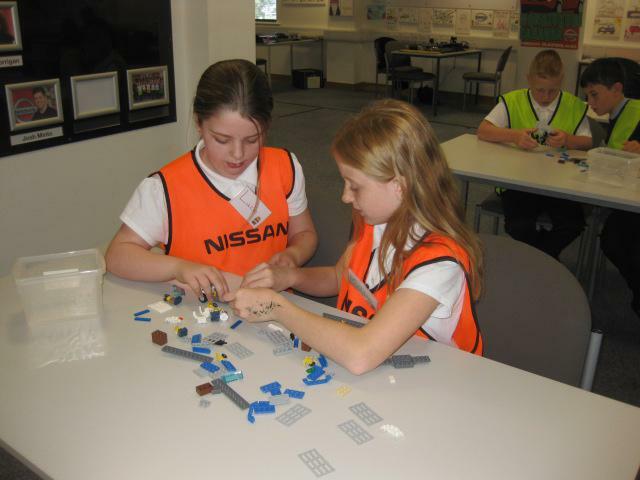 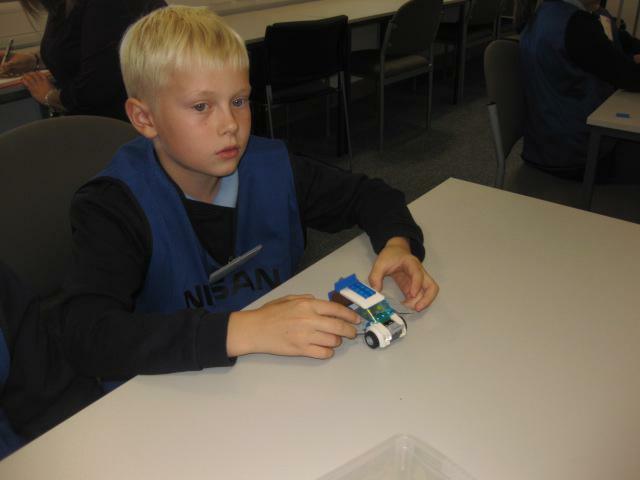 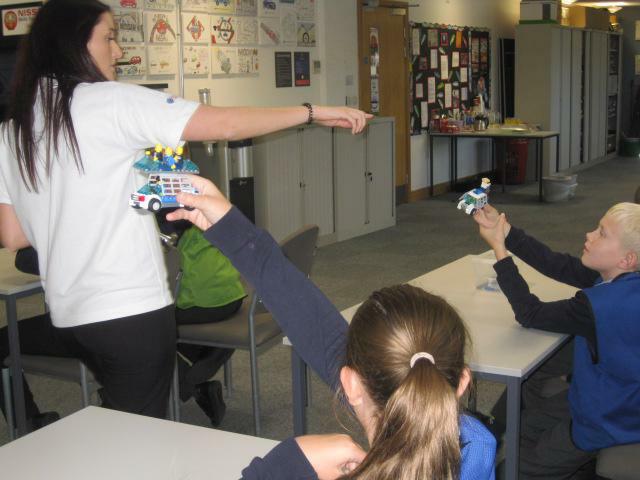 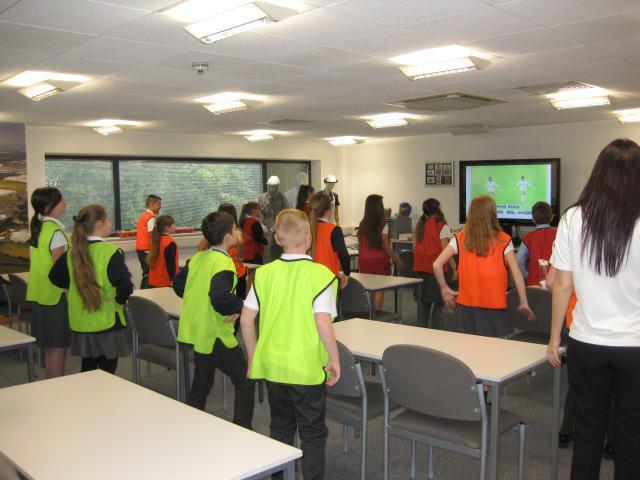 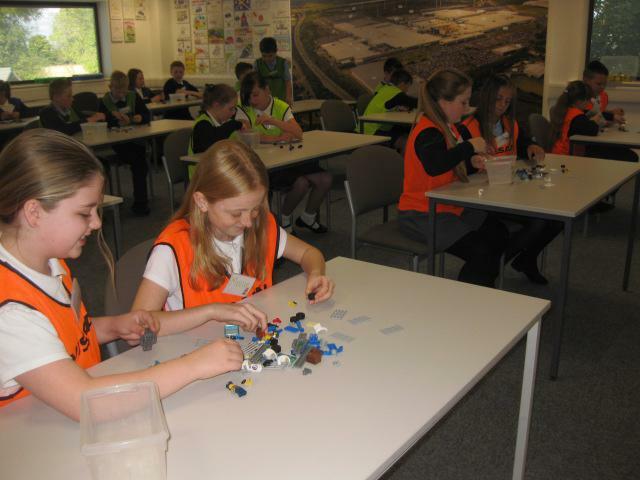 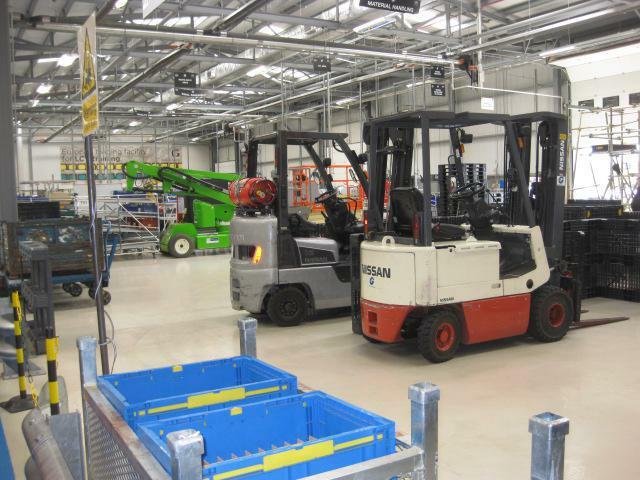 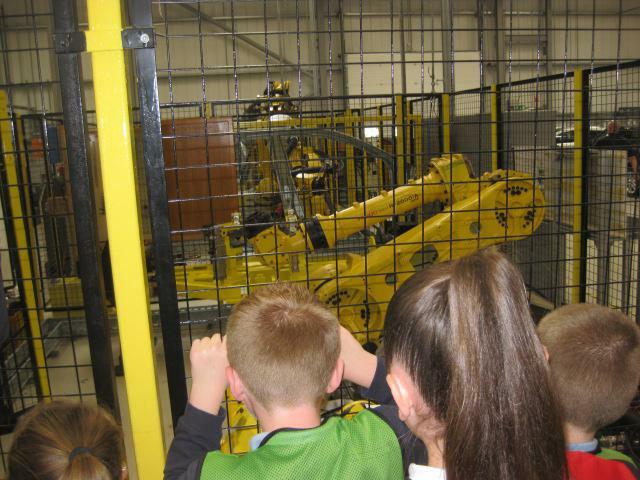 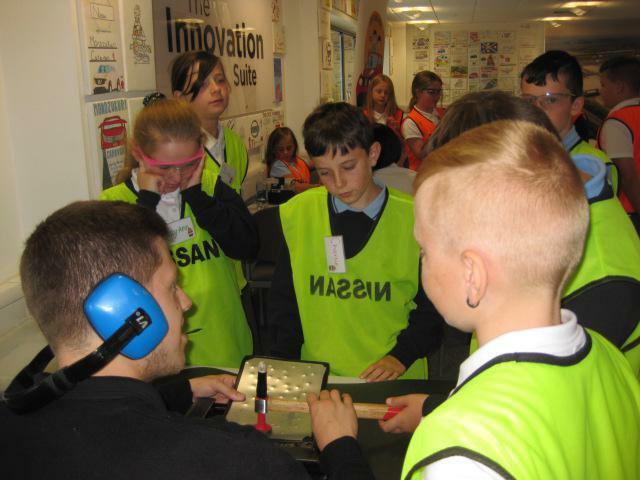 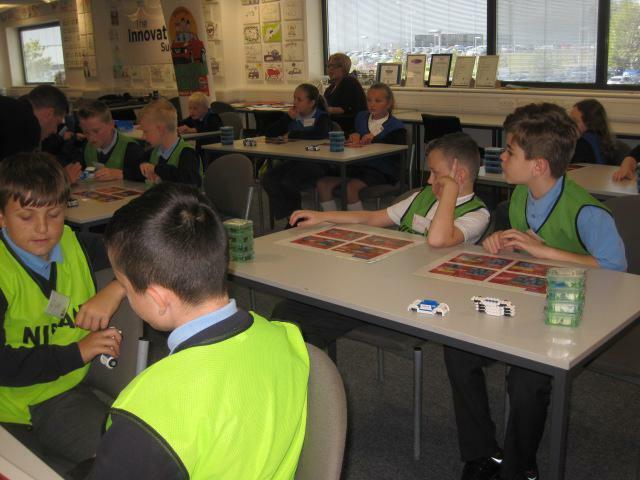 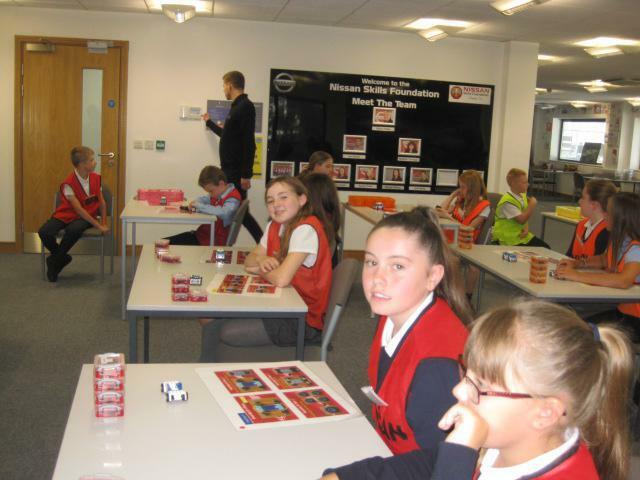 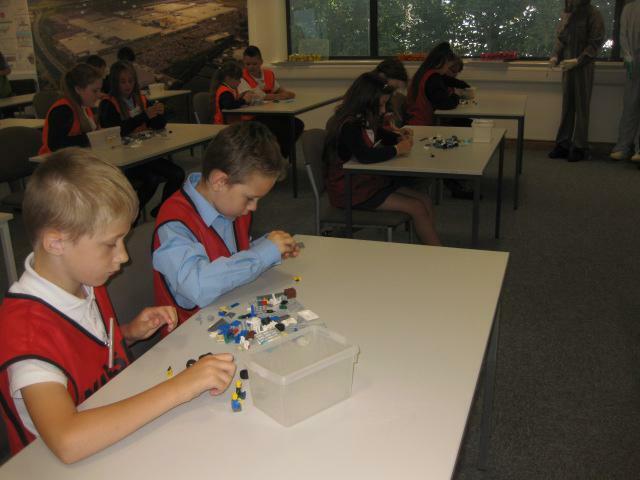 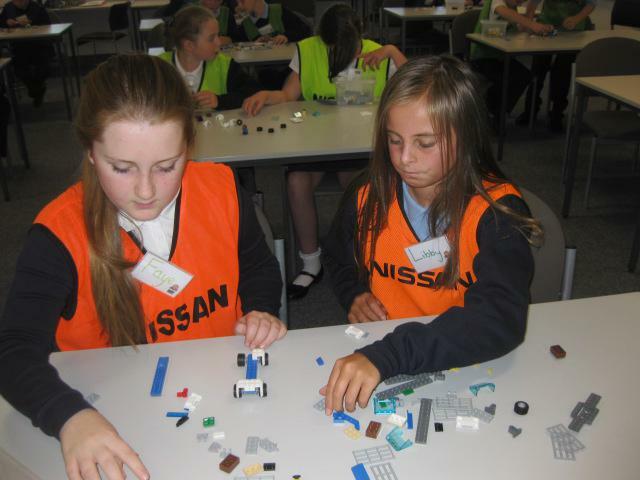 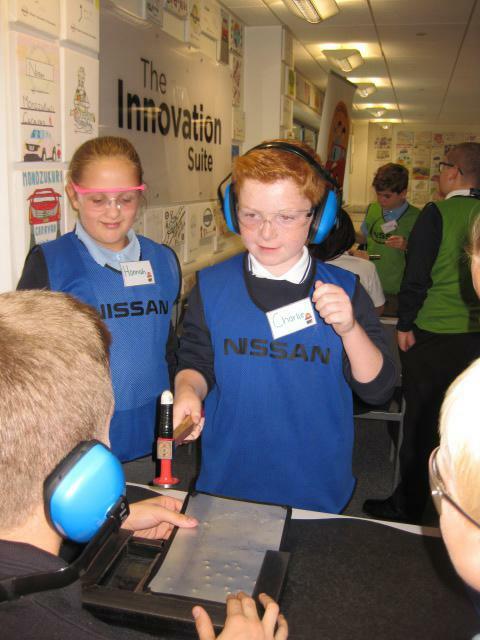 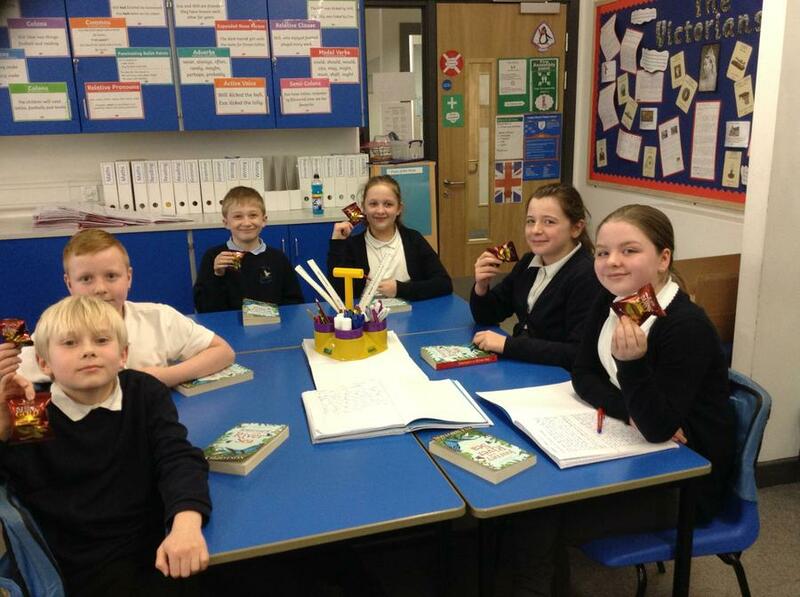 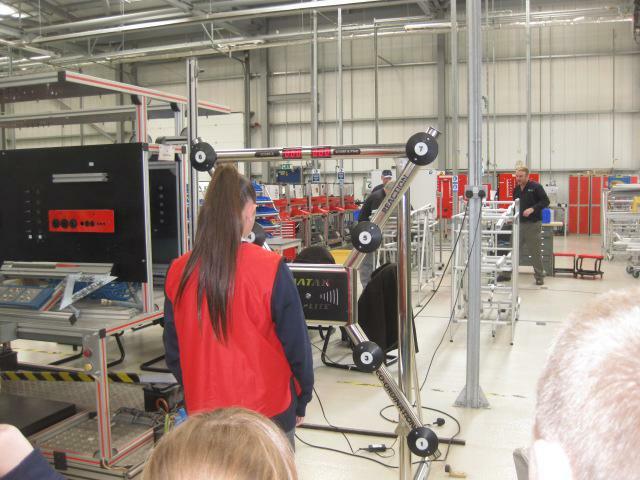 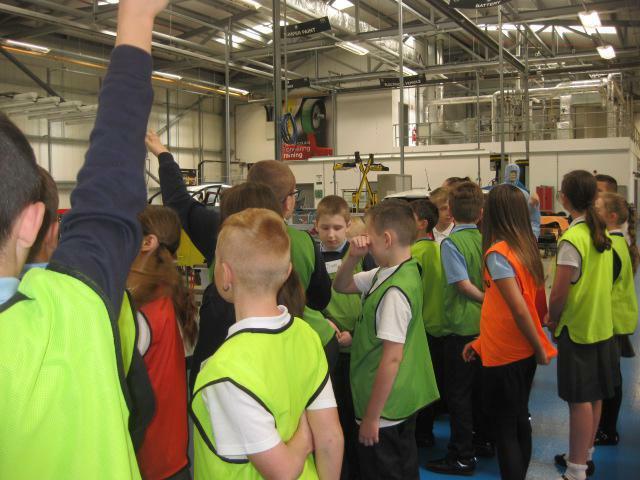 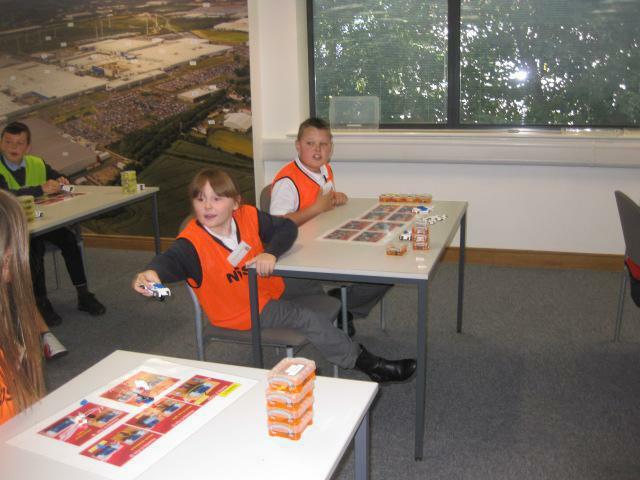 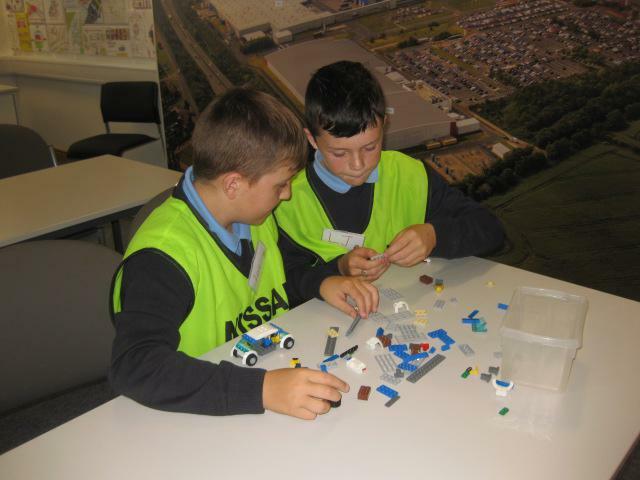 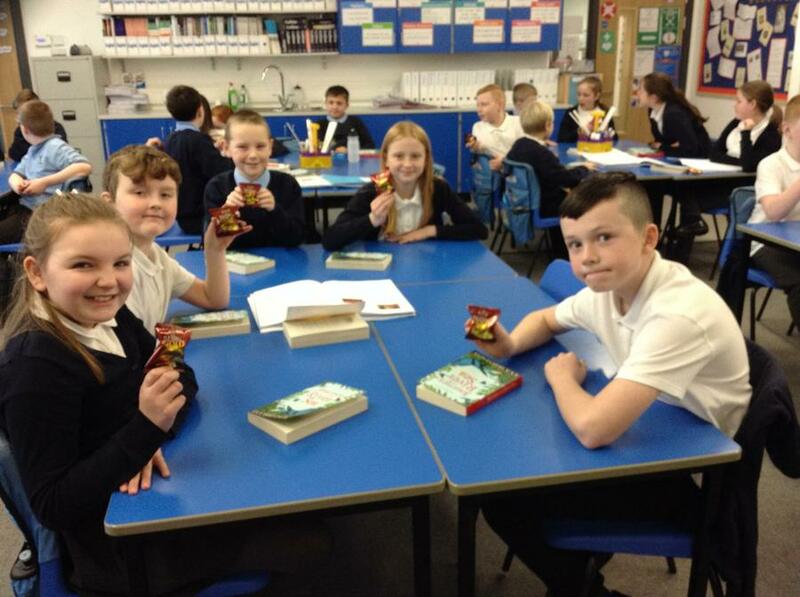 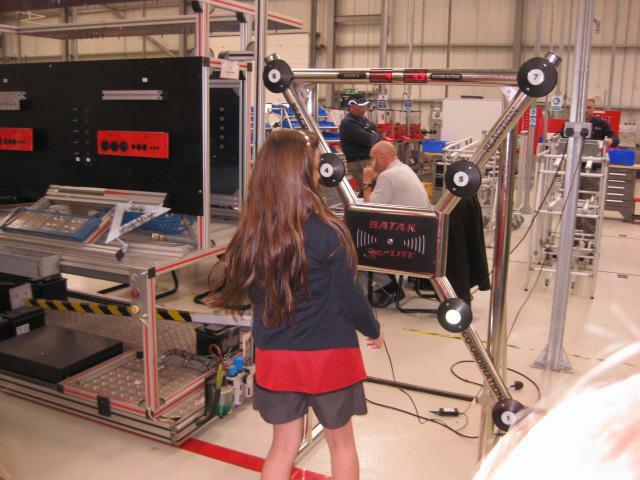 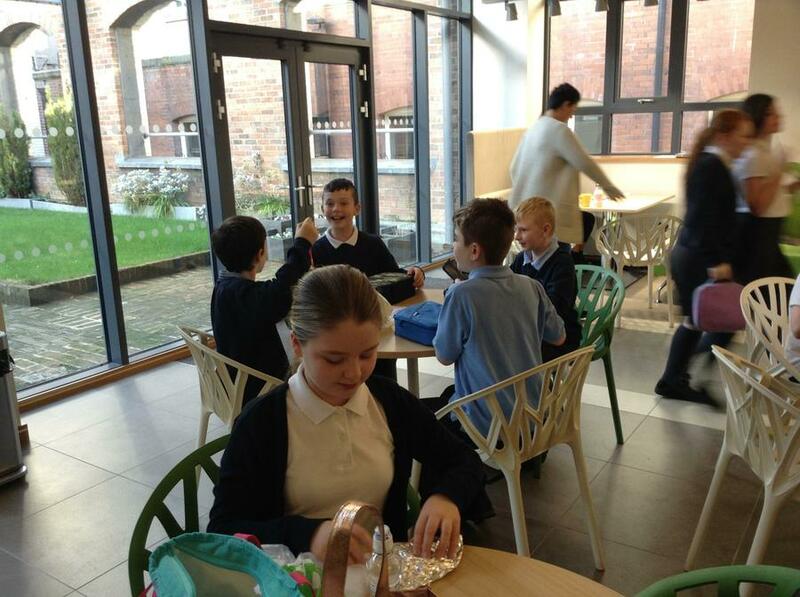 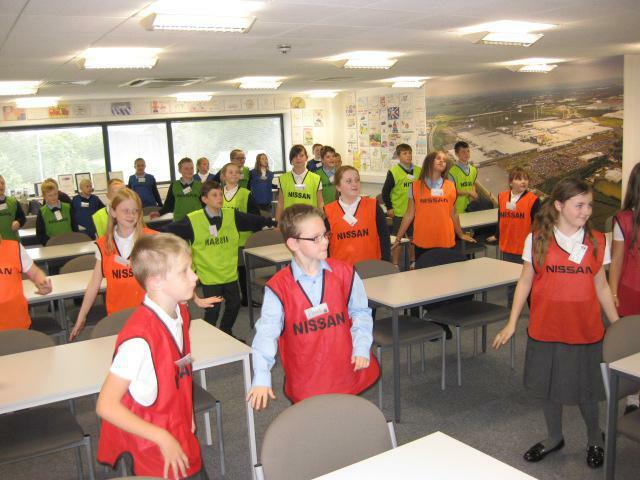 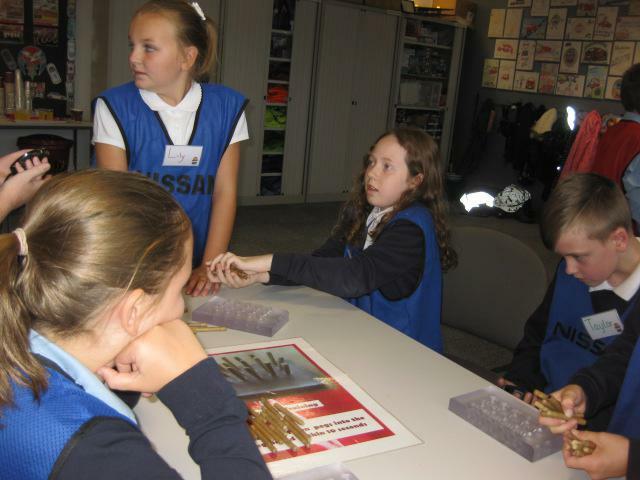 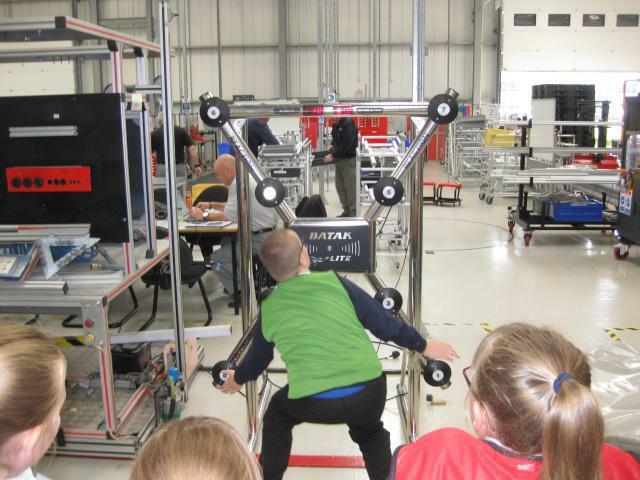 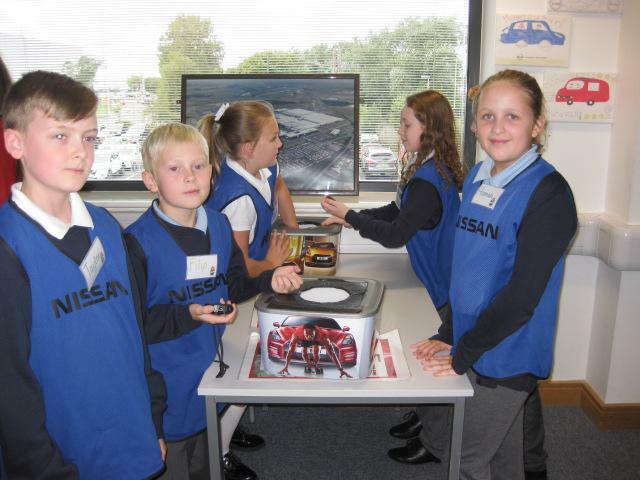 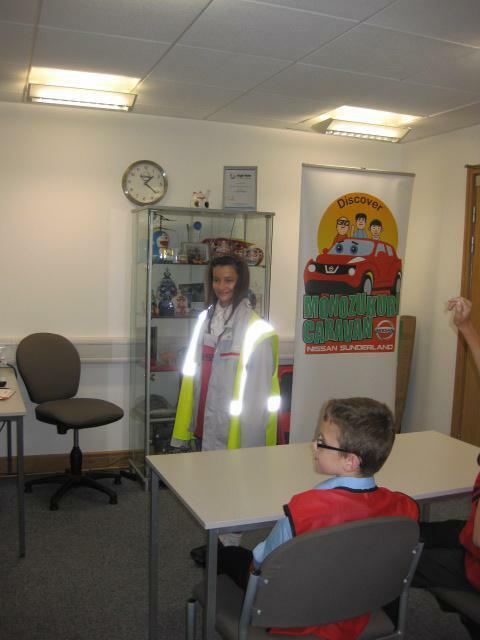 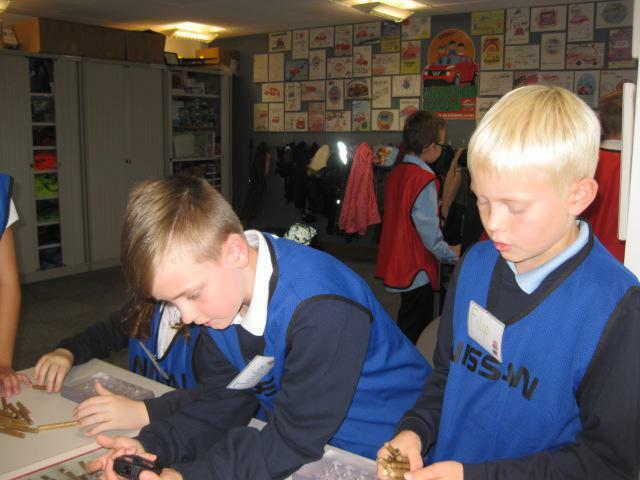 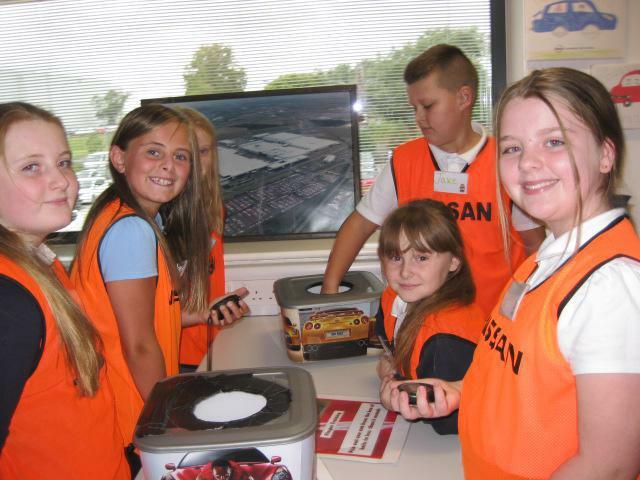 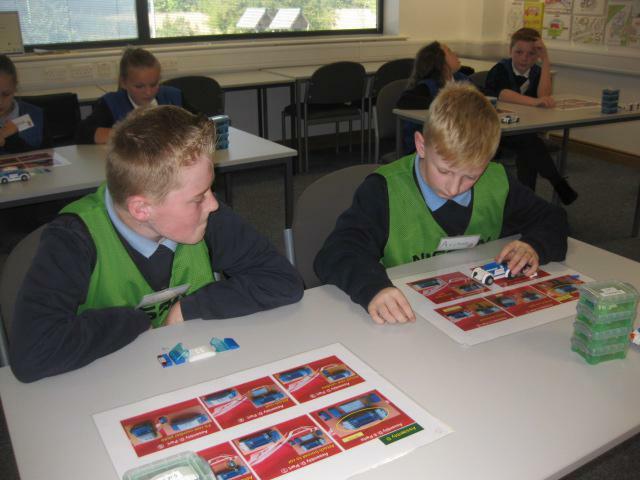 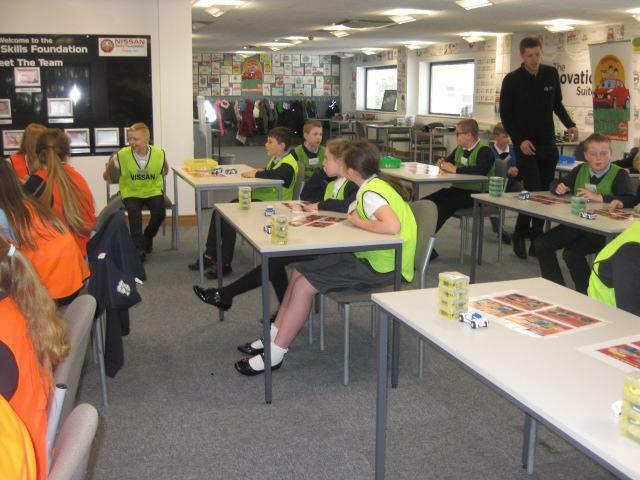 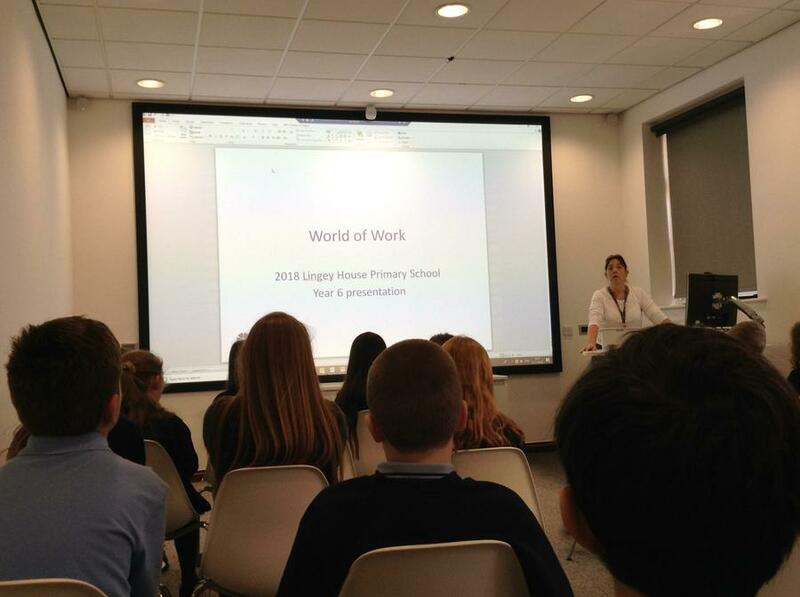 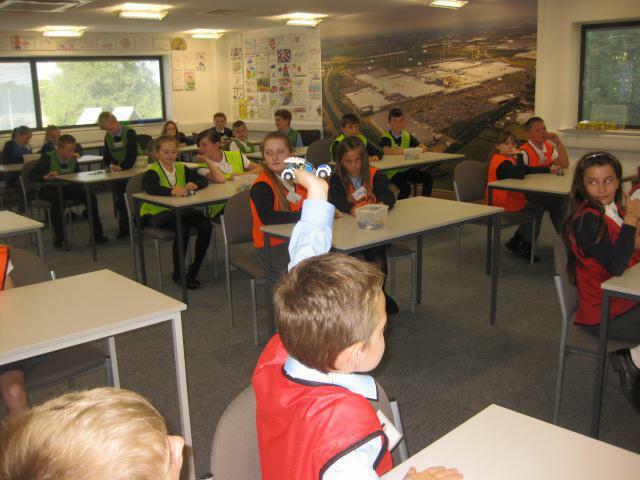 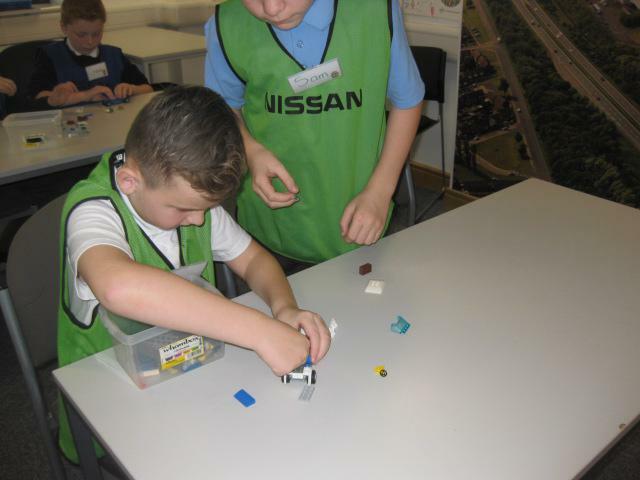 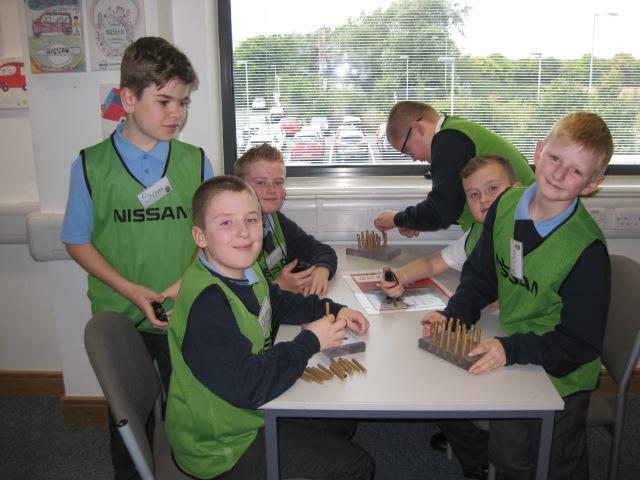 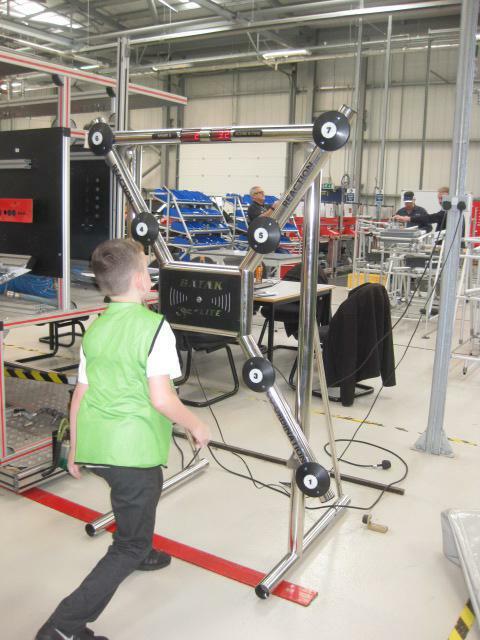 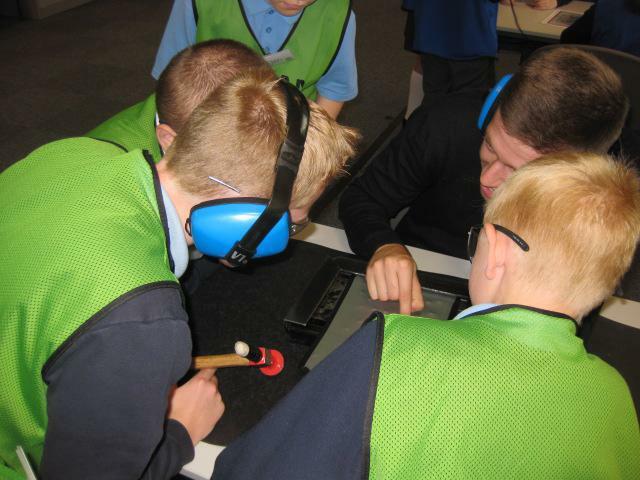 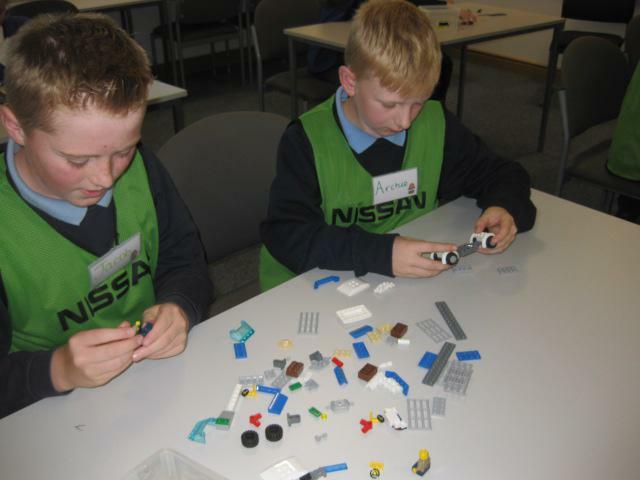 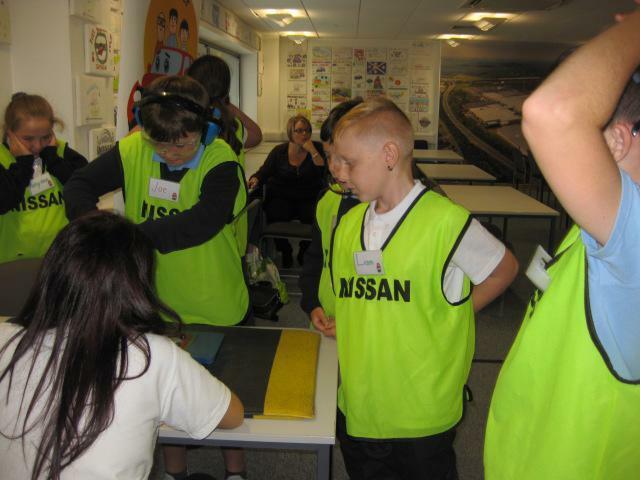 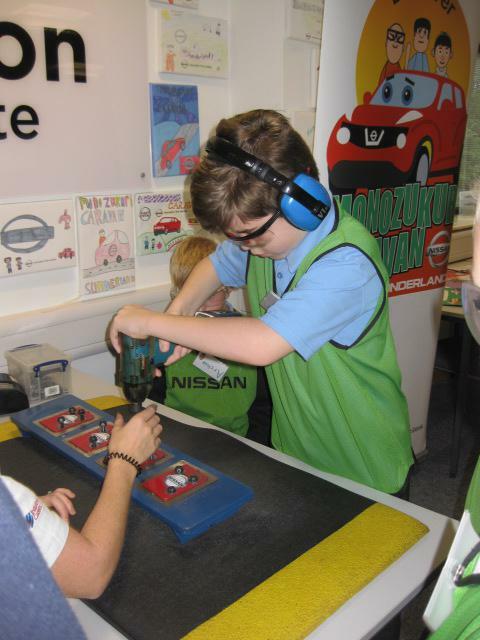 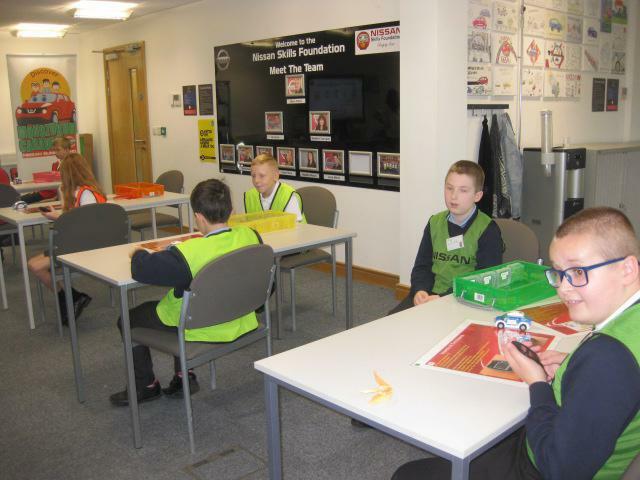 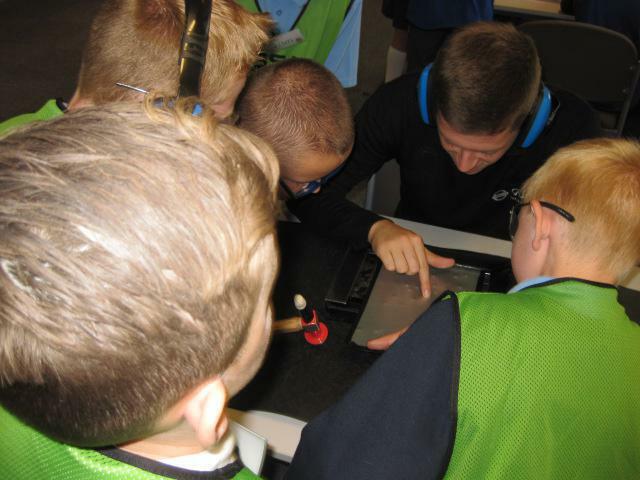 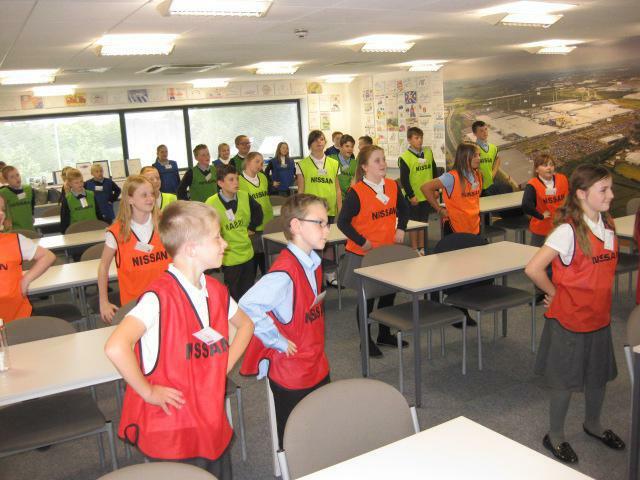 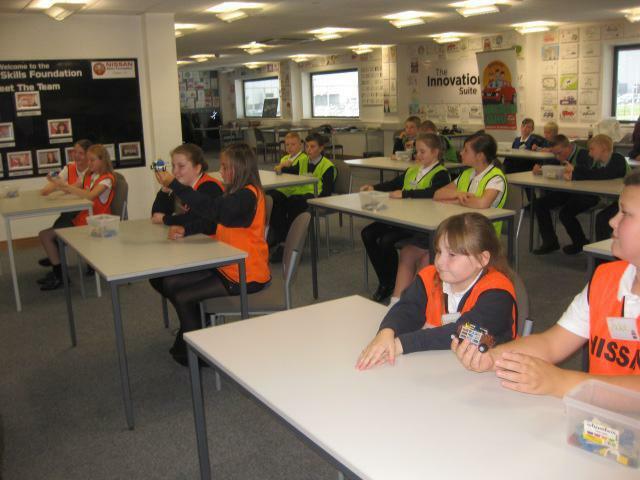 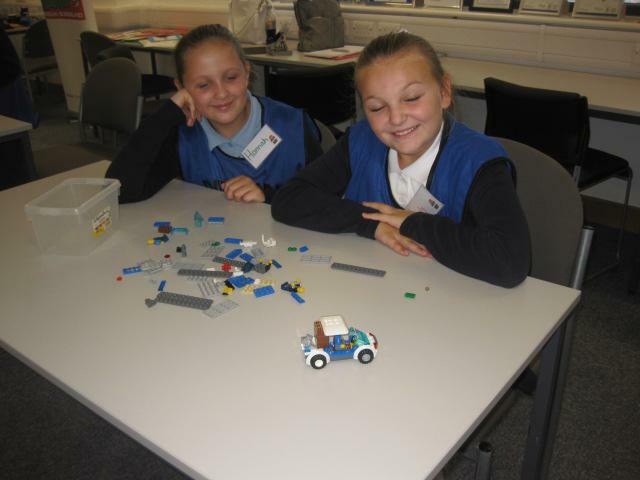 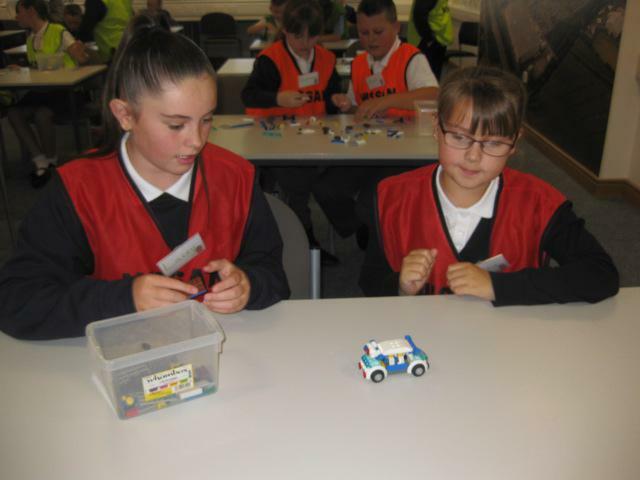 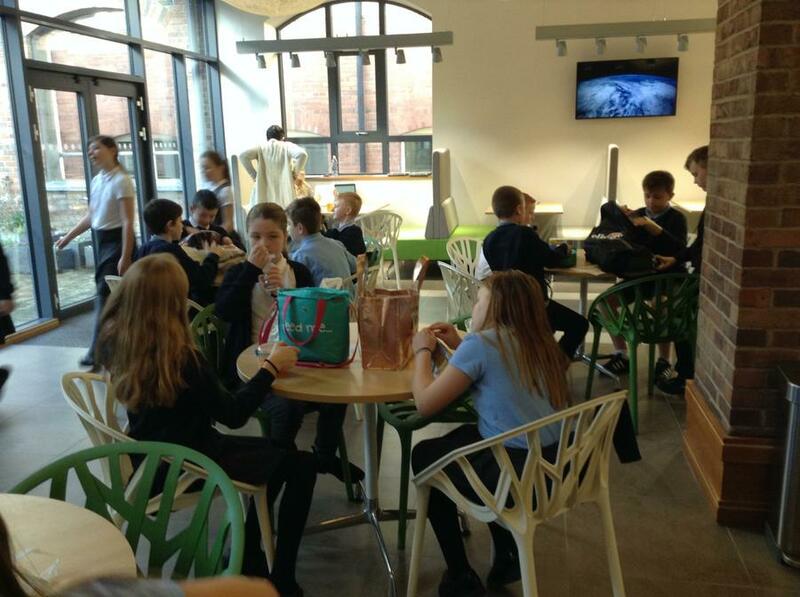 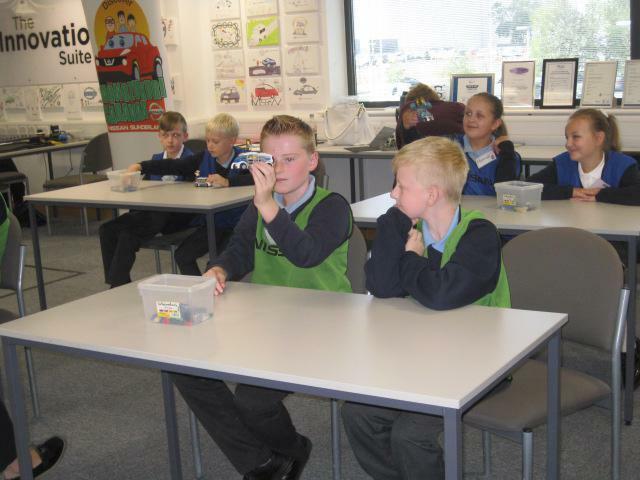 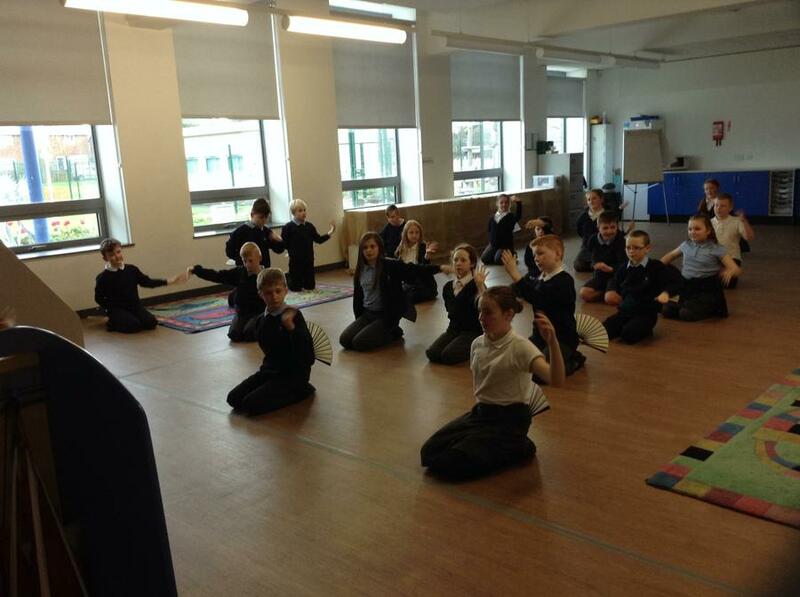 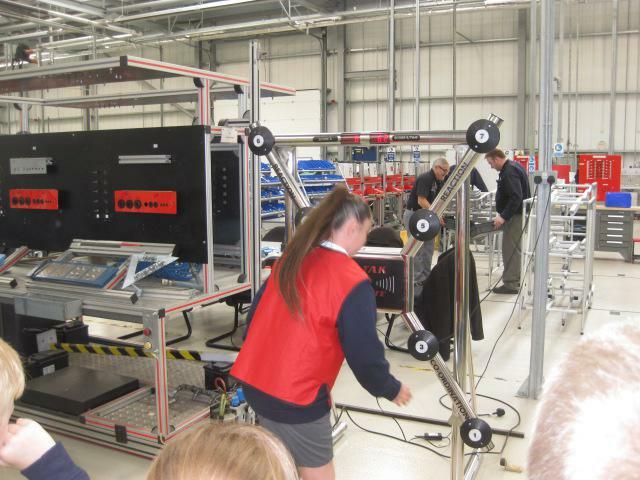 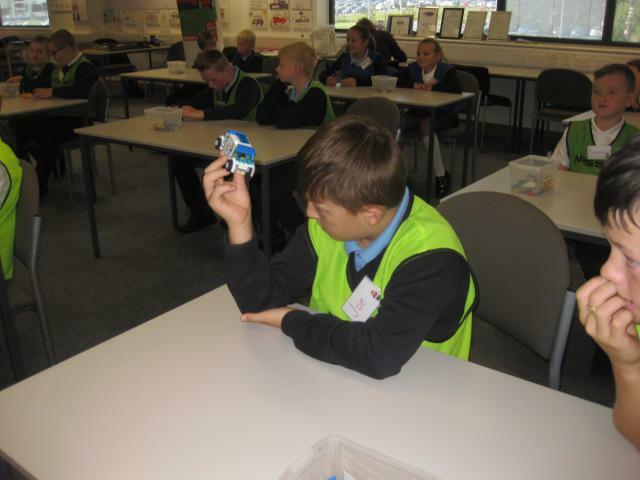 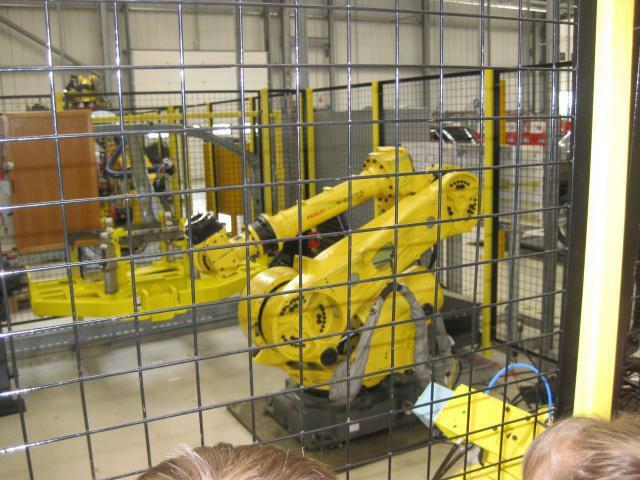 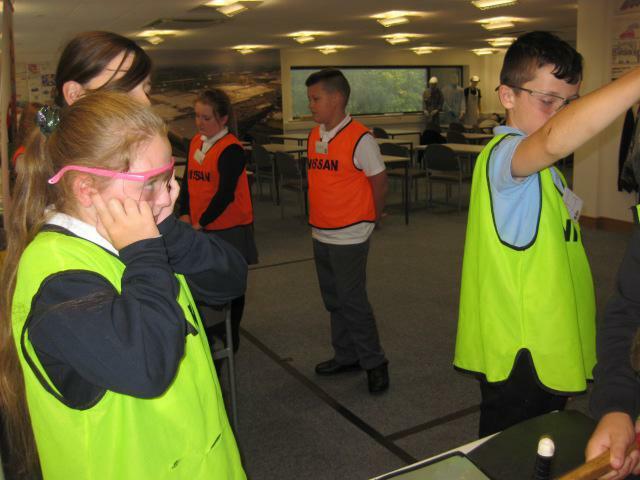 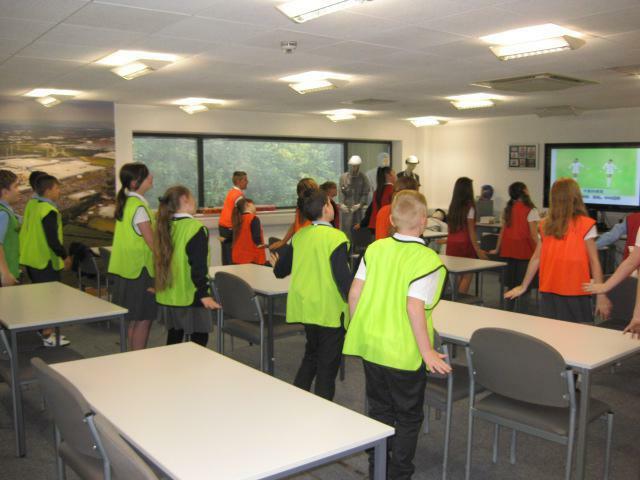 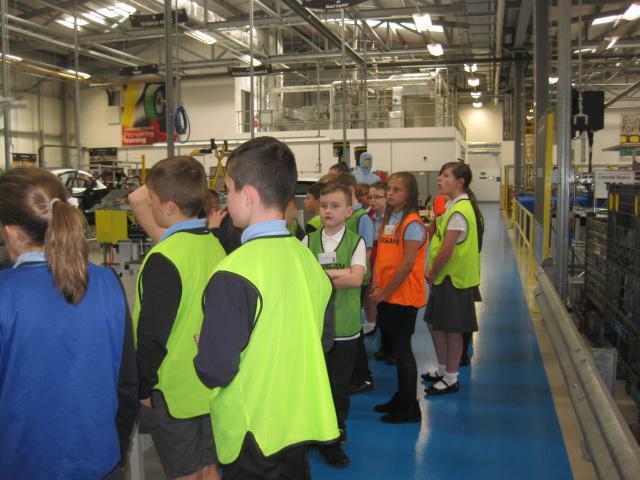 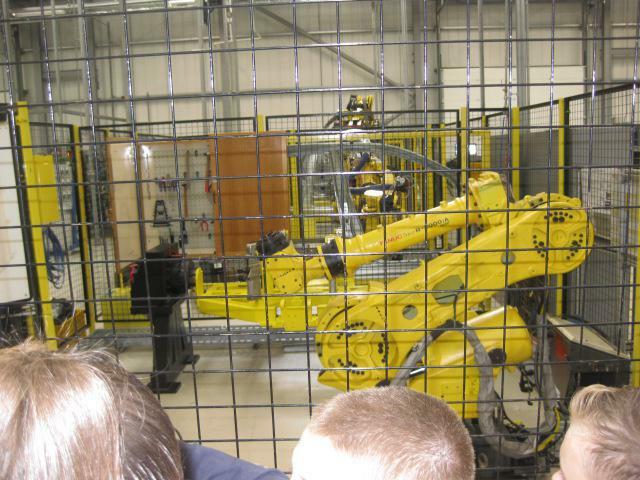 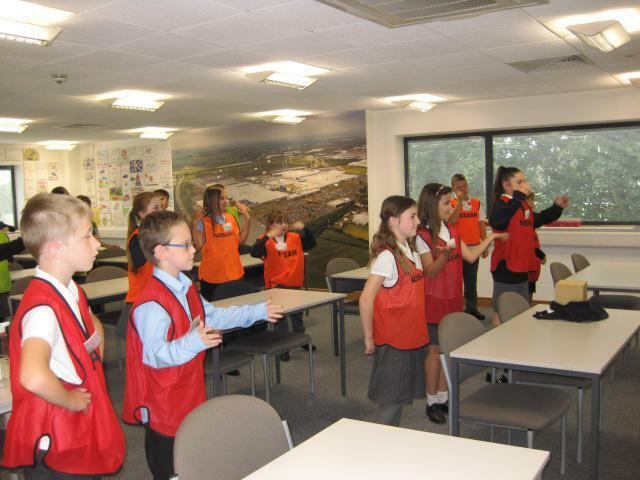 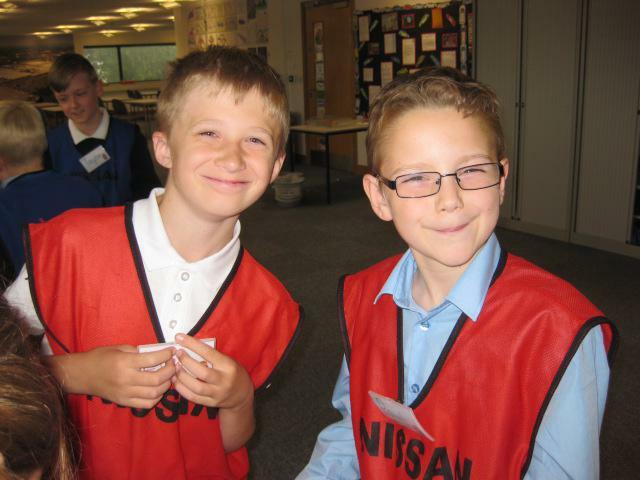 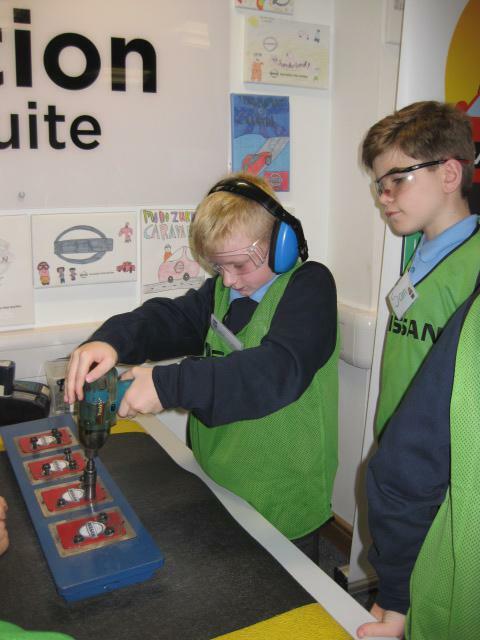 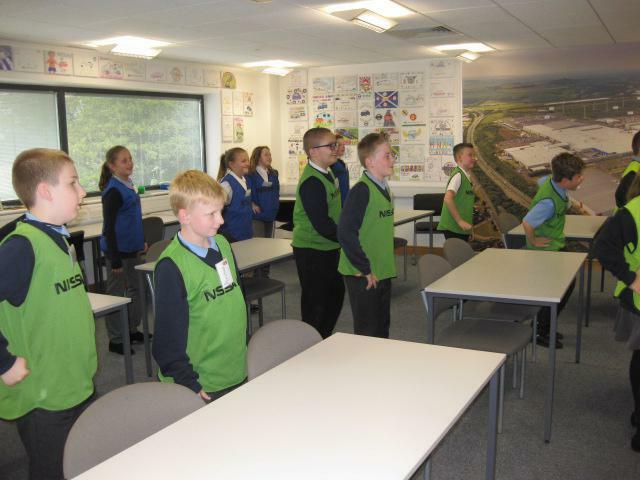 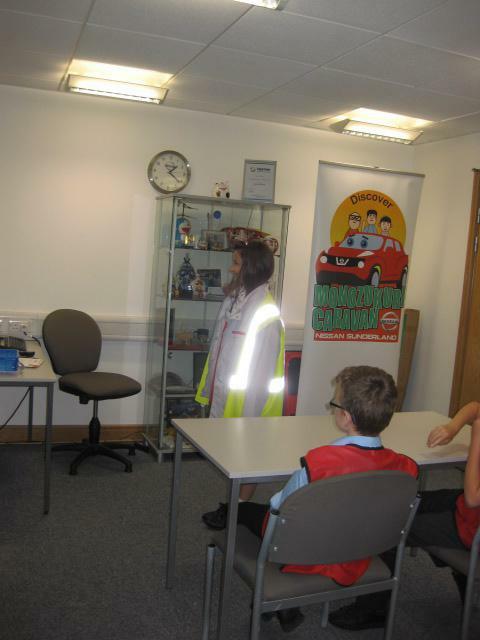 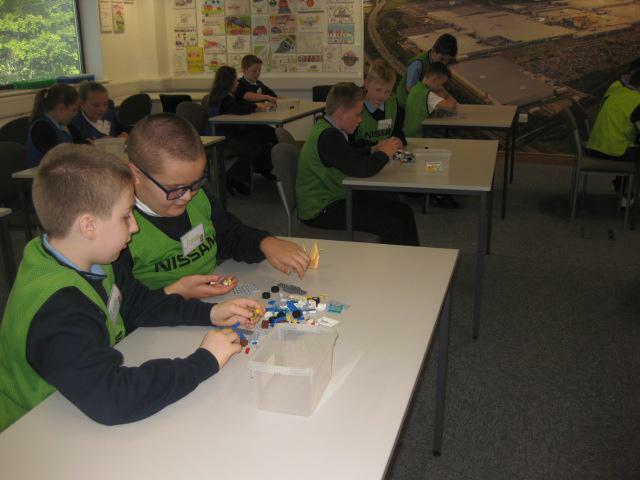 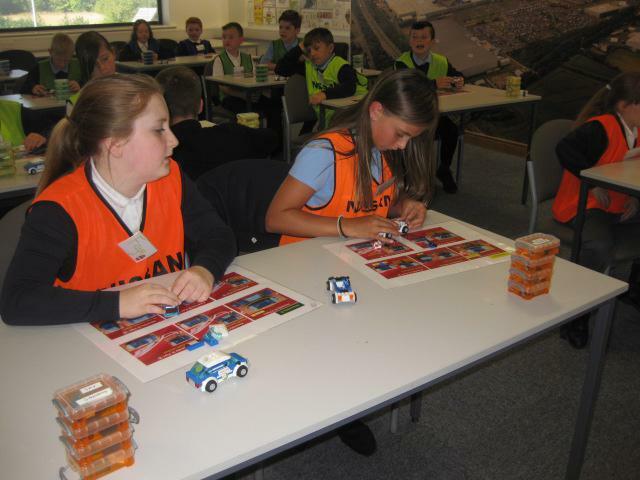 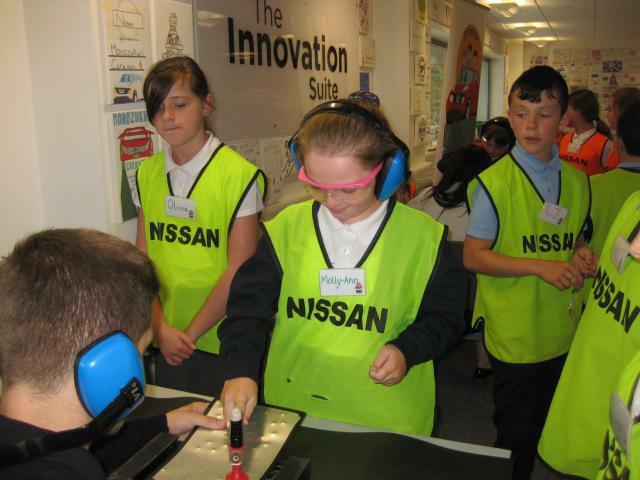 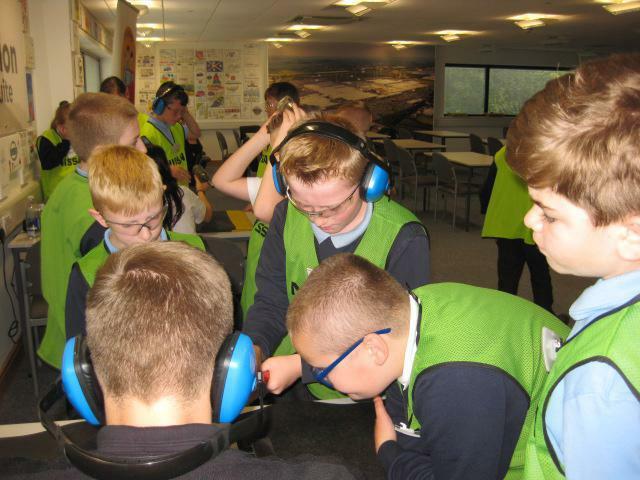 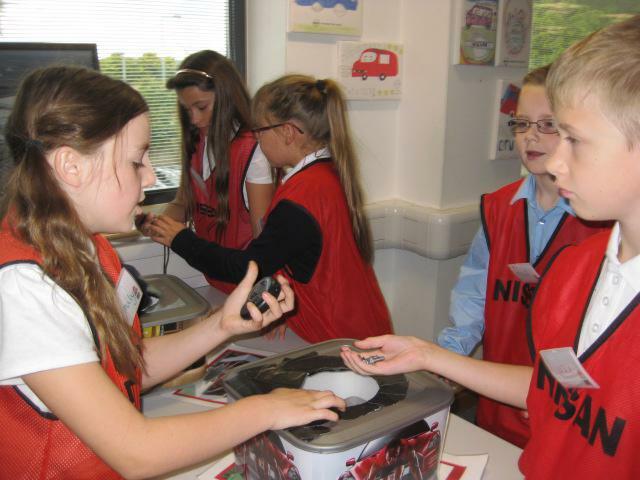 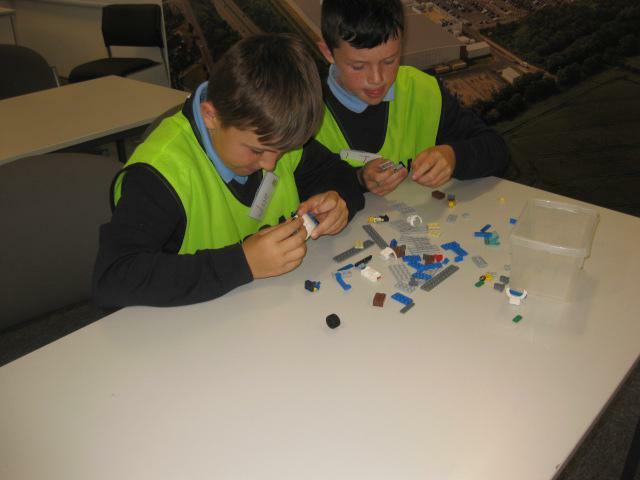 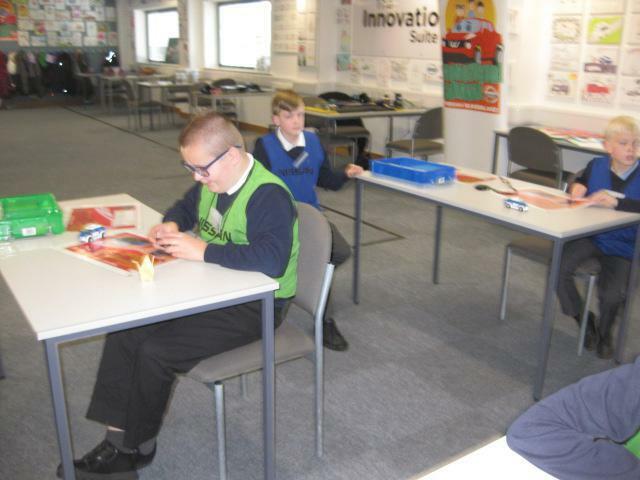 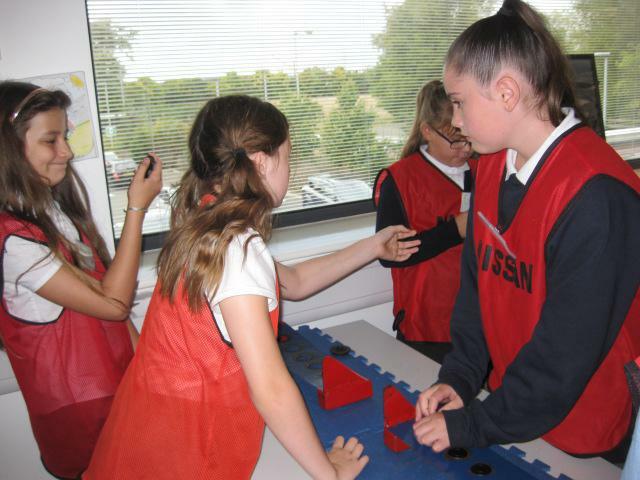 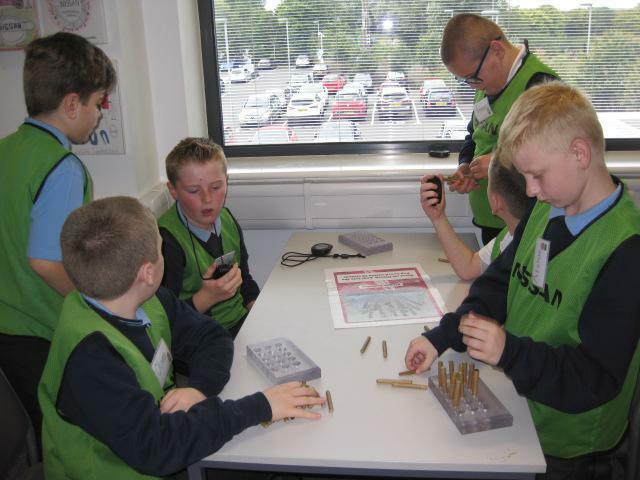 The children took part in many exciting activities and learned about the vast variety of jobs available at the plant. 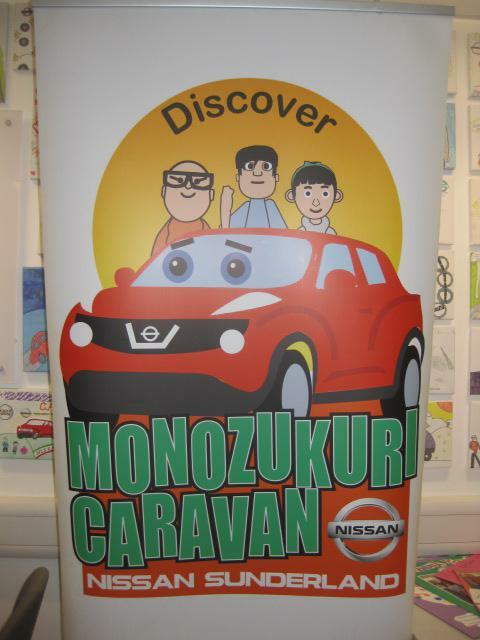 The were told about the history of the Nissan brand and the new Infinity range recently launched by the company. 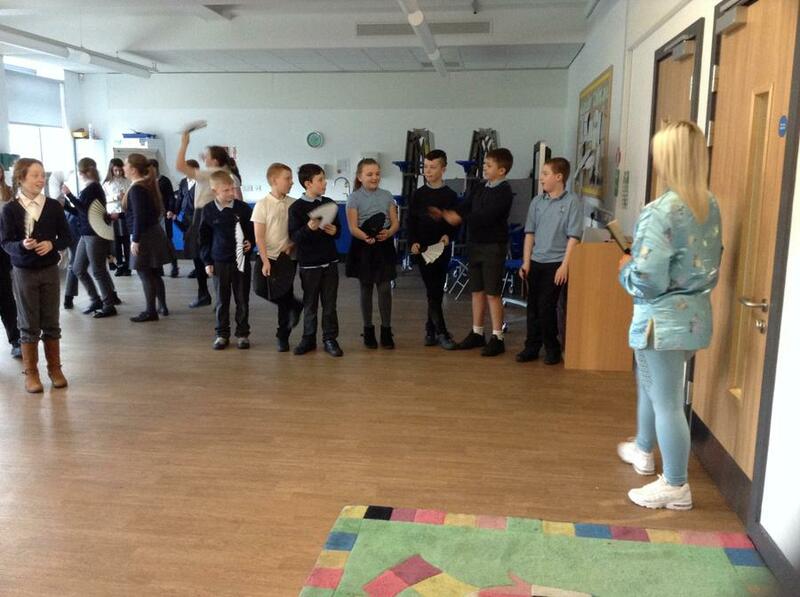 All of the children had a fantastic day! 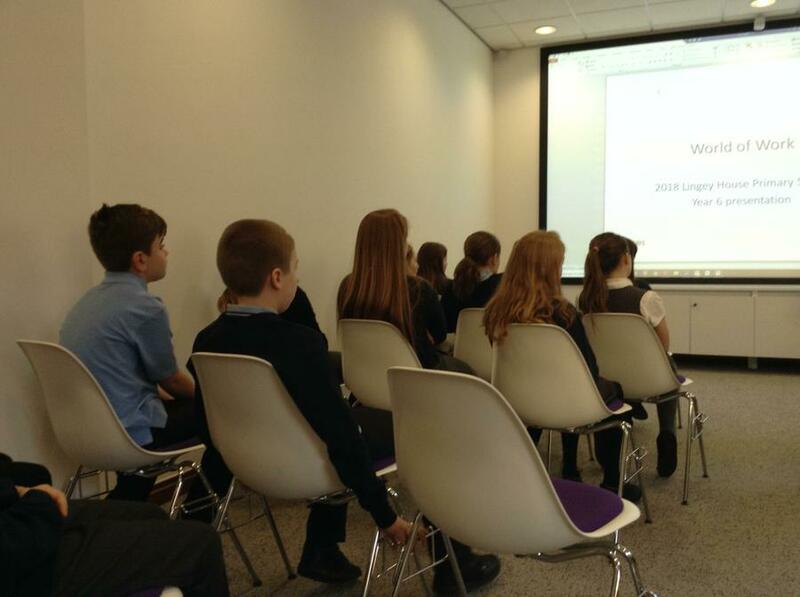 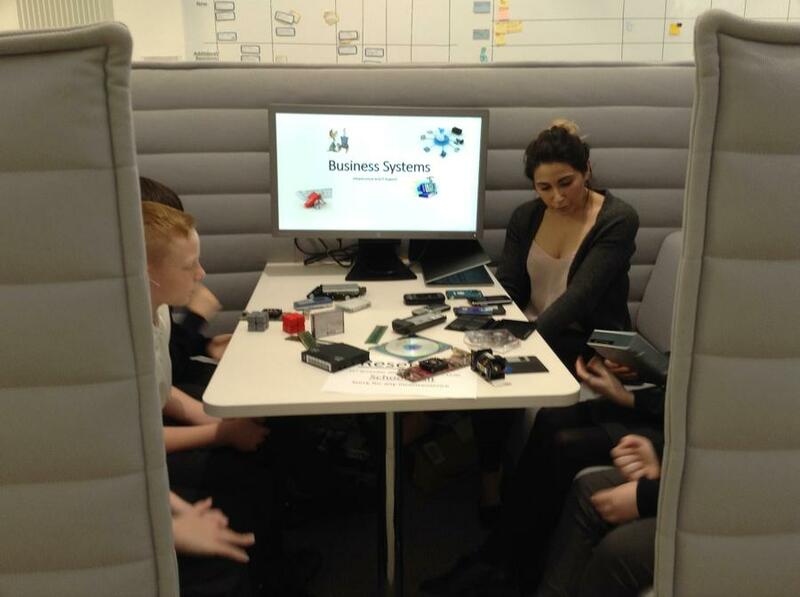 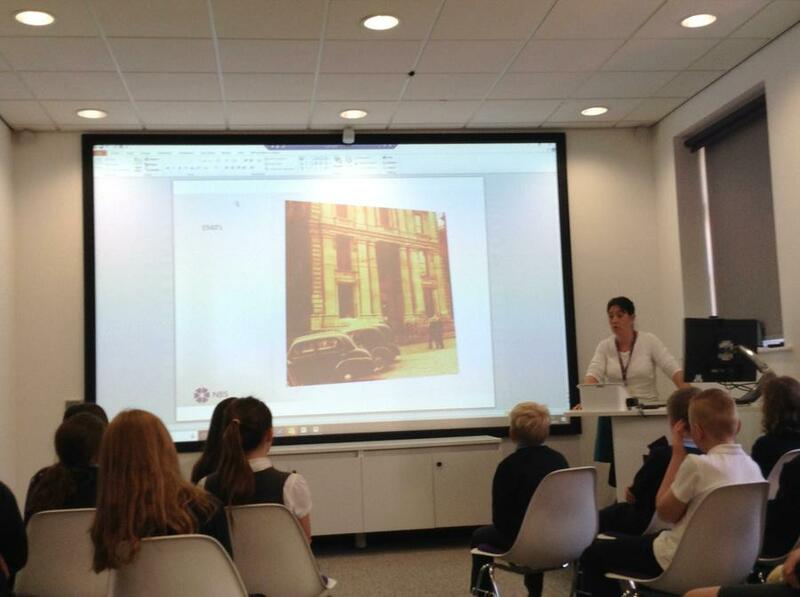 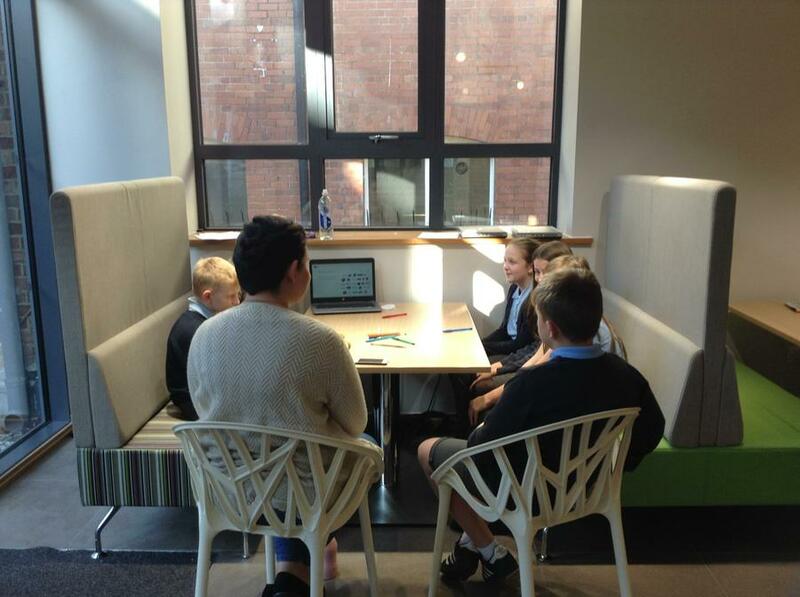 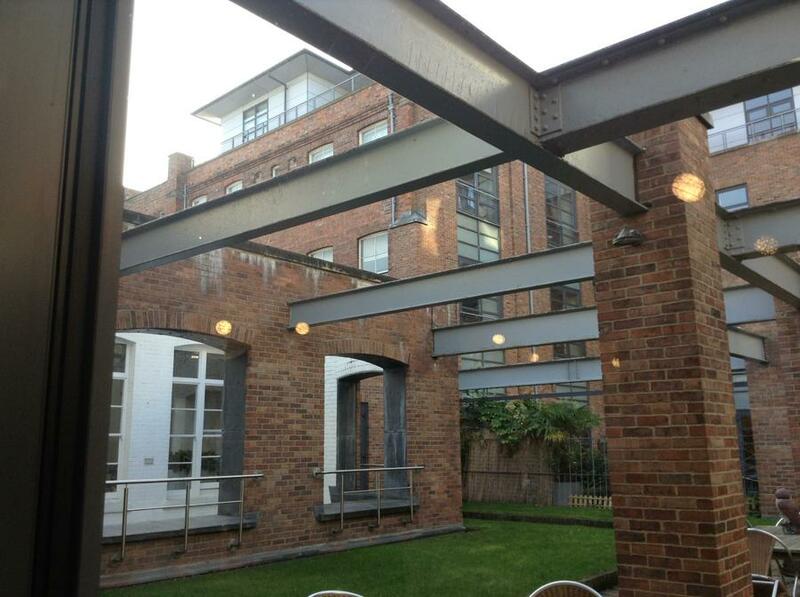 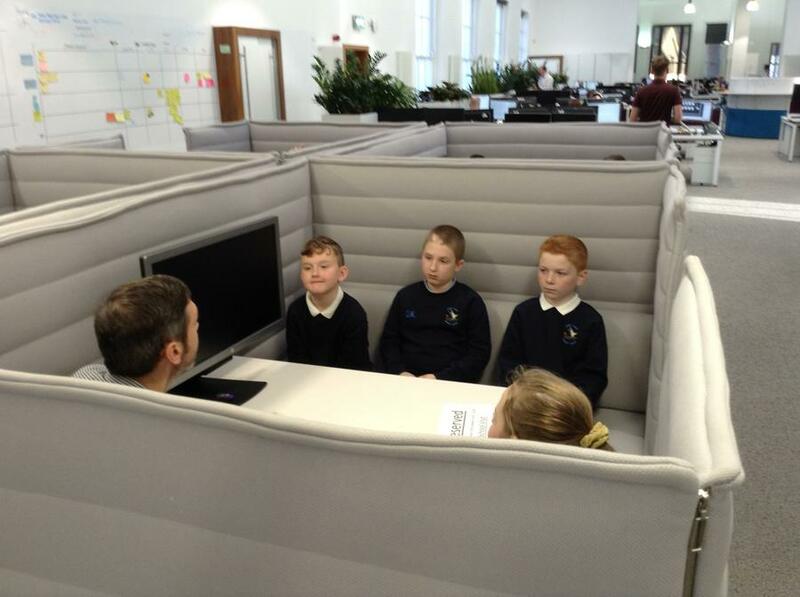 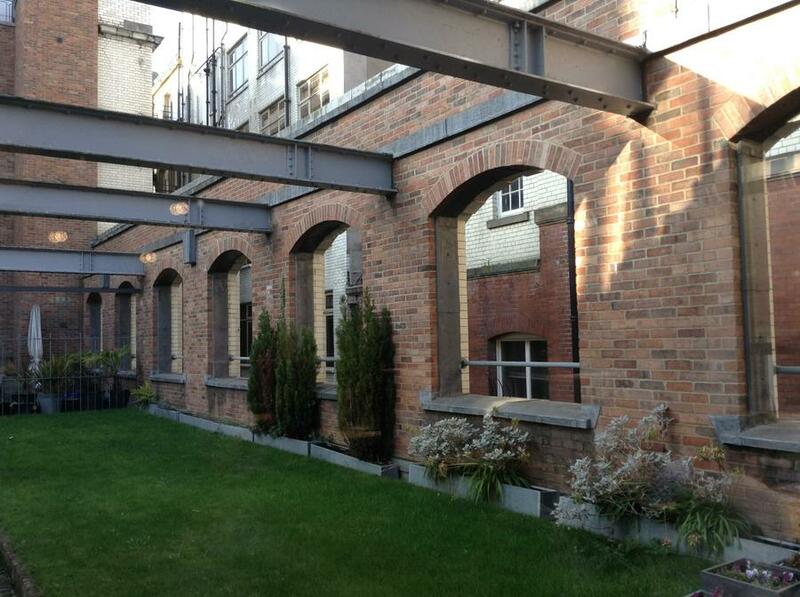 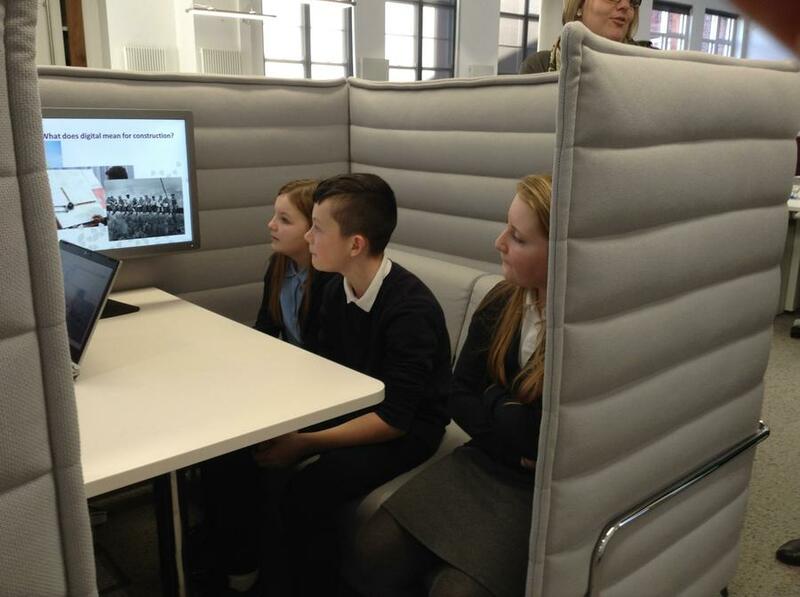 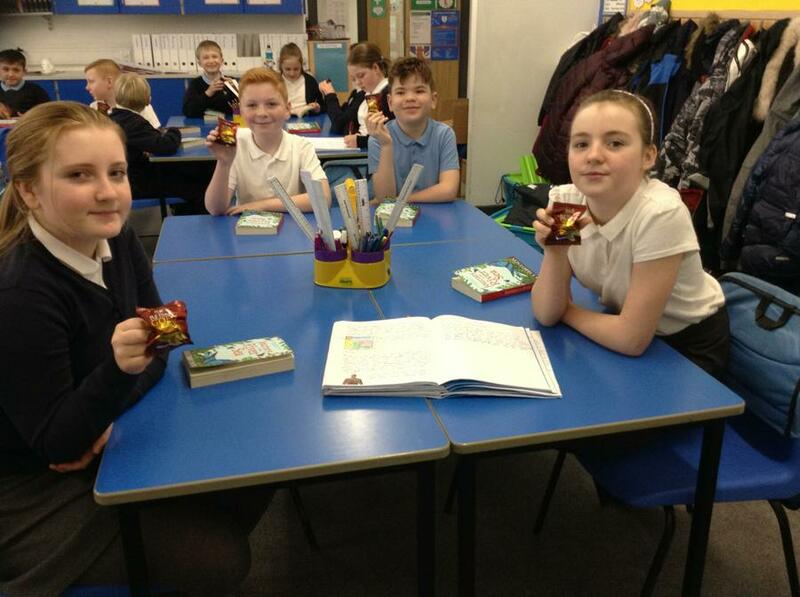 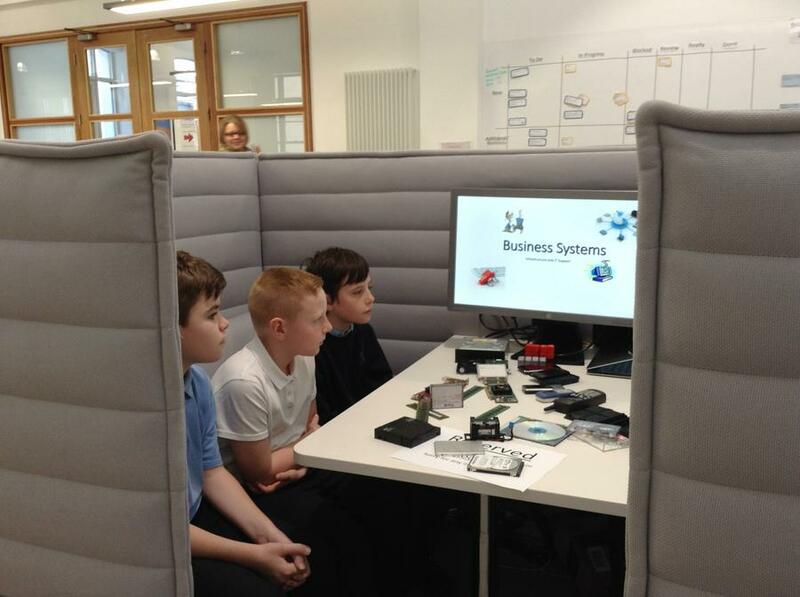 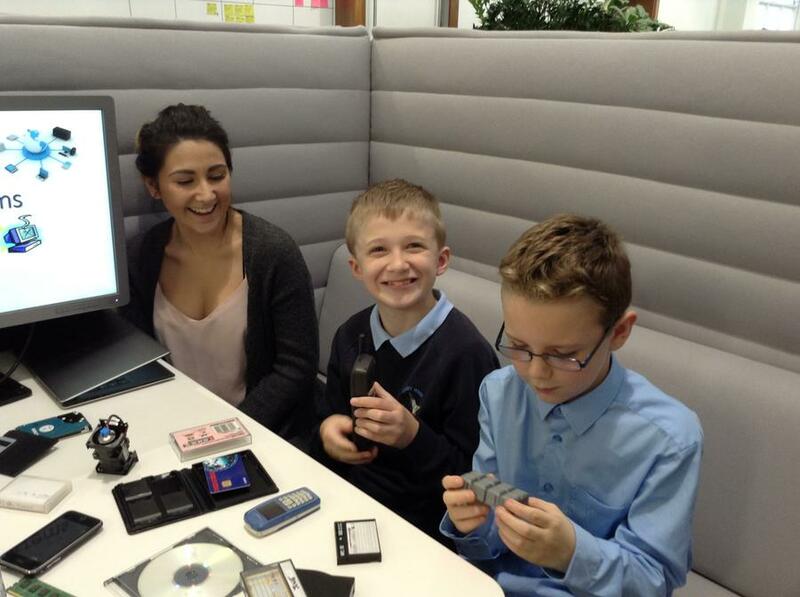 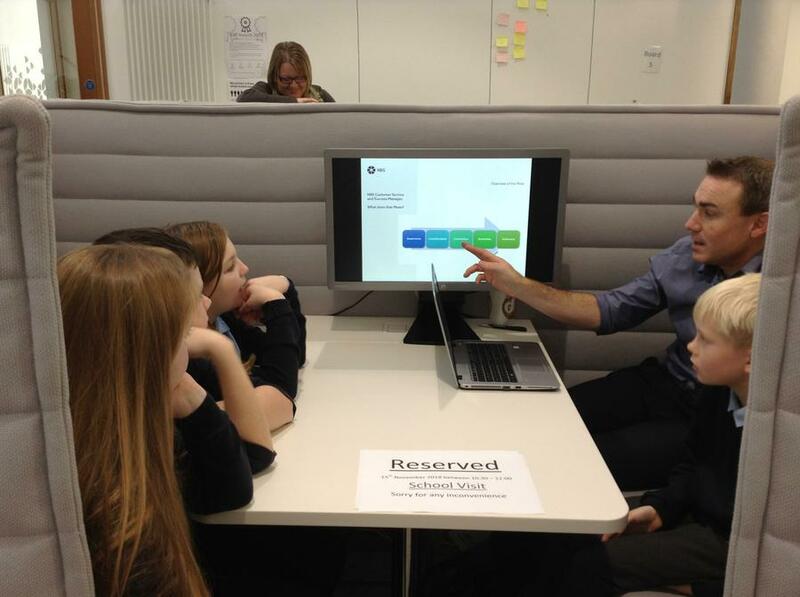 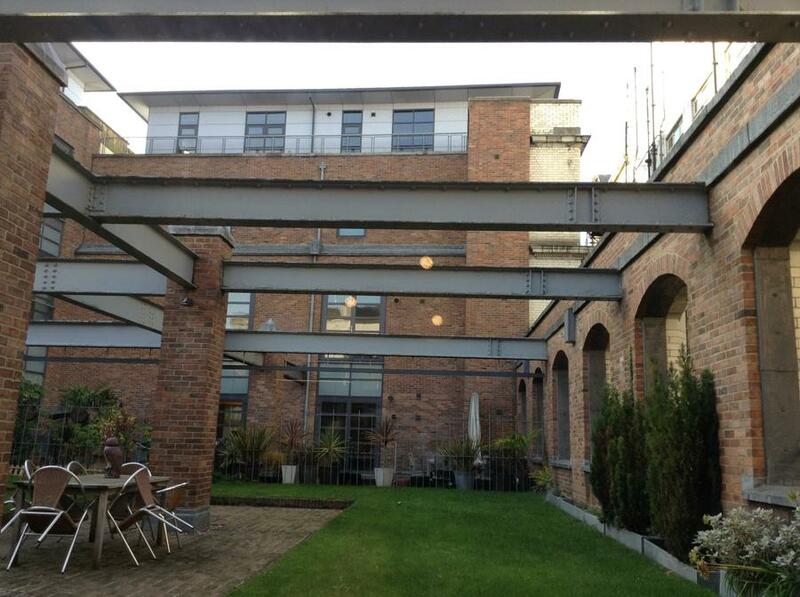 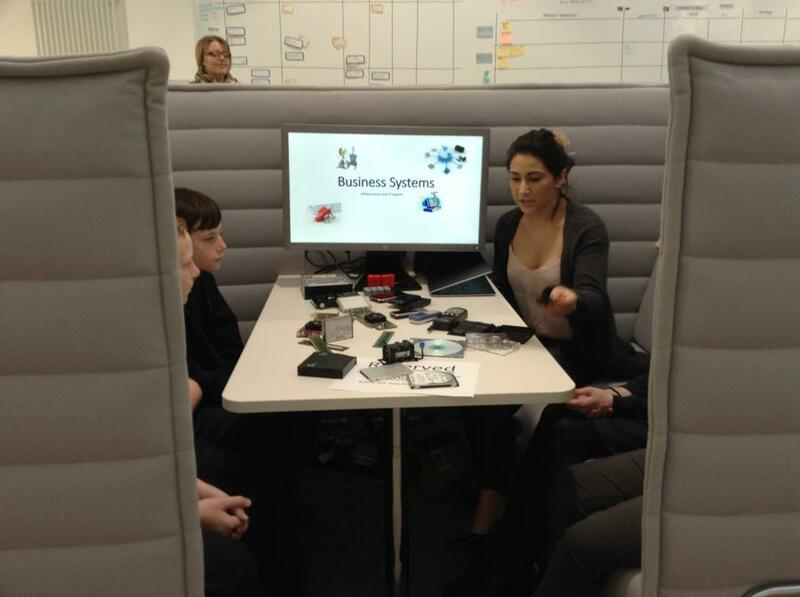 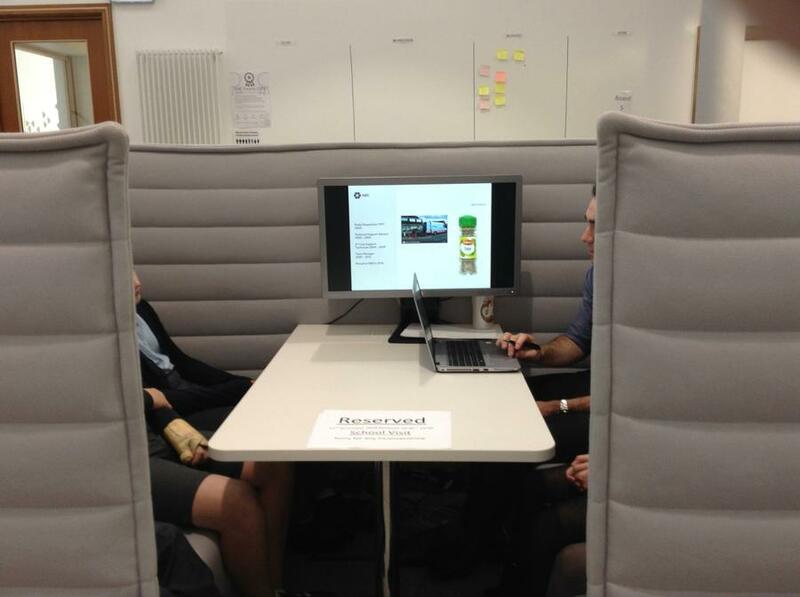 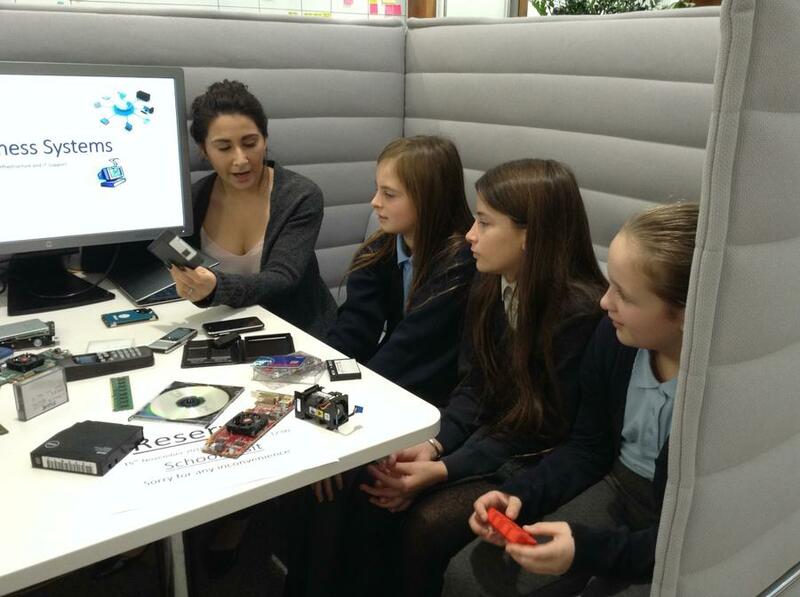 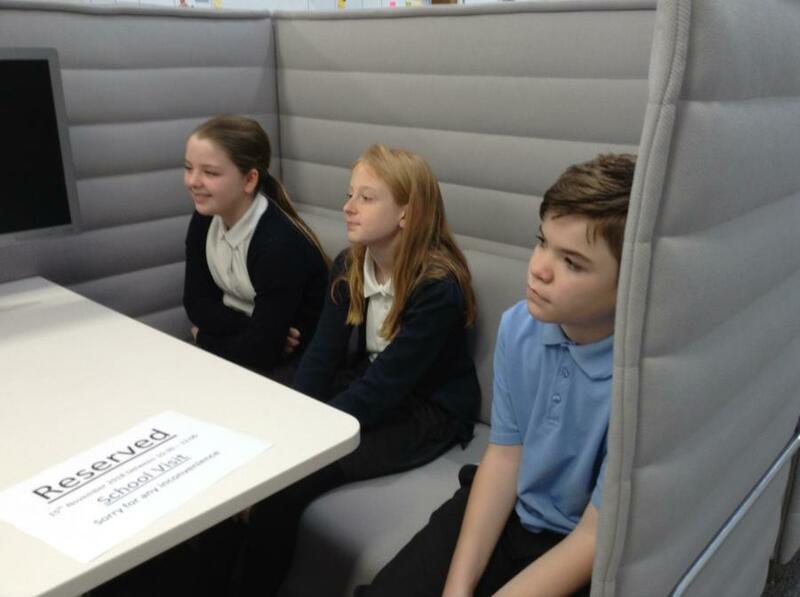 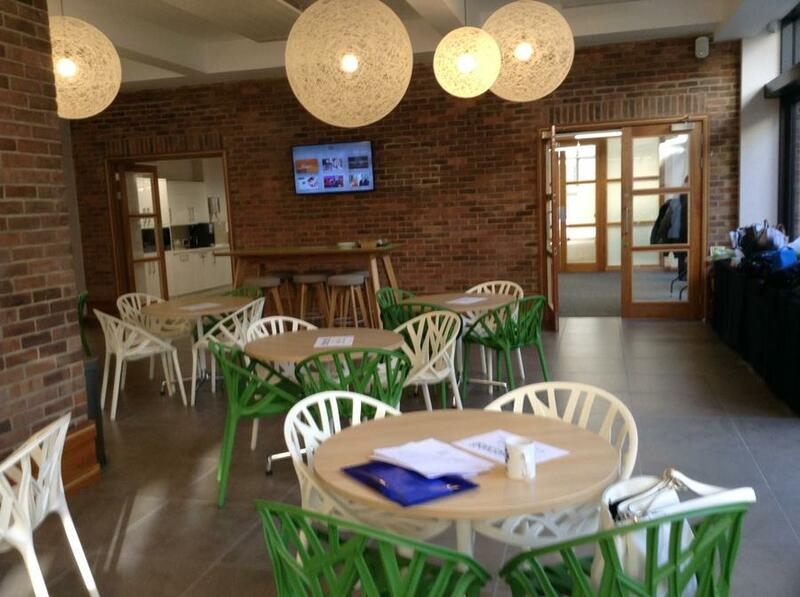 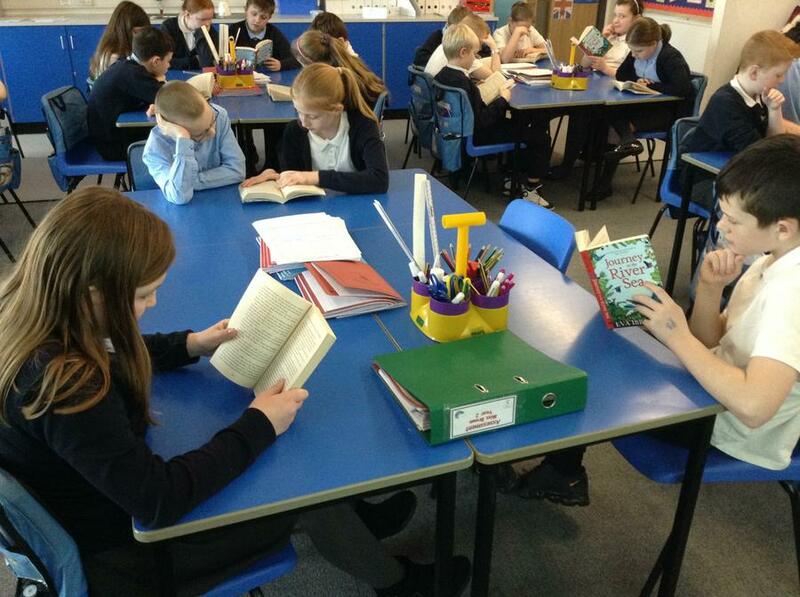 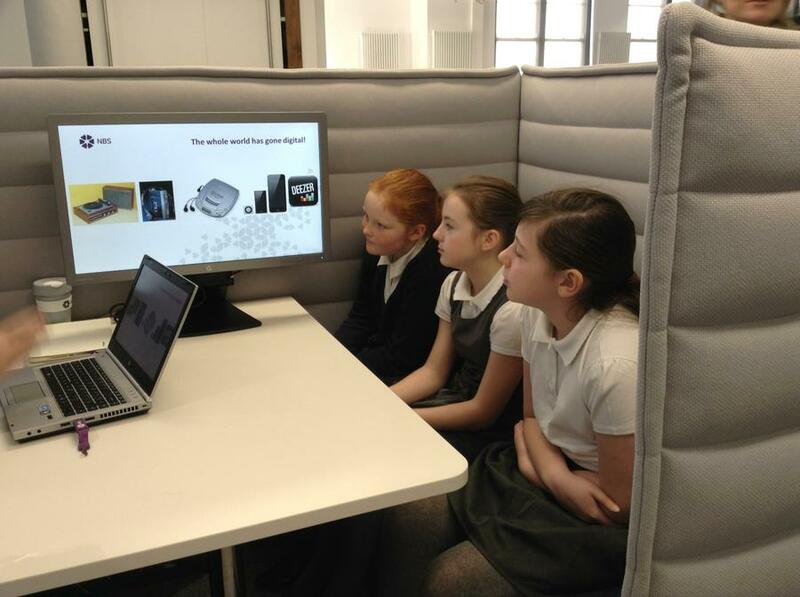 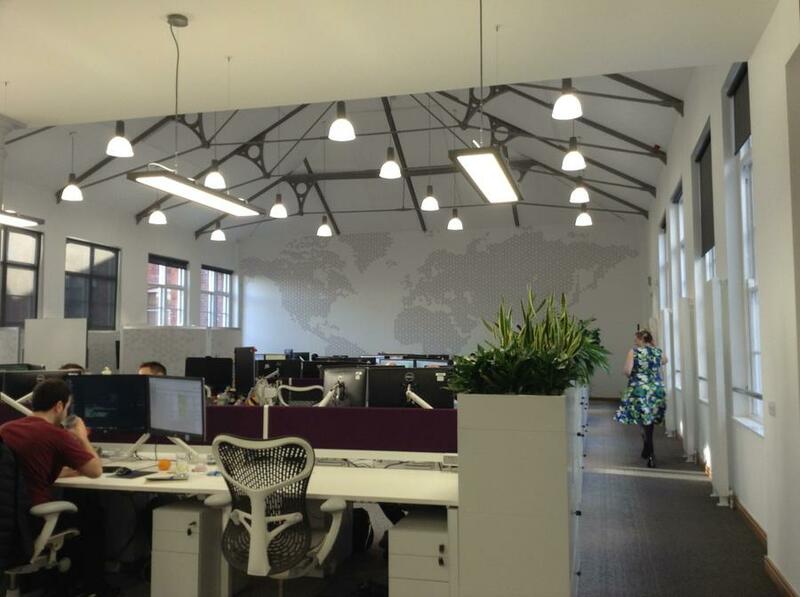 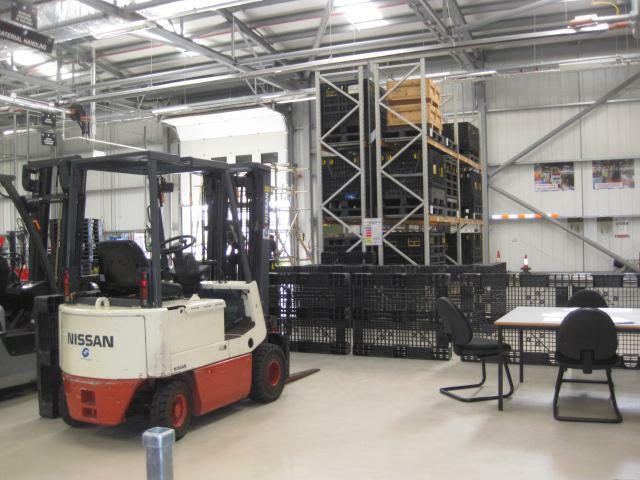 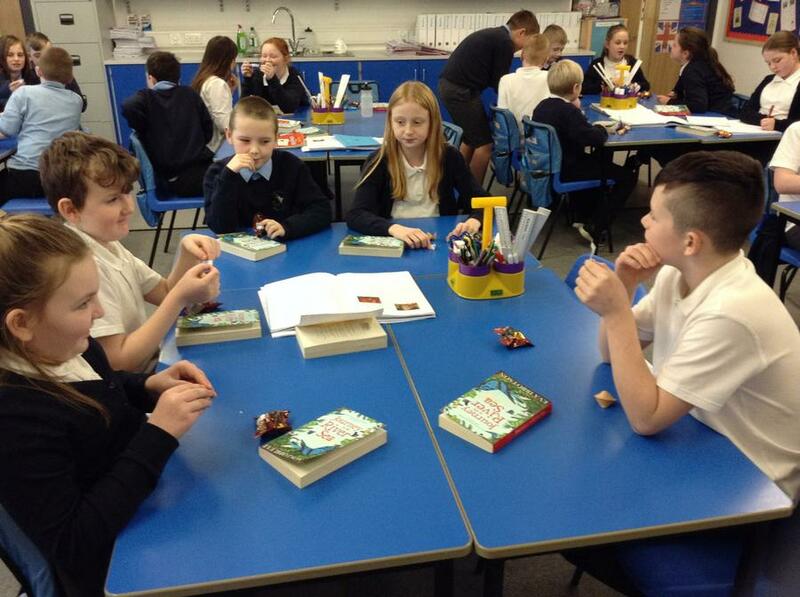 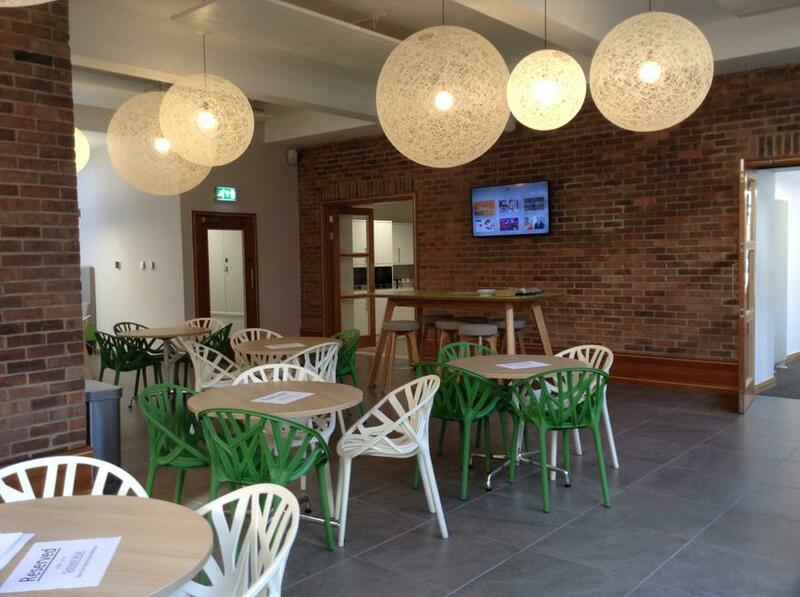 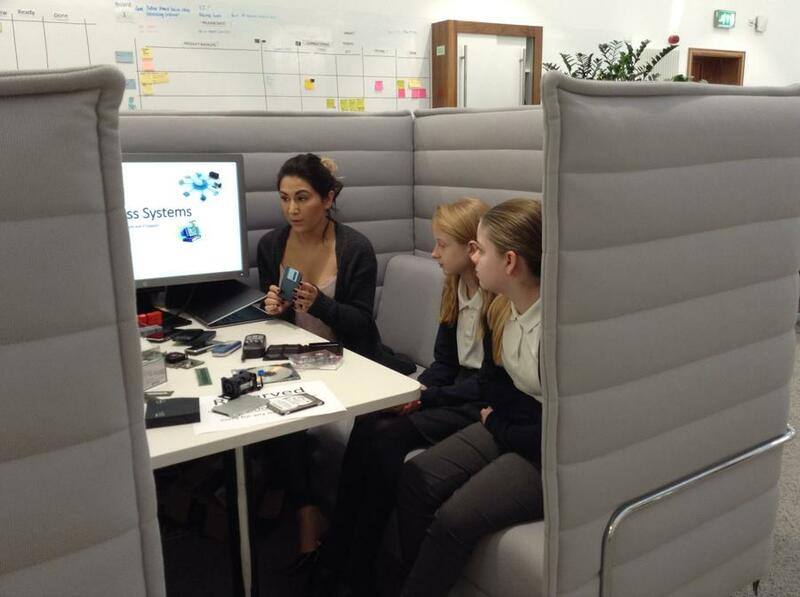 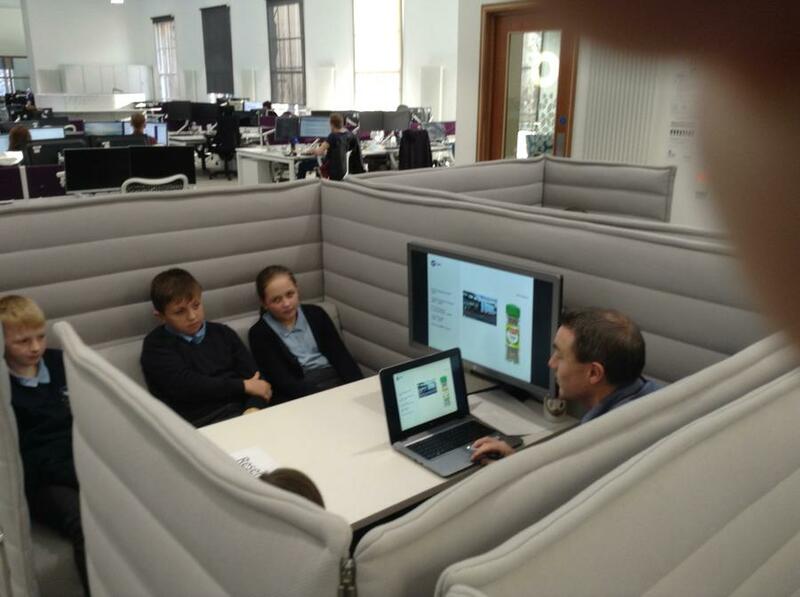 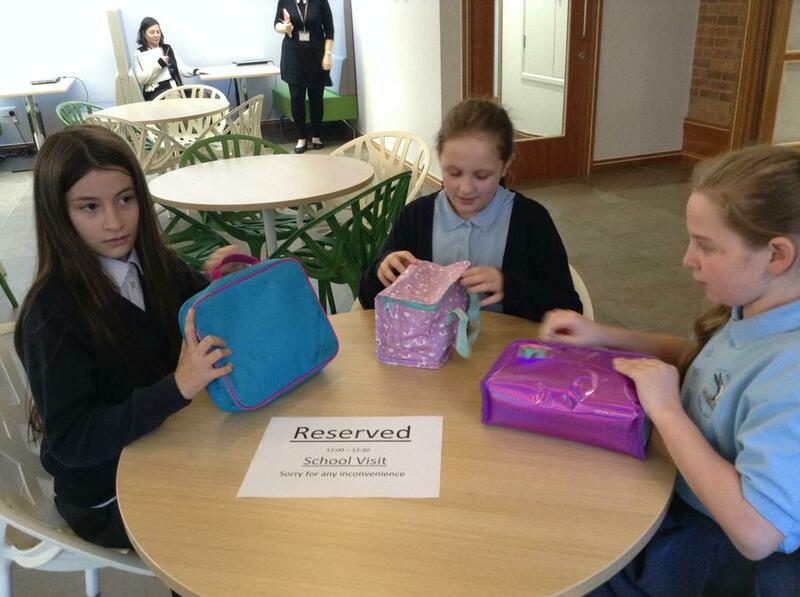 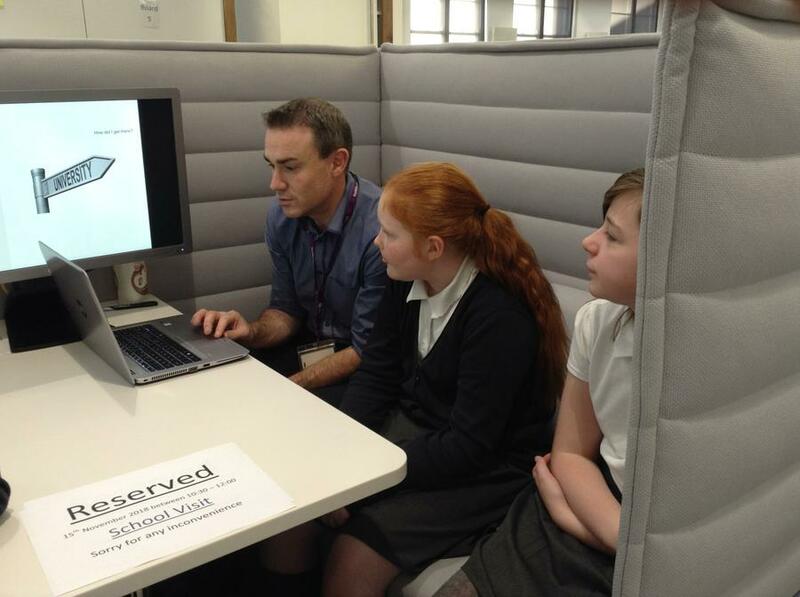 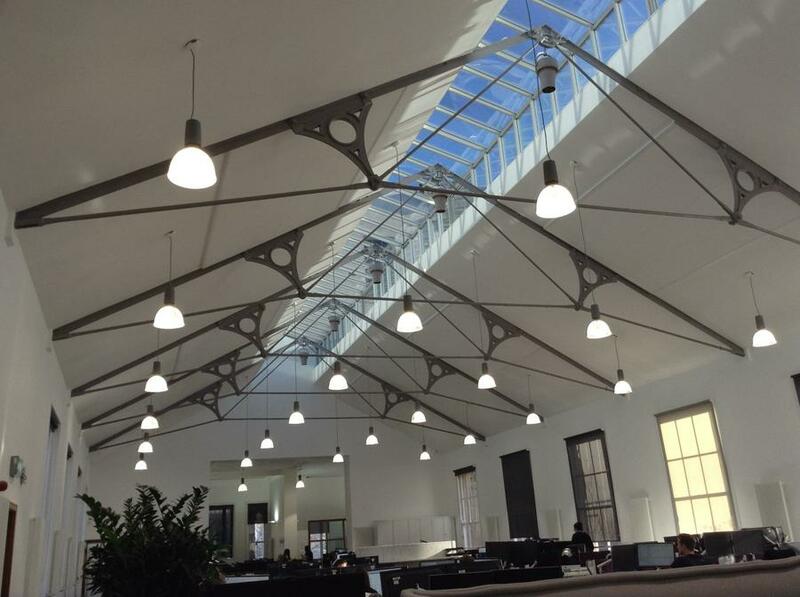 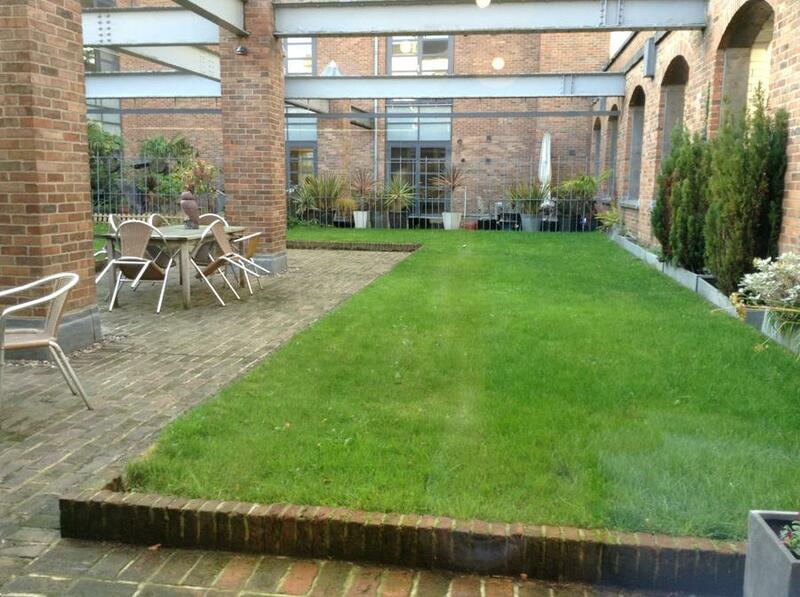 This week we were lucky enough to visit NBS in Newcastle. 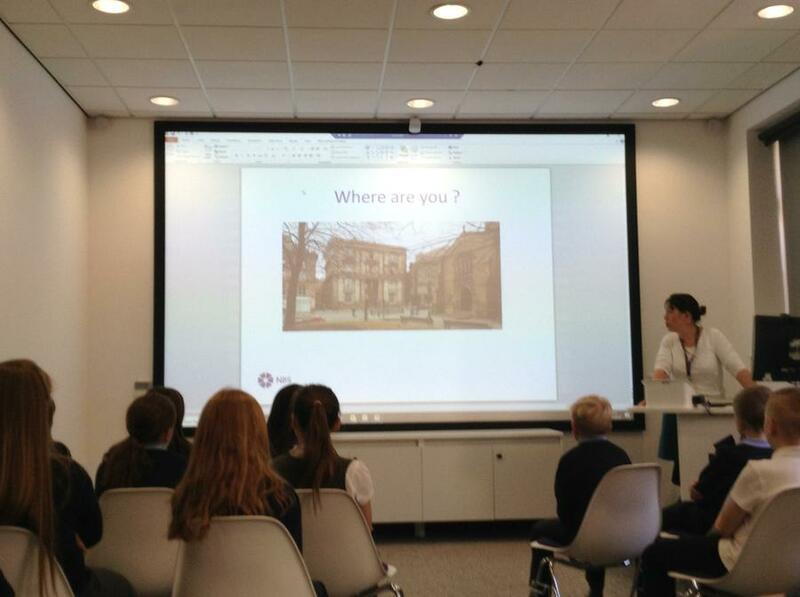 Thanks to one of our parents, Mrs Punton, we were able to learn about many different career paths available within their organisation. 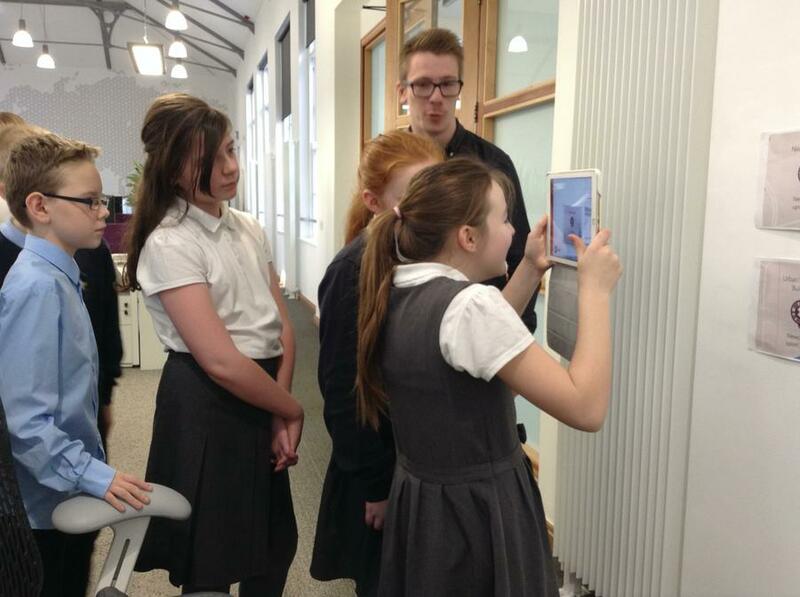 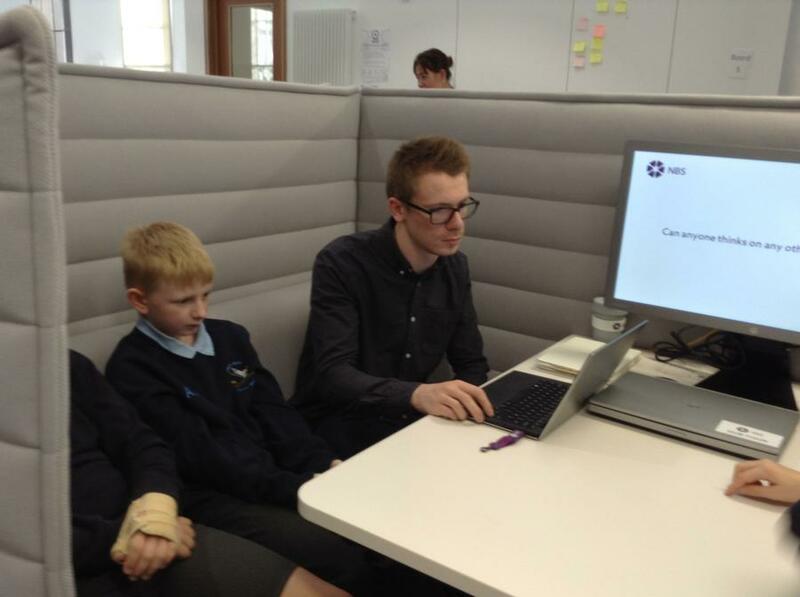 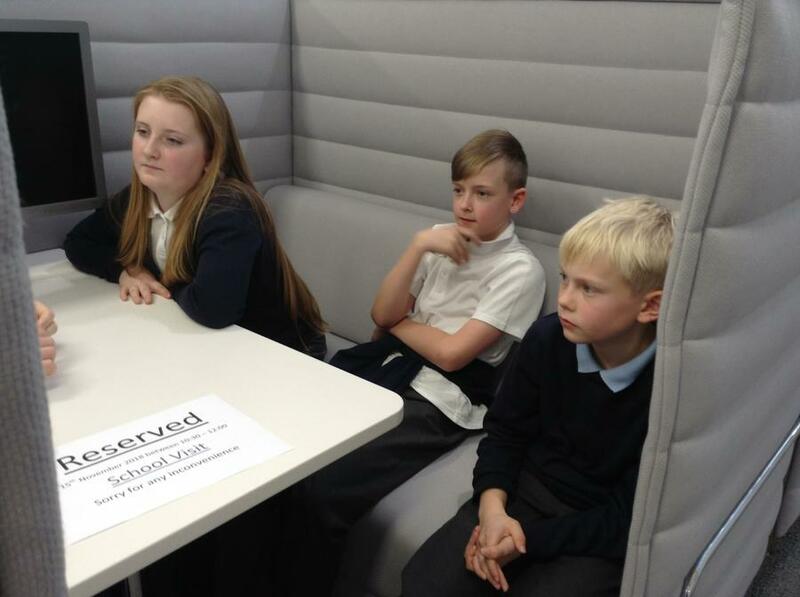 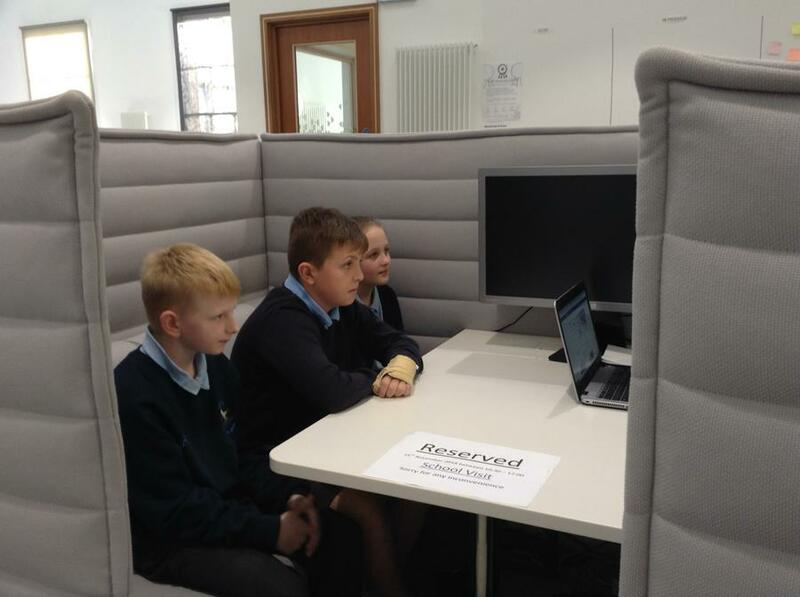 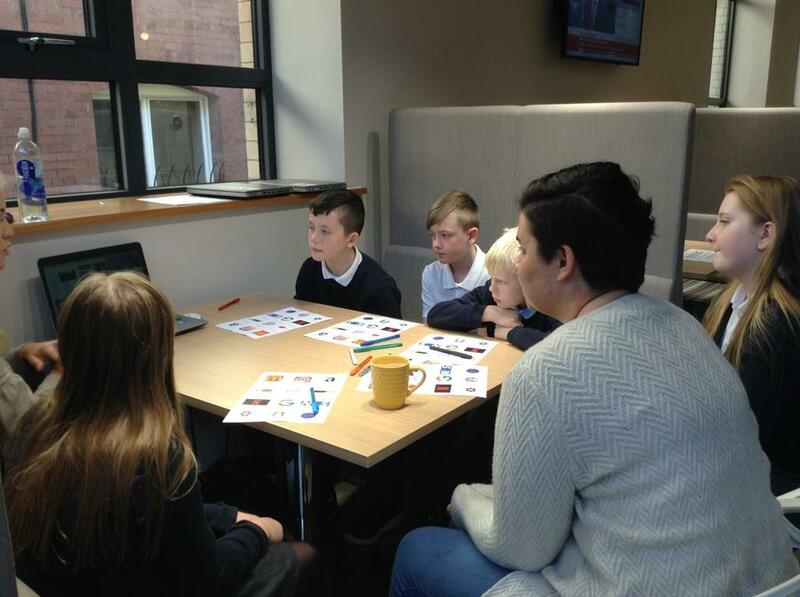 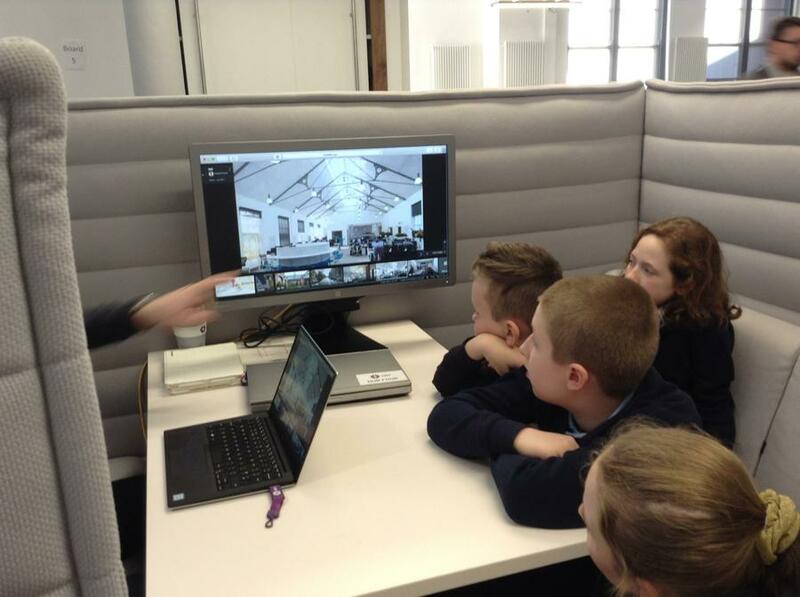 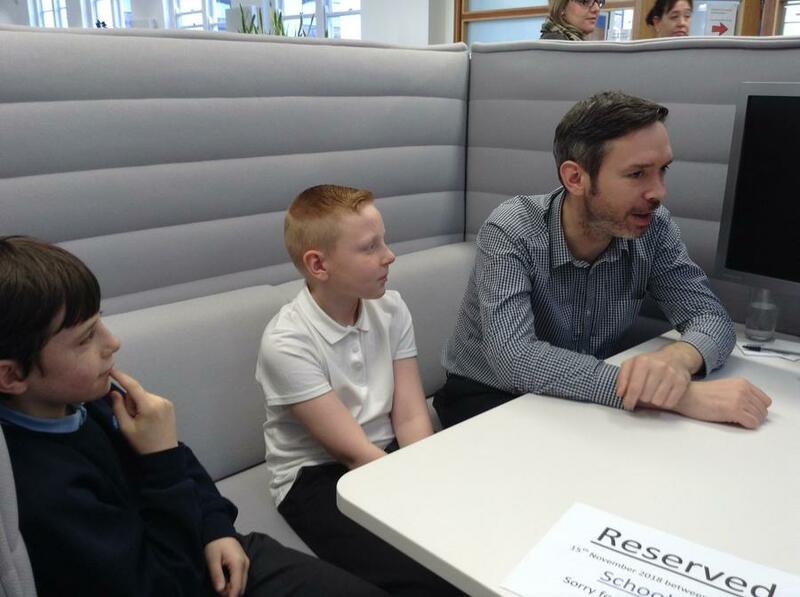 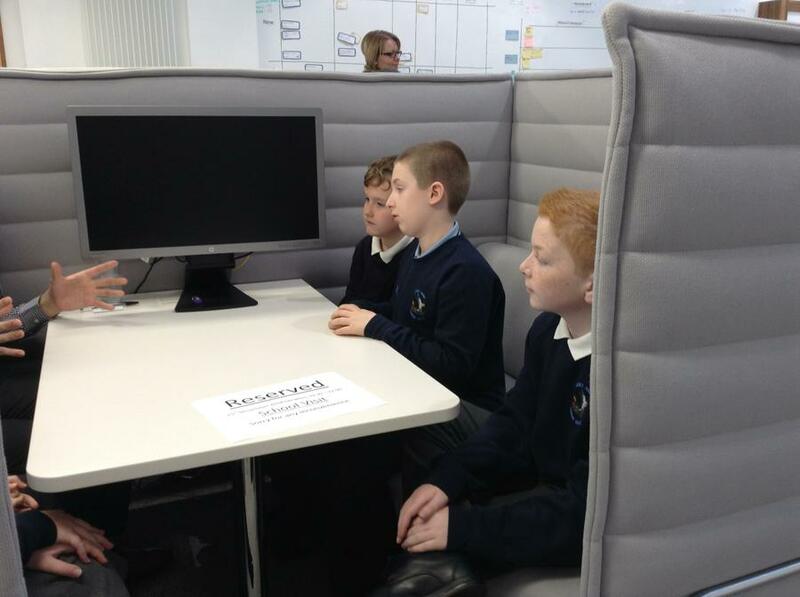 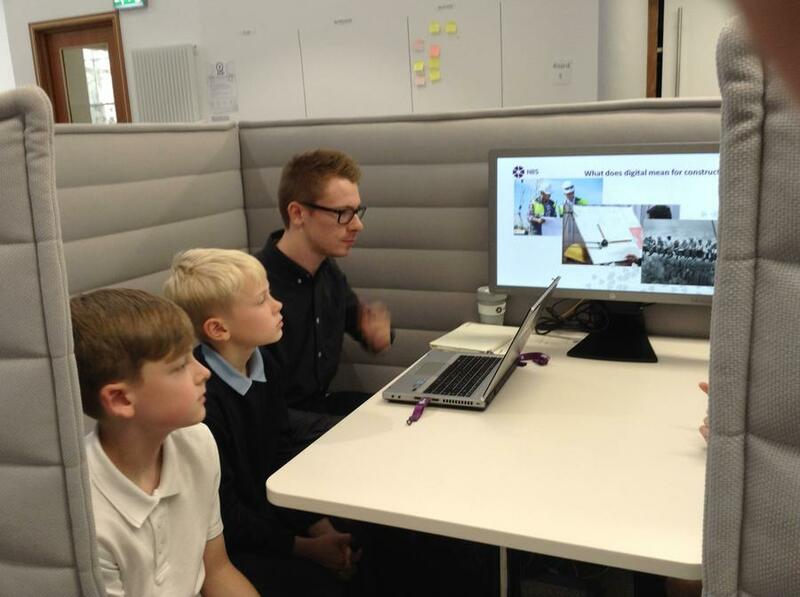 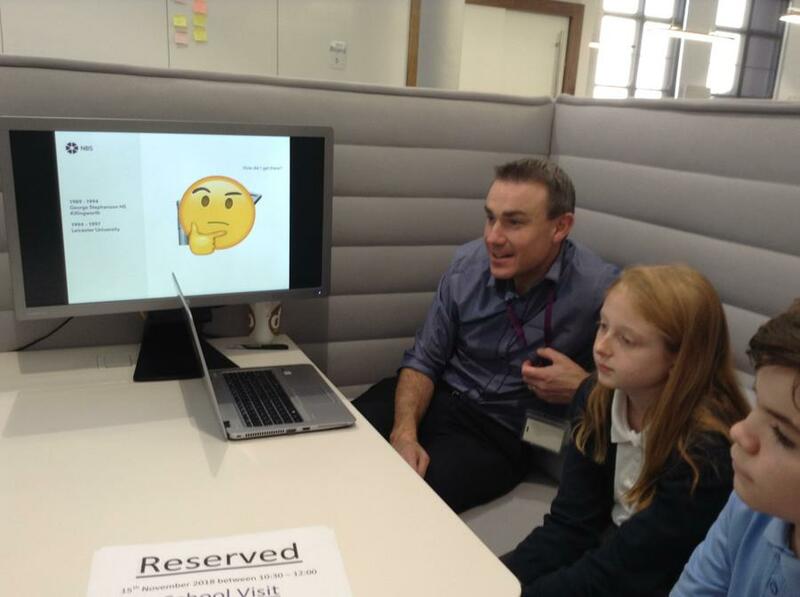 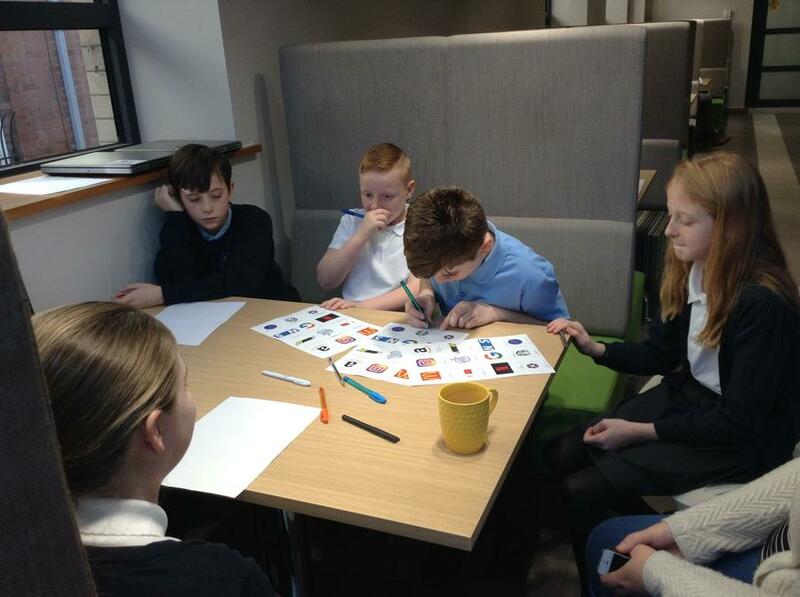 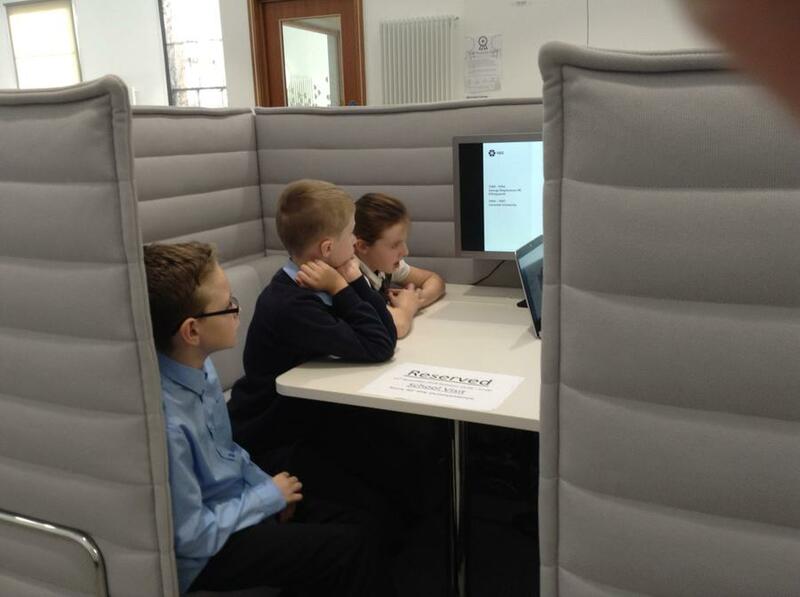 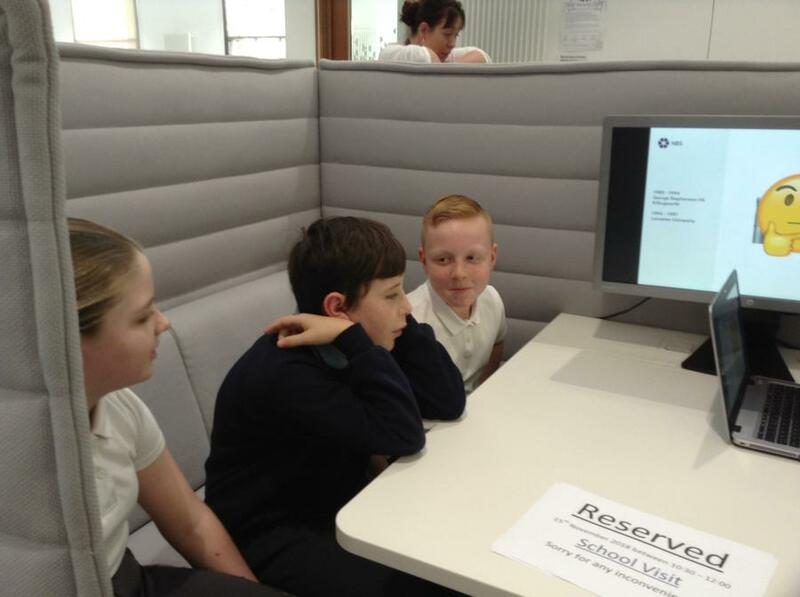 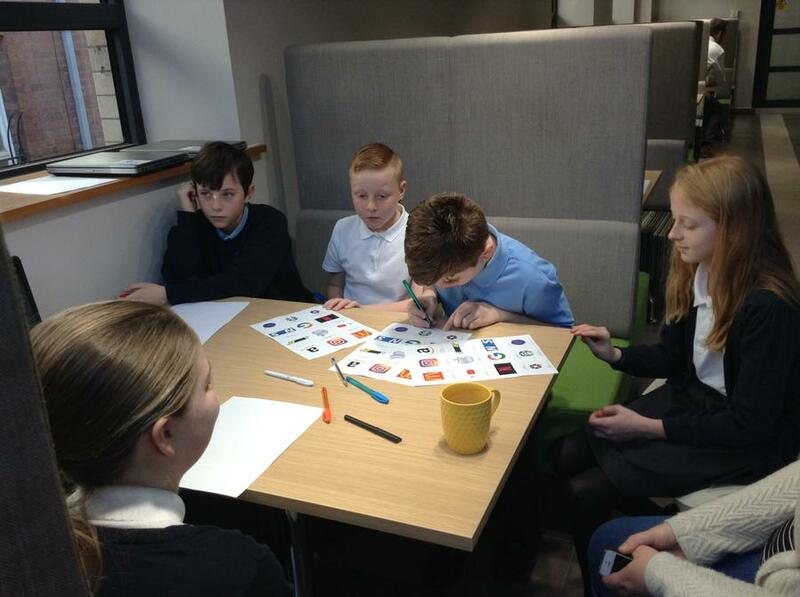 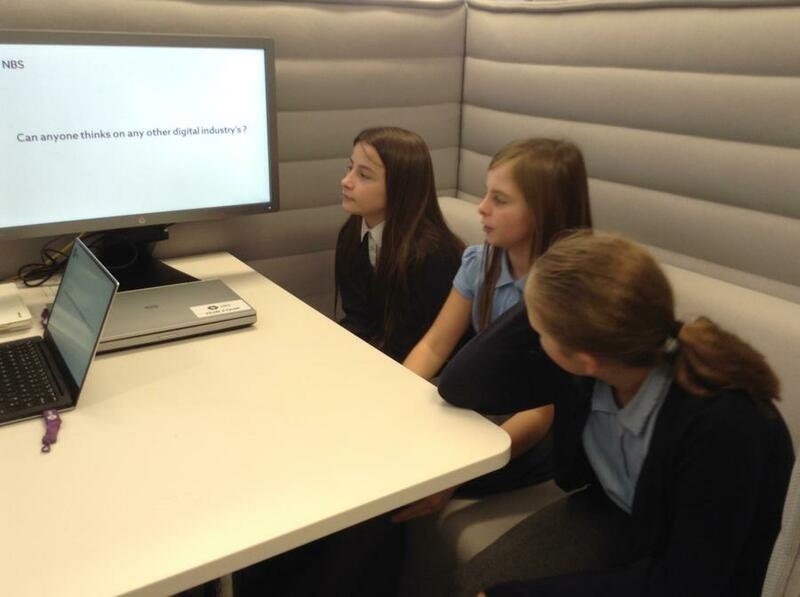 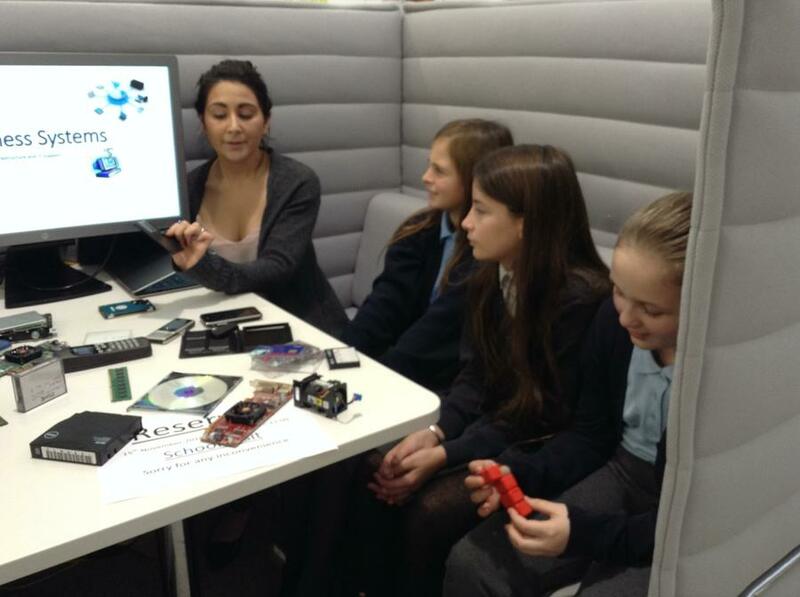 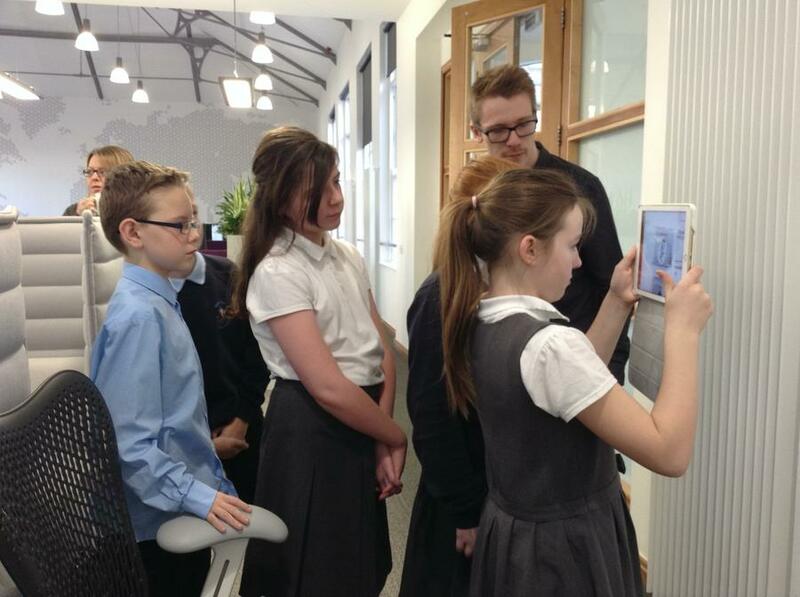 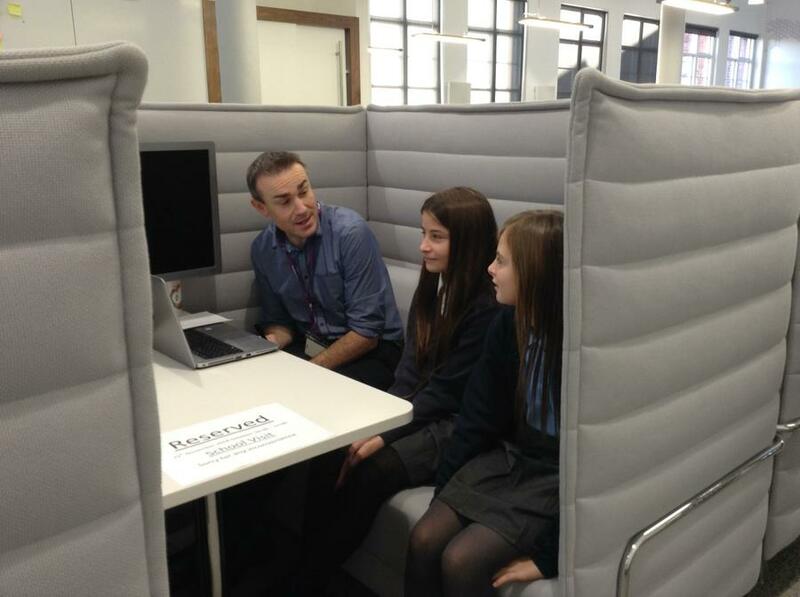 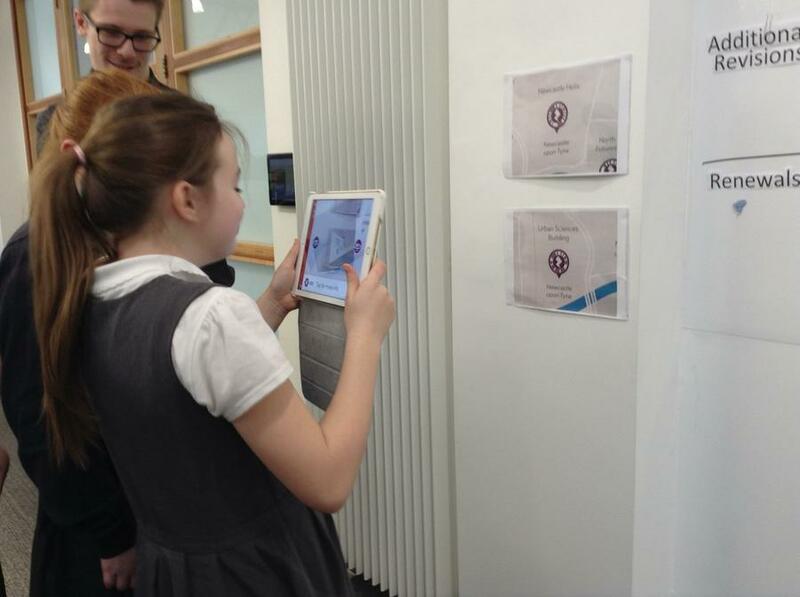 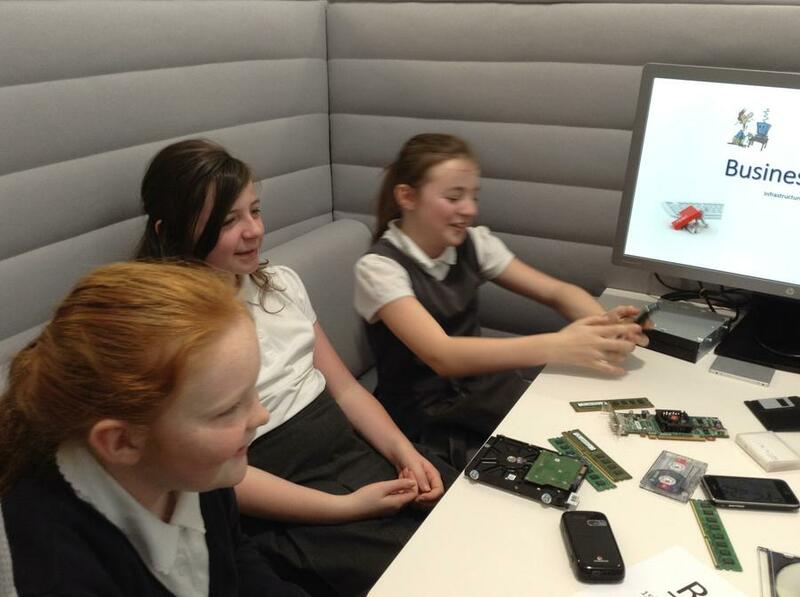 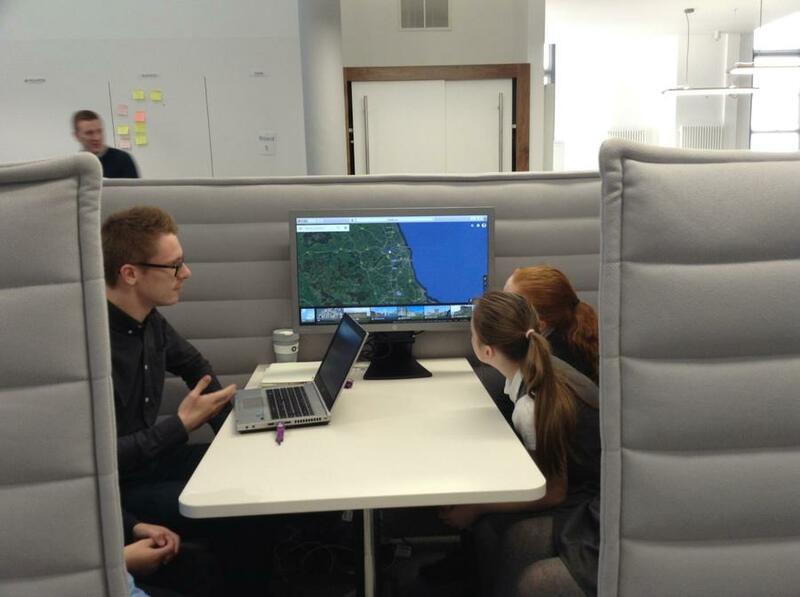 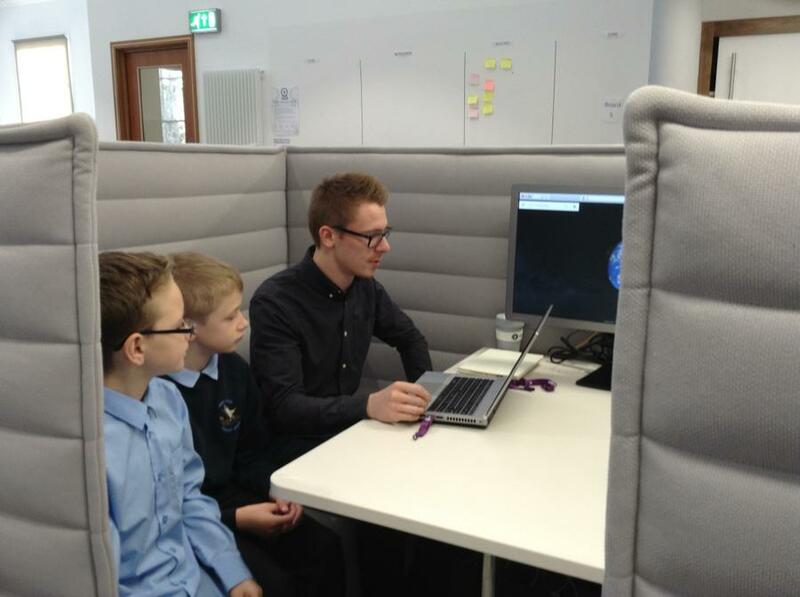 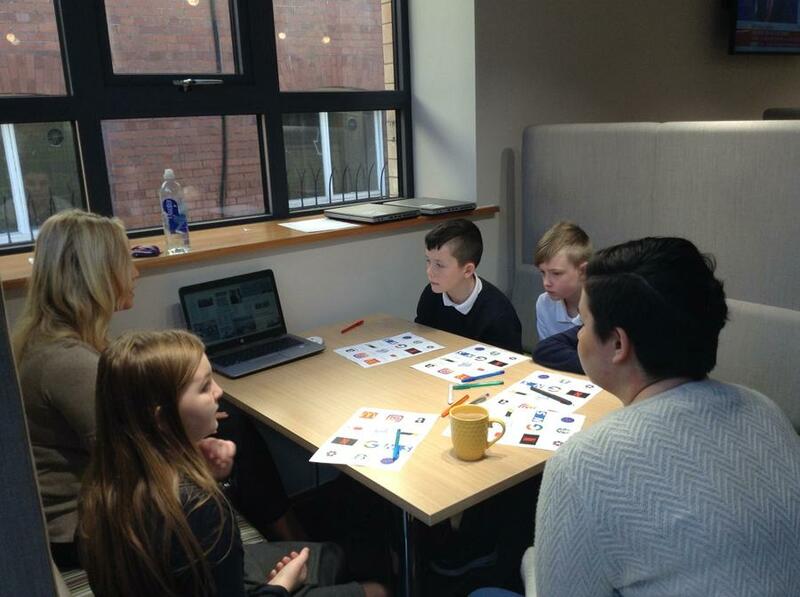 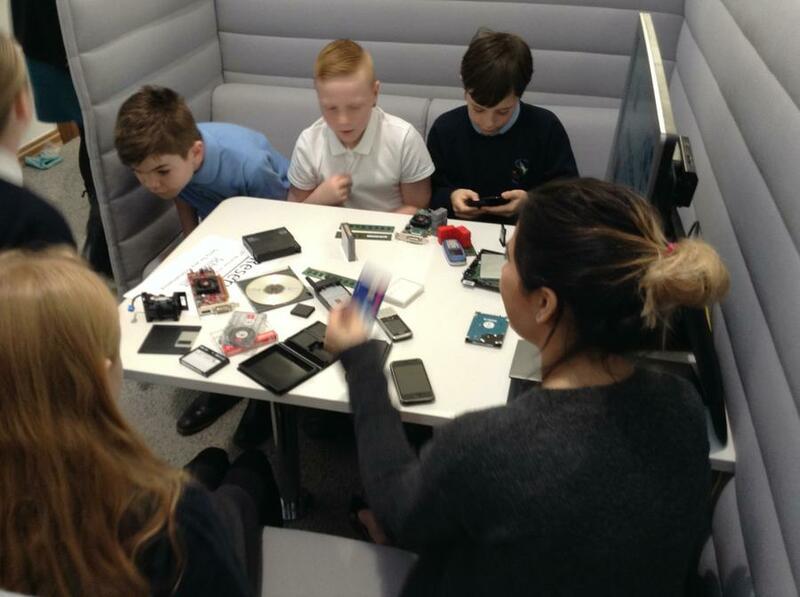 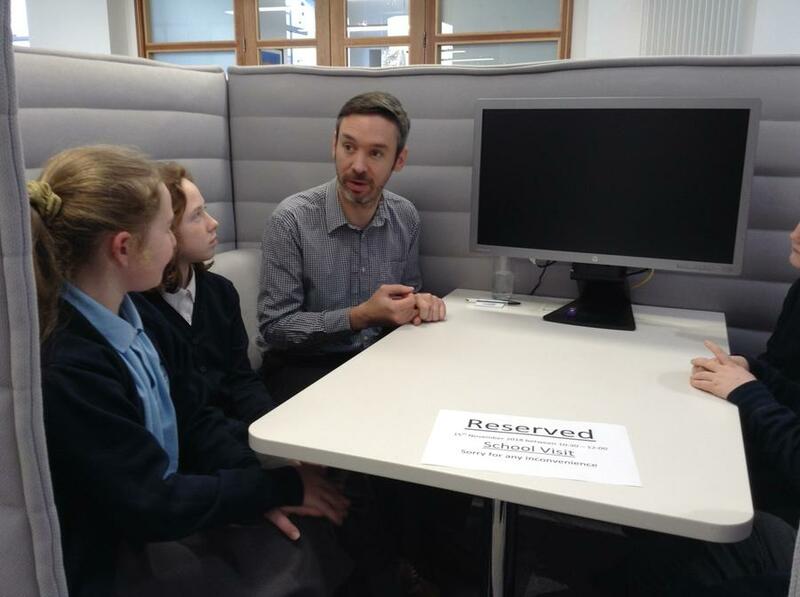 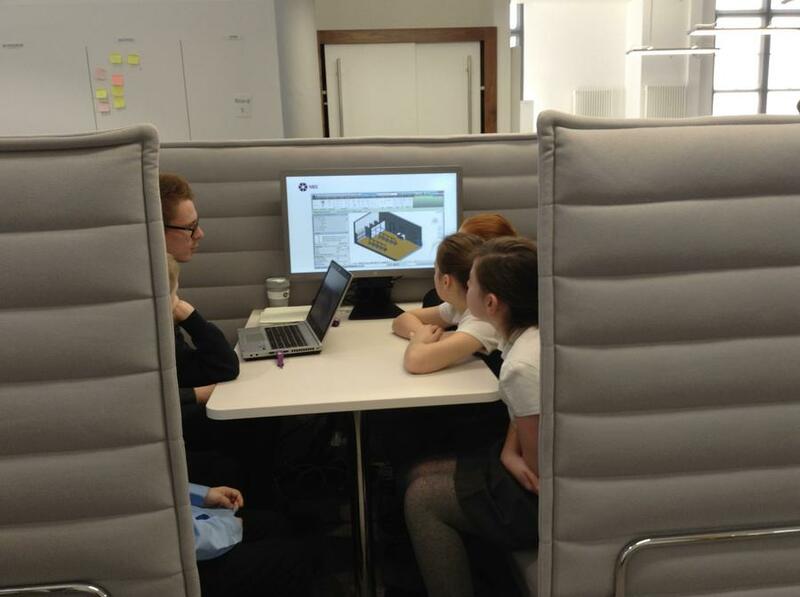 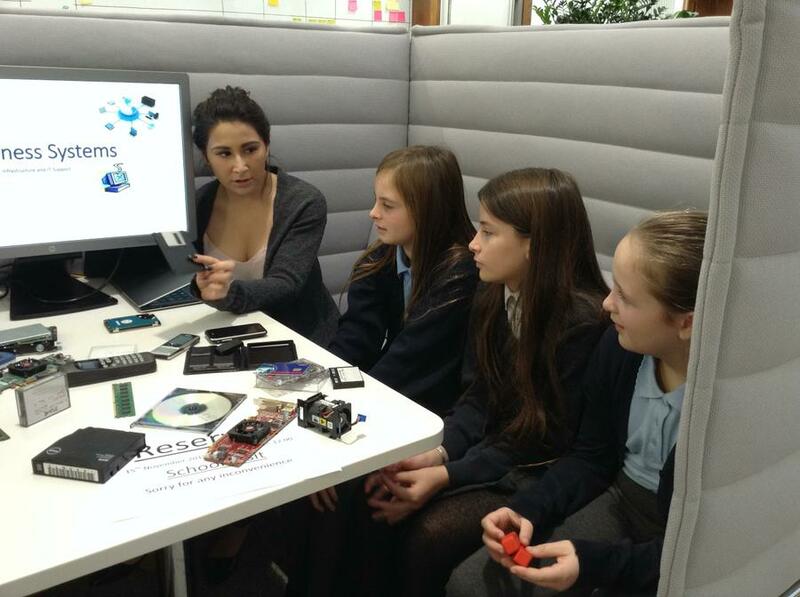 The class were given a snap shot of some of the jobs on offer such as customer services, web design, advertising, brand development and computer aided design. 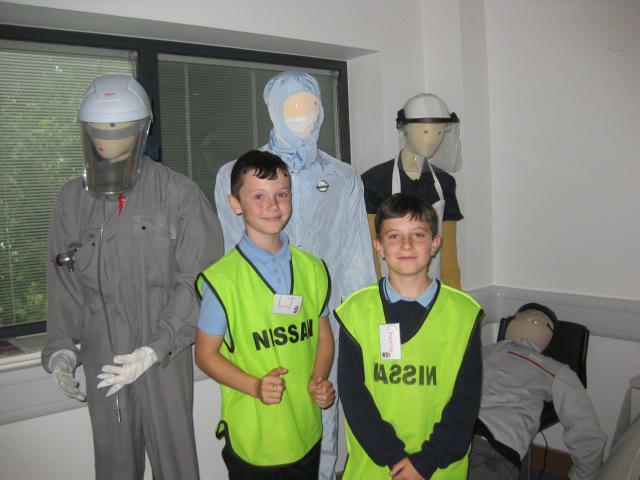 The children had a fun and informative morning in the state of he art building.